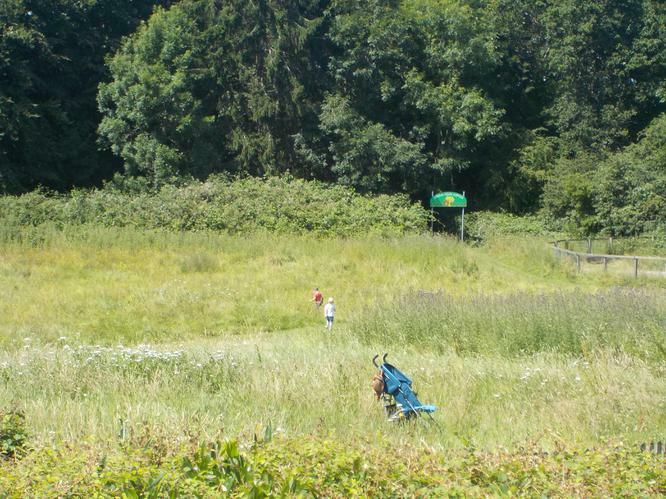 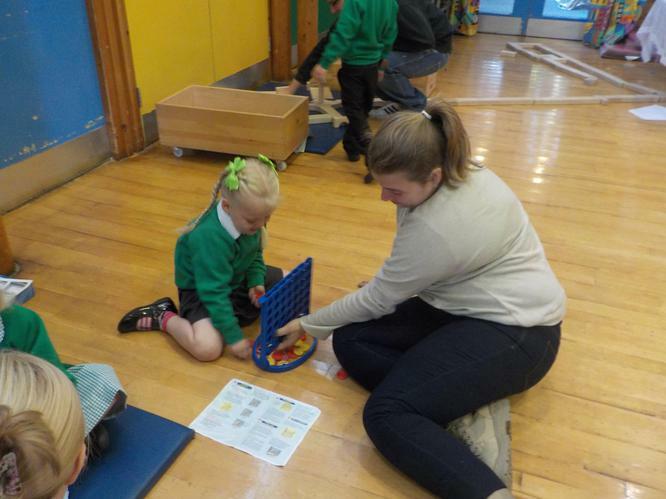 Thank you for contributing to your child’s learning throughout the year at our Stay and Play sessions! 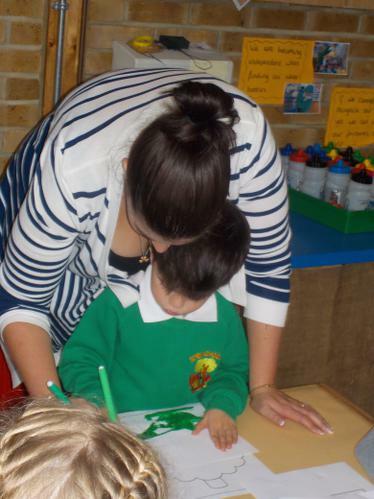 Your child has really benefited from this extra time with you, helping to consolidate their learning. 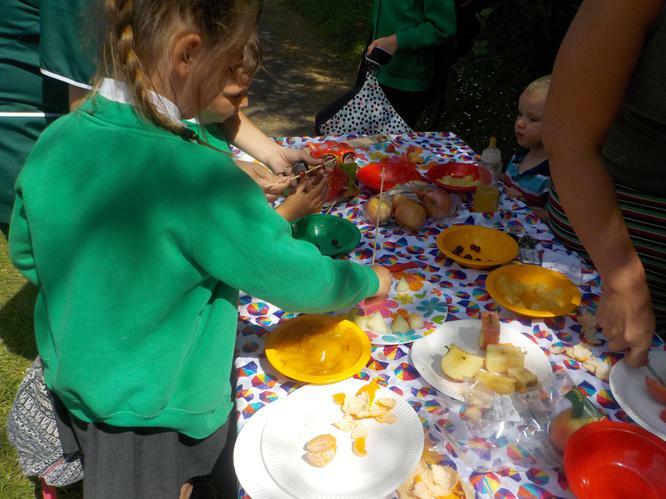 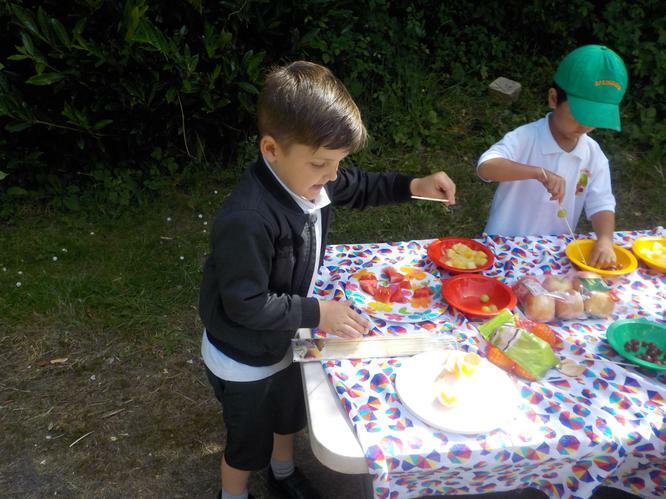 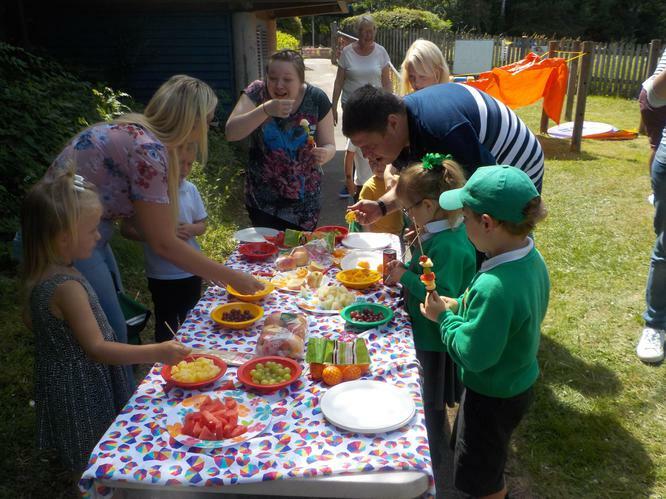 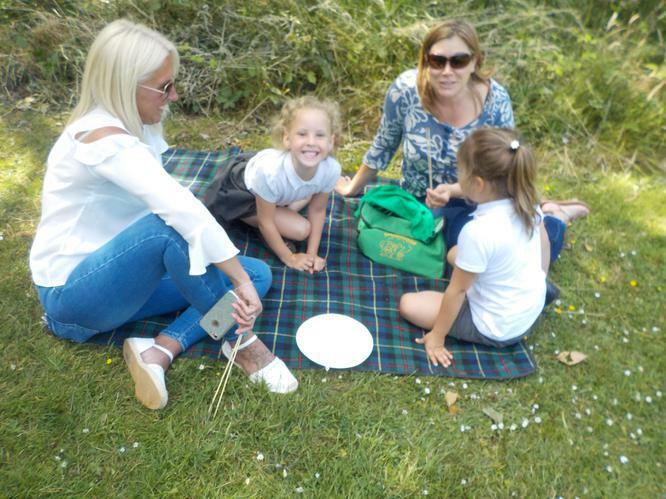 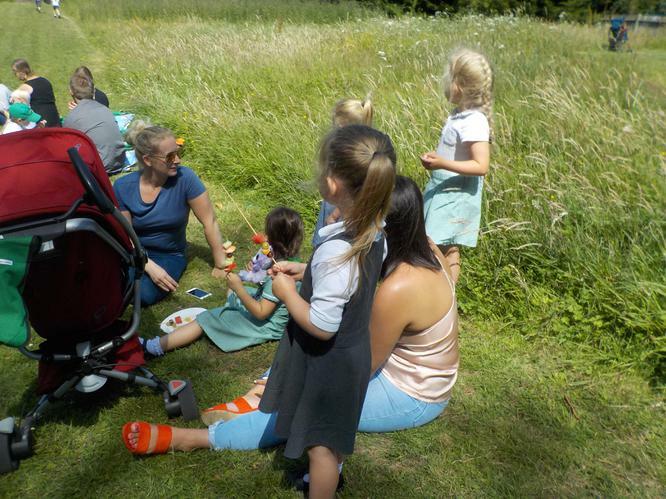 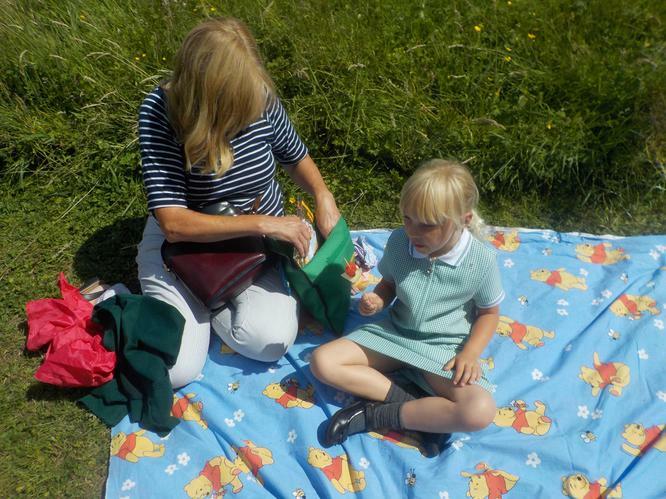 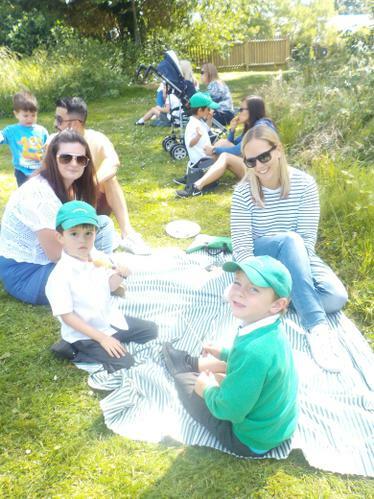 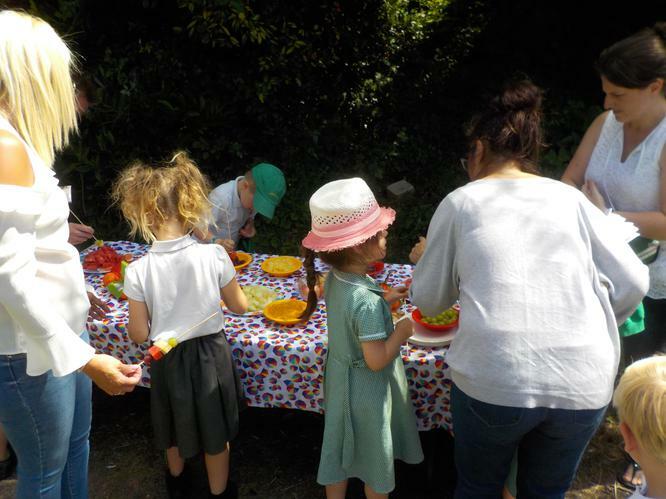 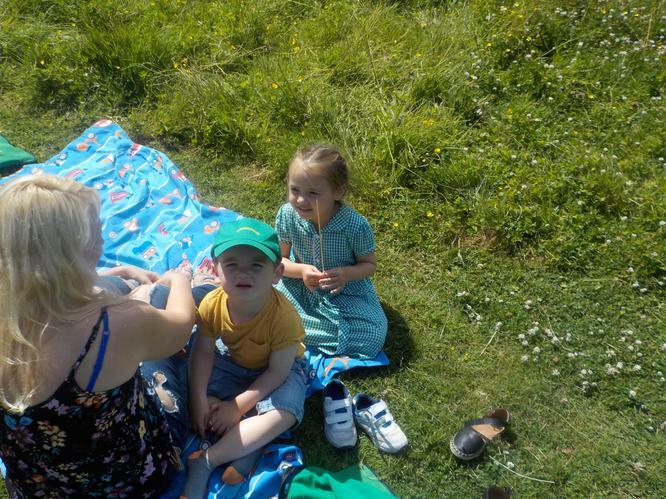 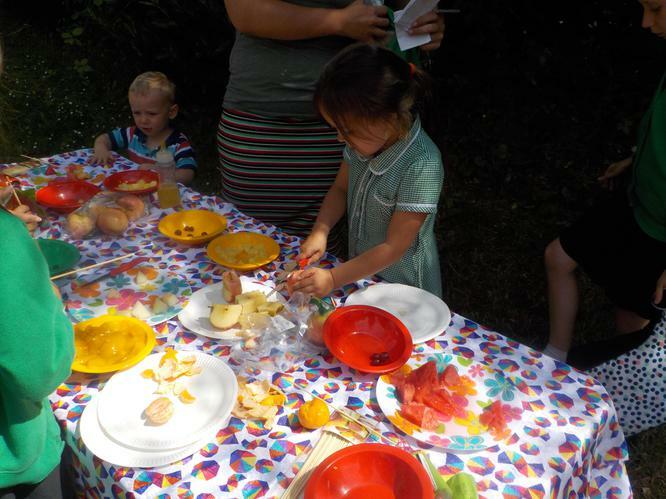 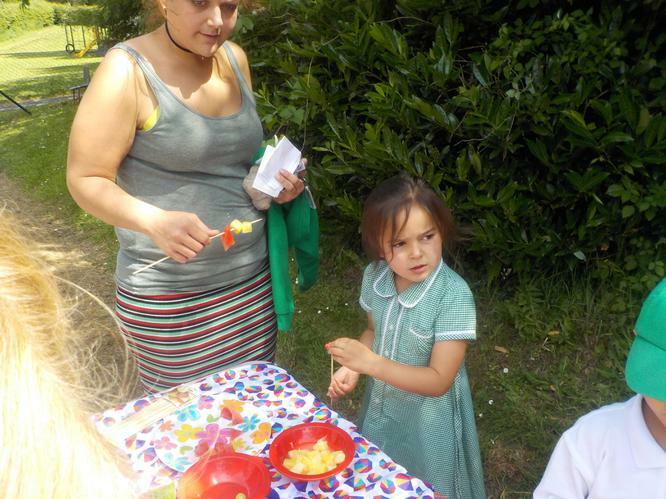 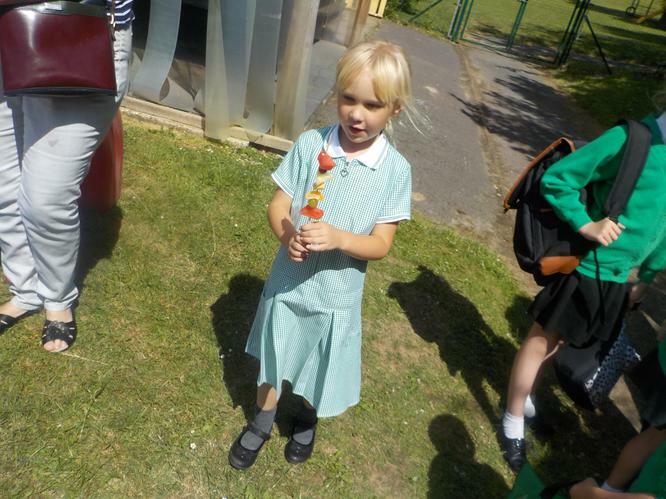 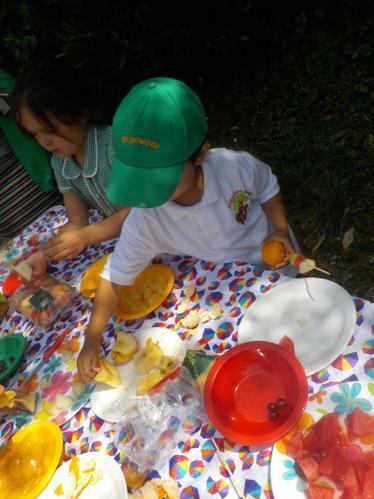 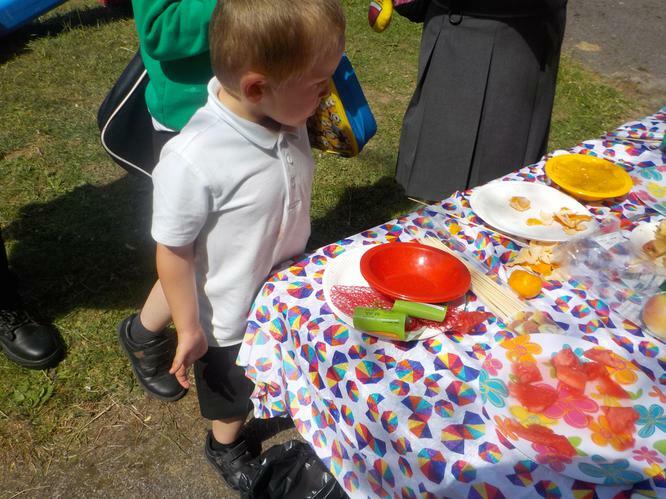 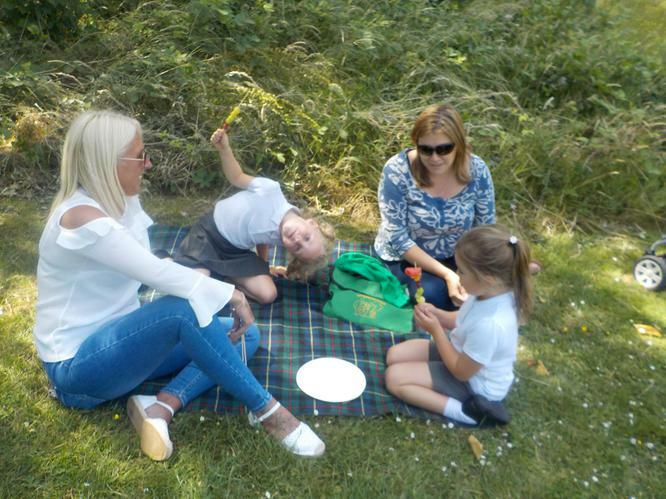 To celebrate our learning we held a ‘Fruit Kebab Picnic’ which we enjoyed in the meadow. 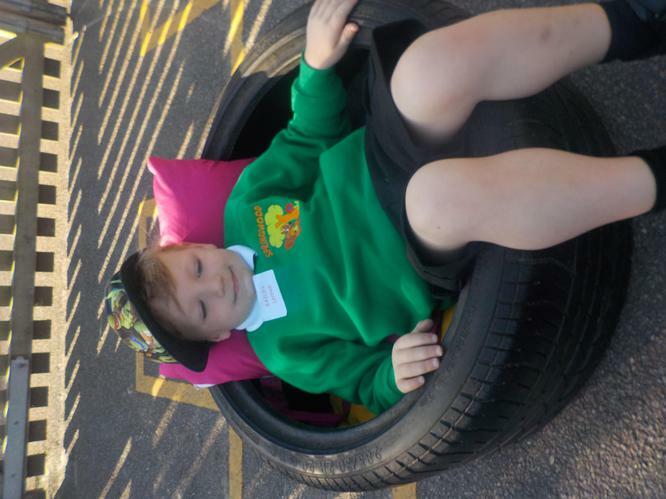 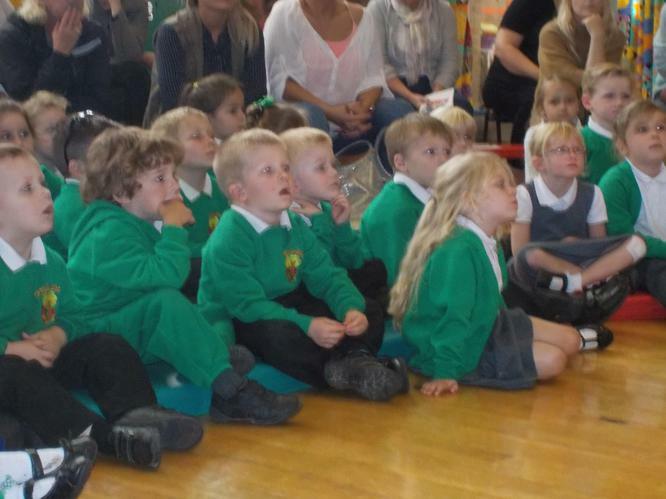 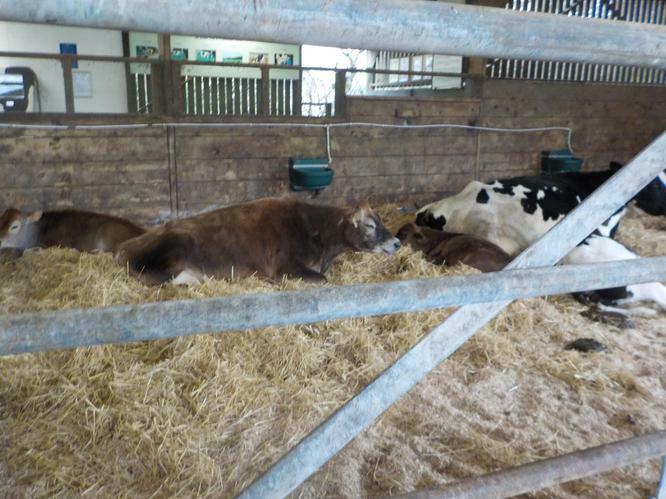 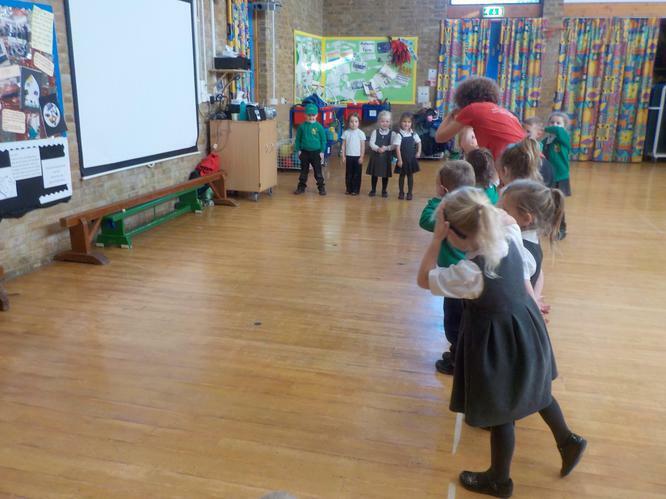 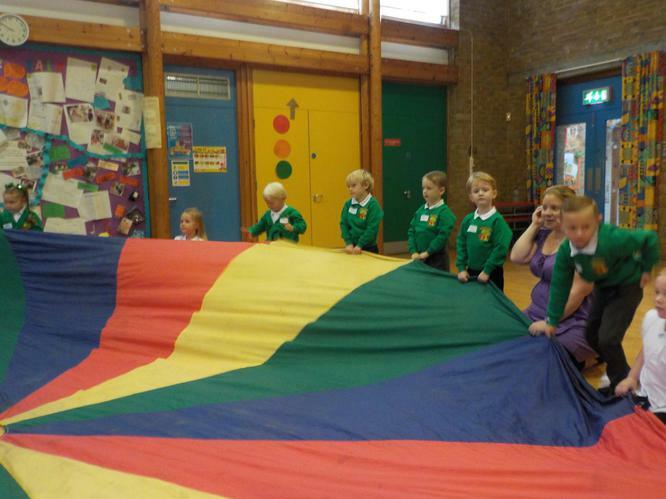 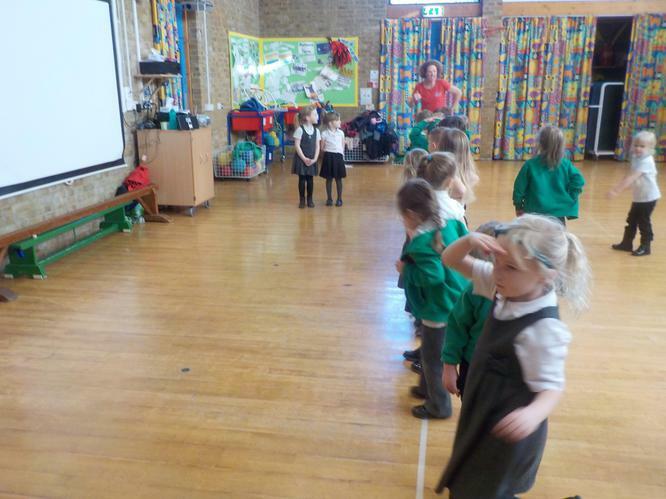 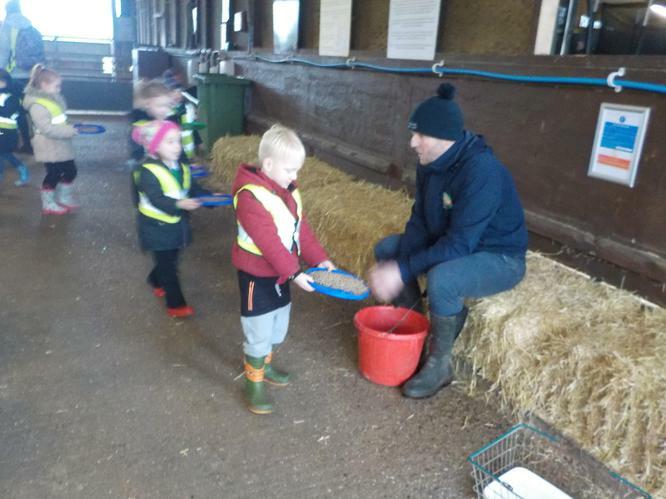 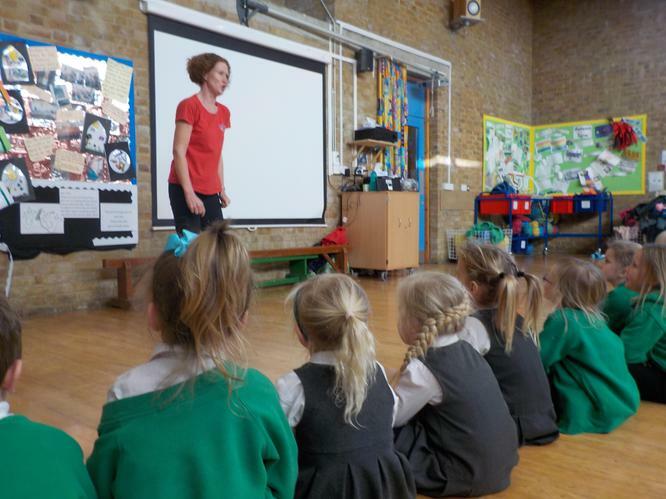 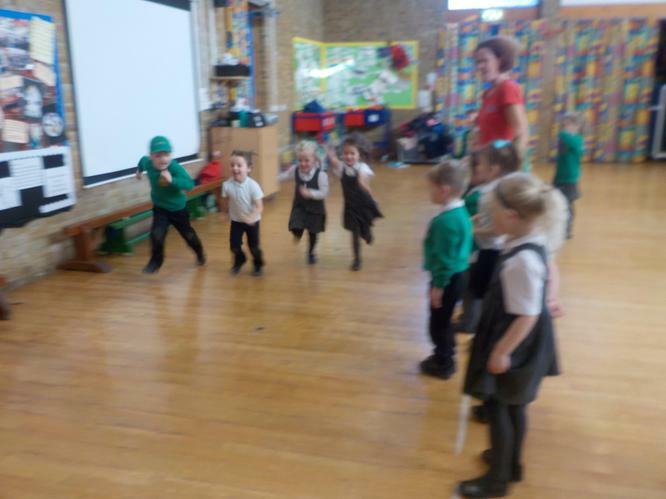 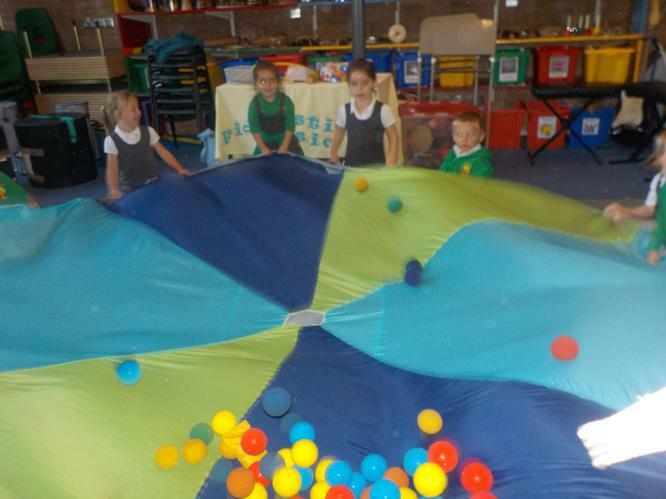 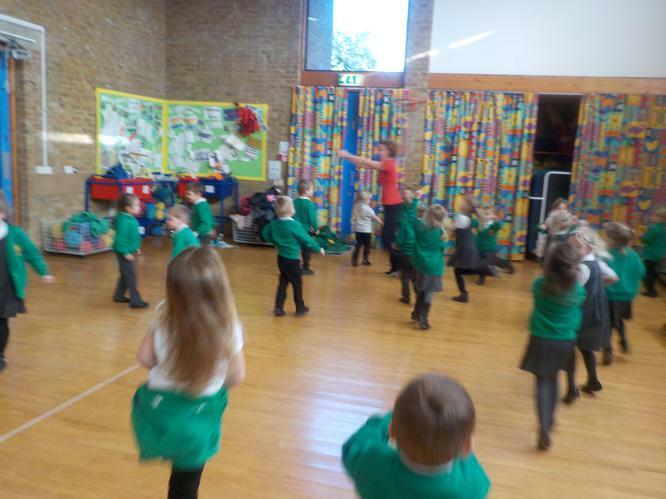 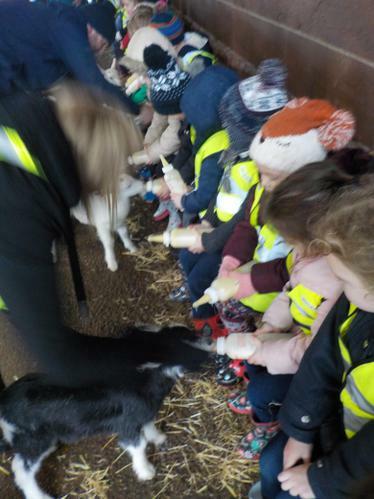 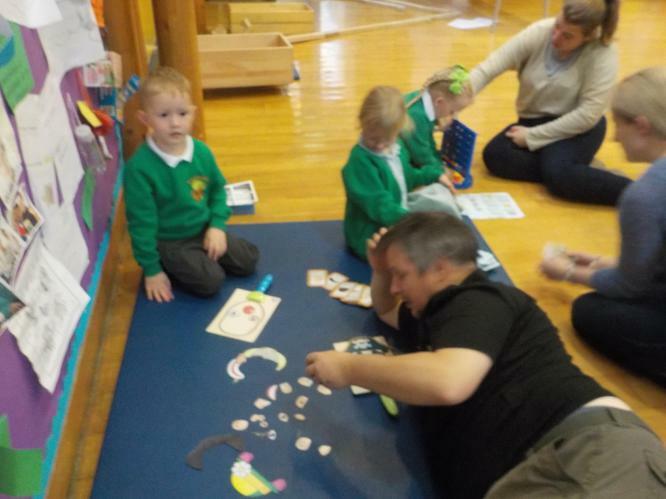 Stay and Play sessions have now finished and we look forward to getting ready to go to Year 1. 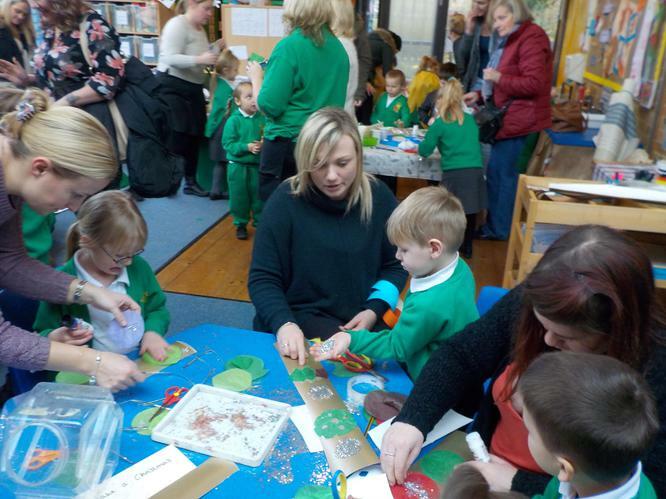 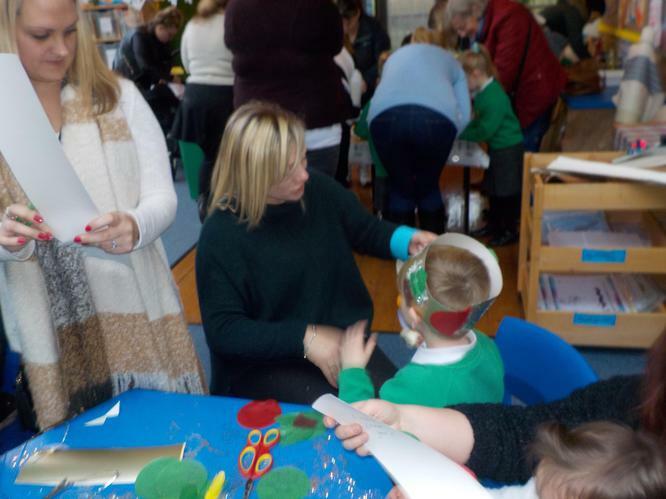 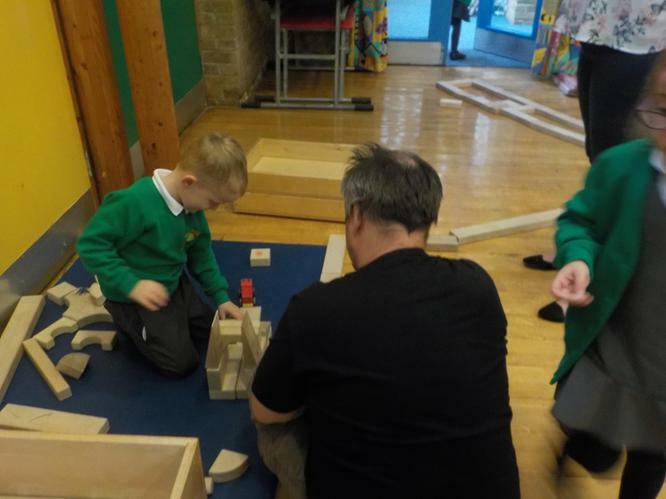 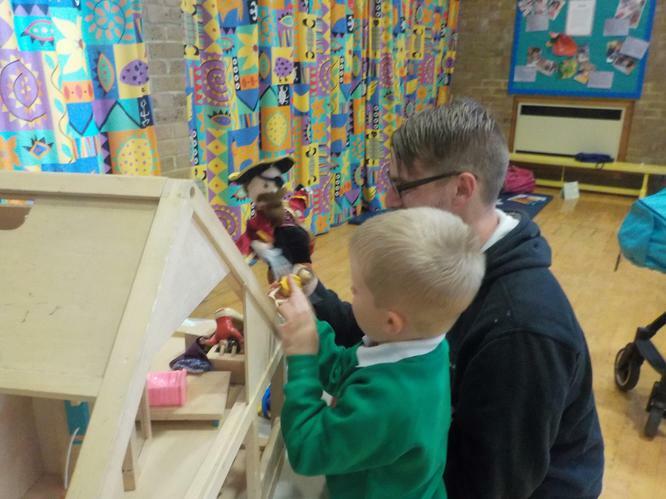 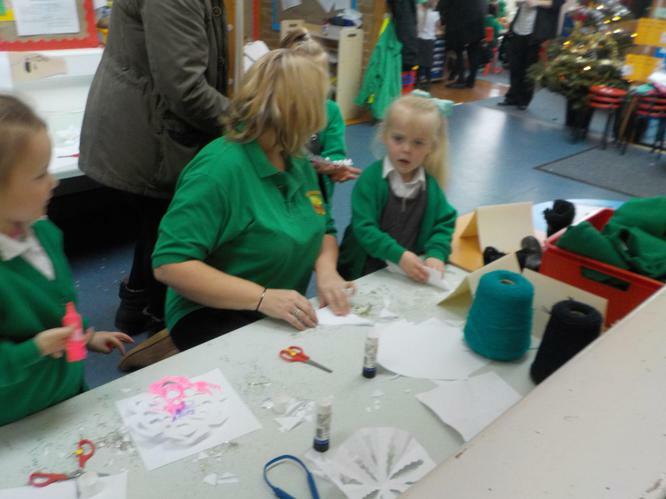 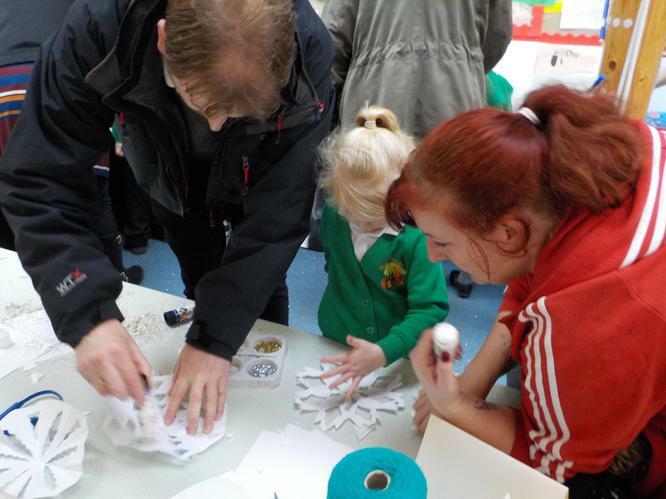 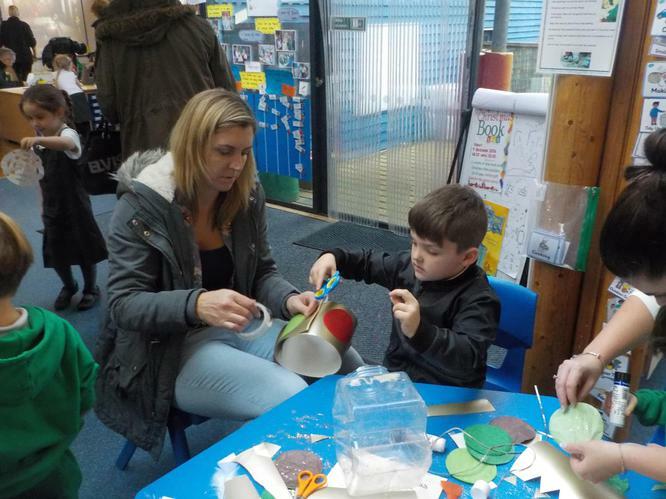 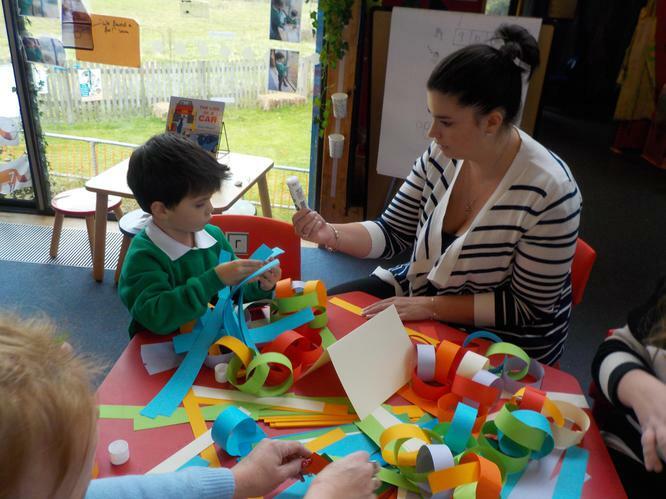 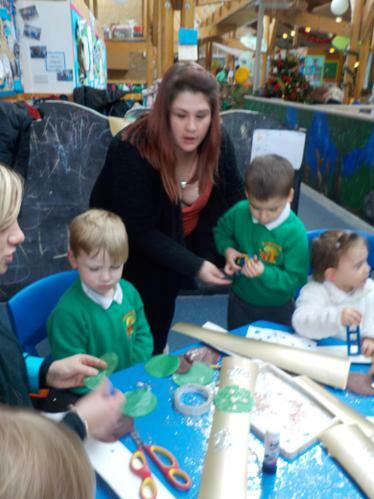 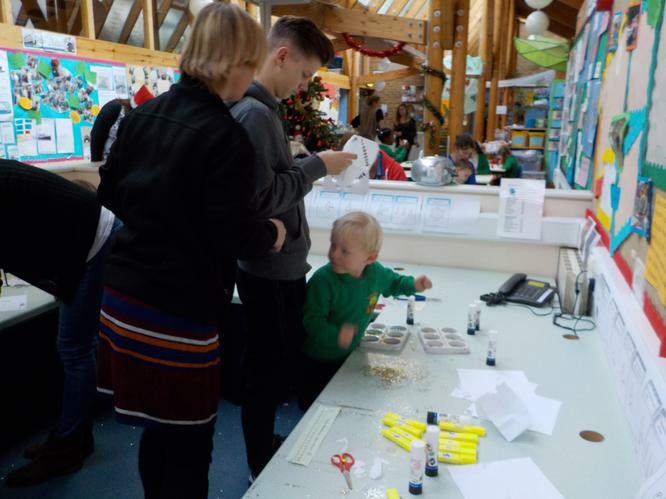 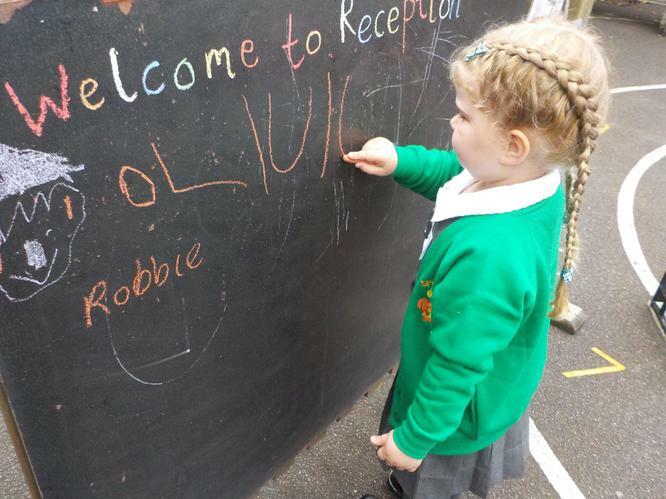 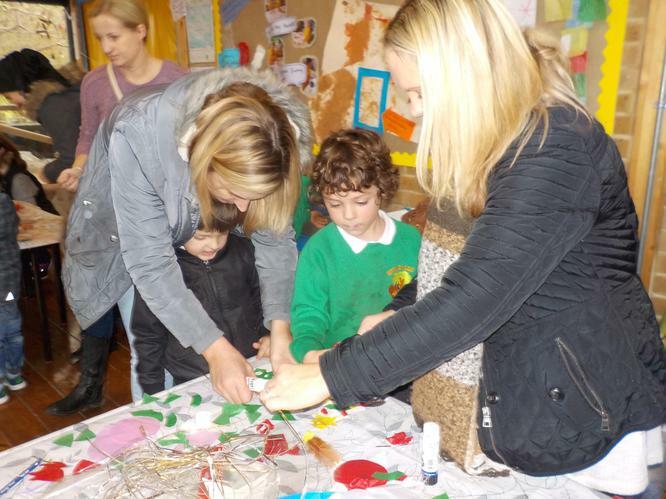 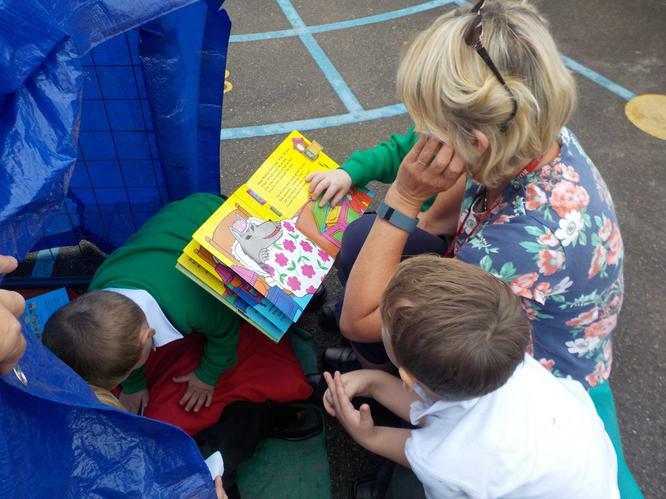 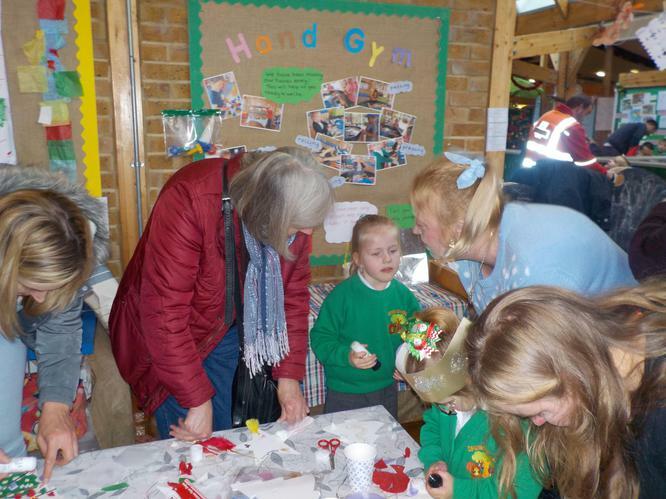 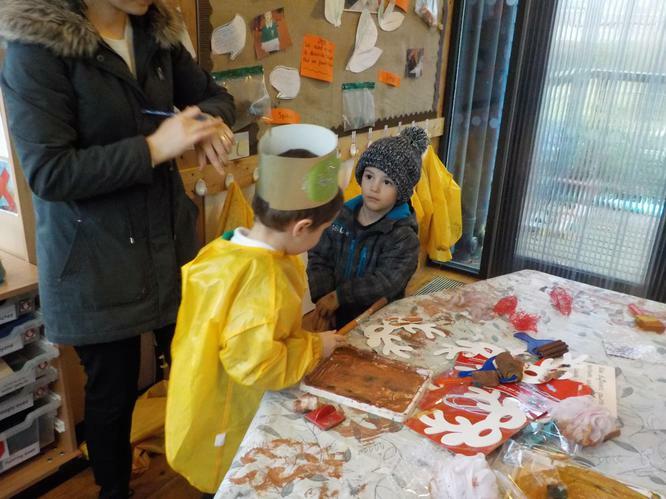 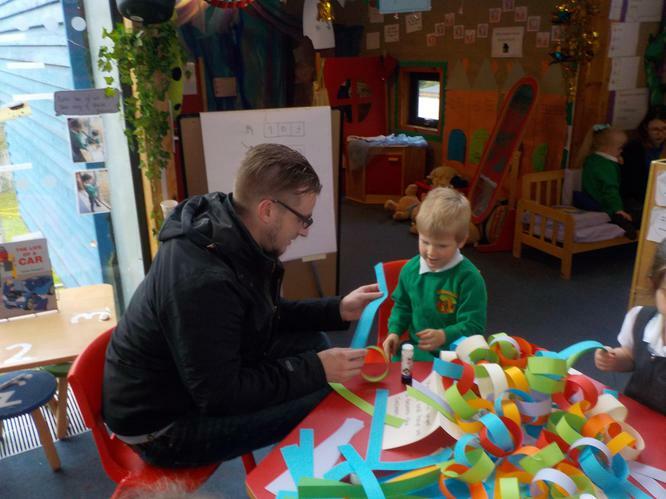 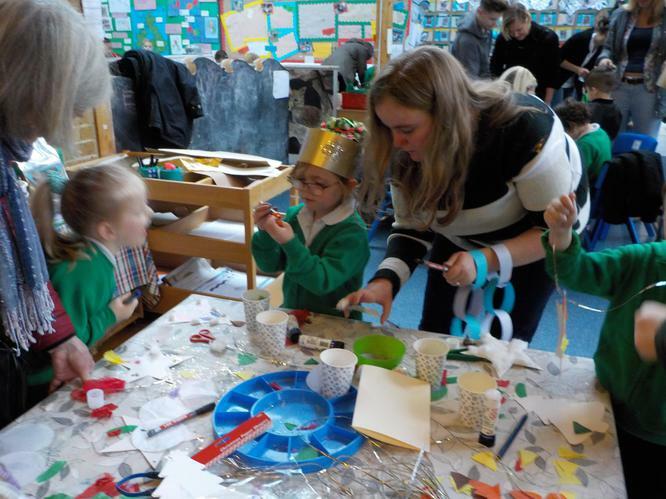 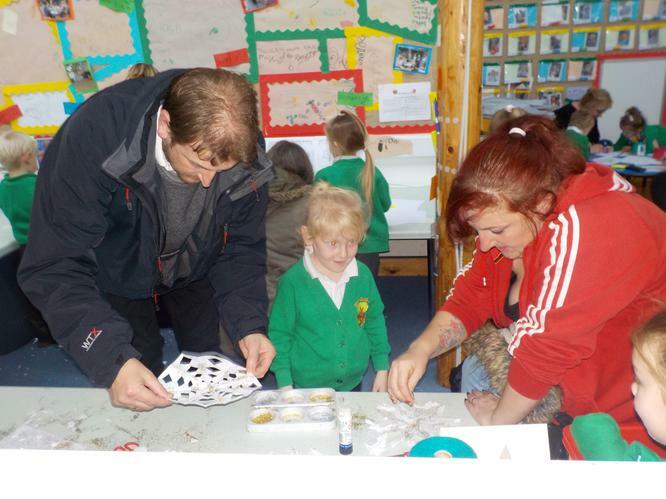 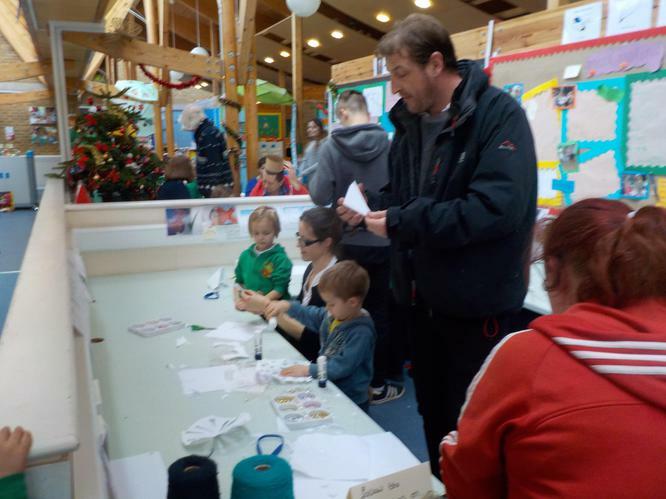 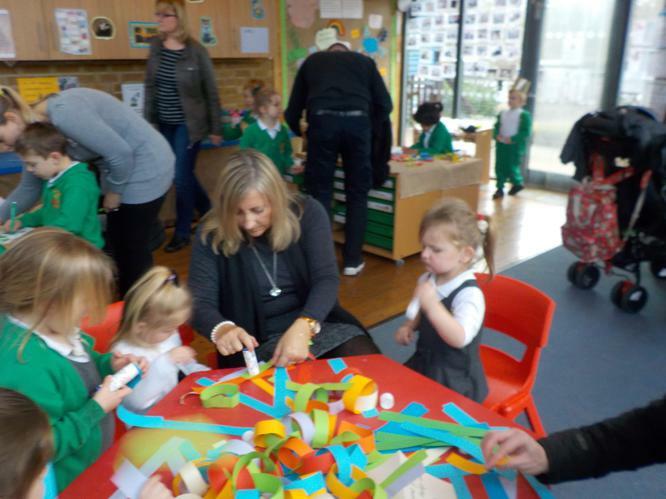 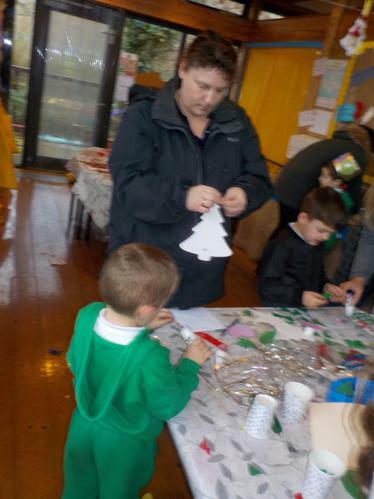 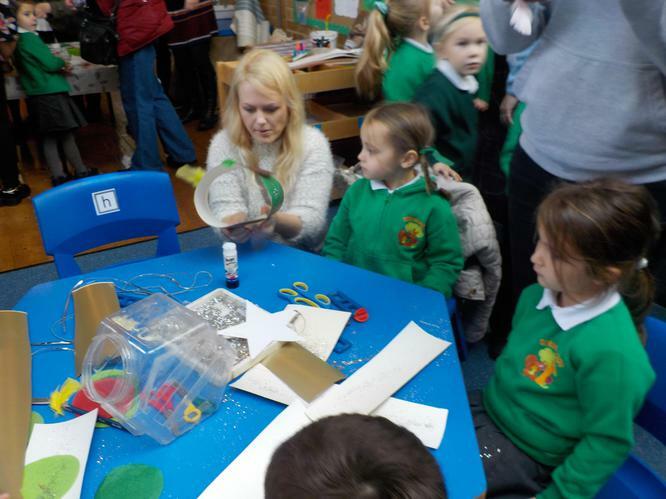 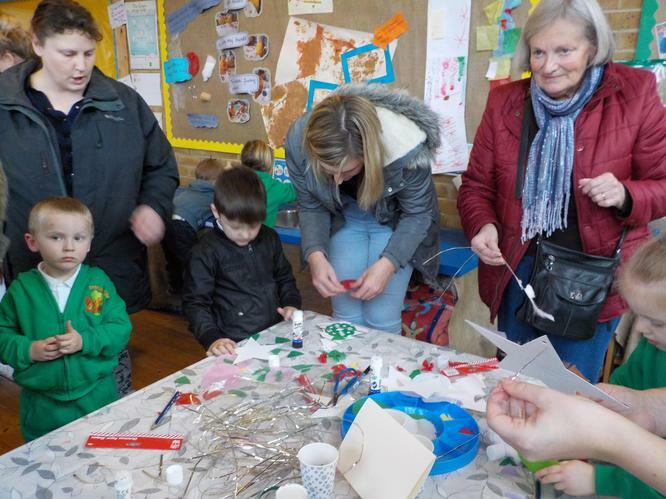 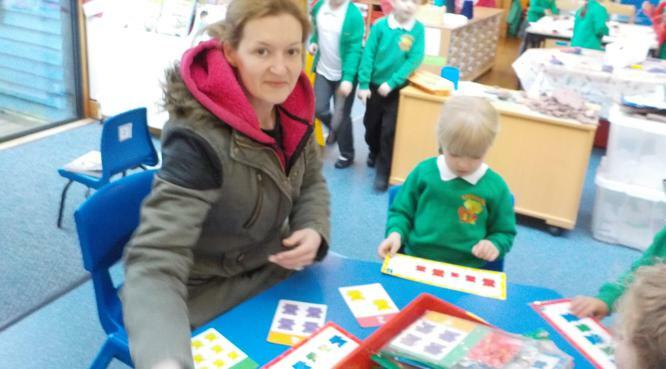 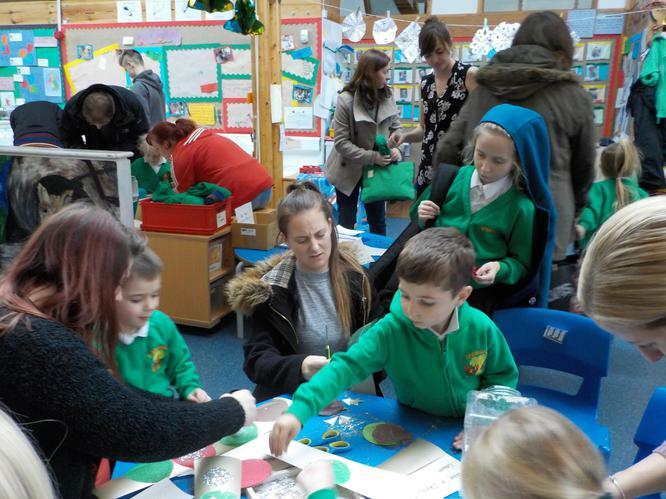 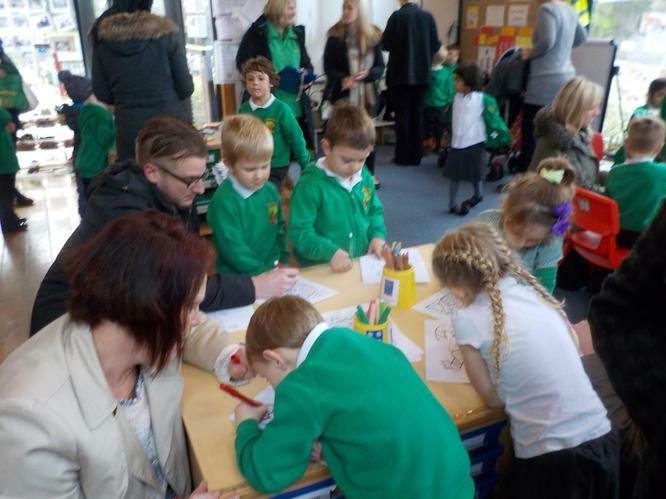 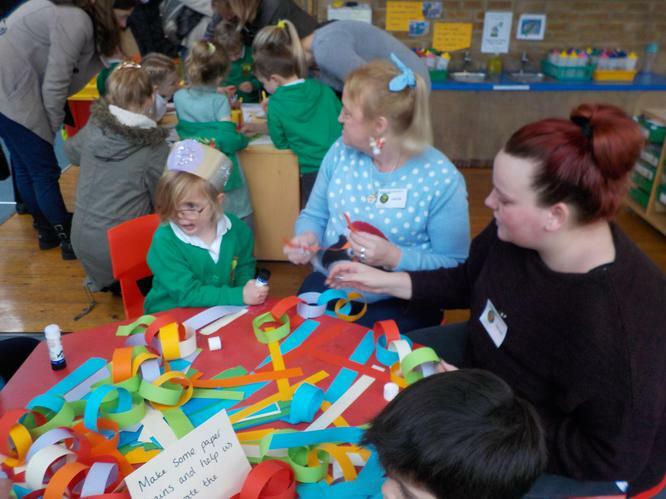 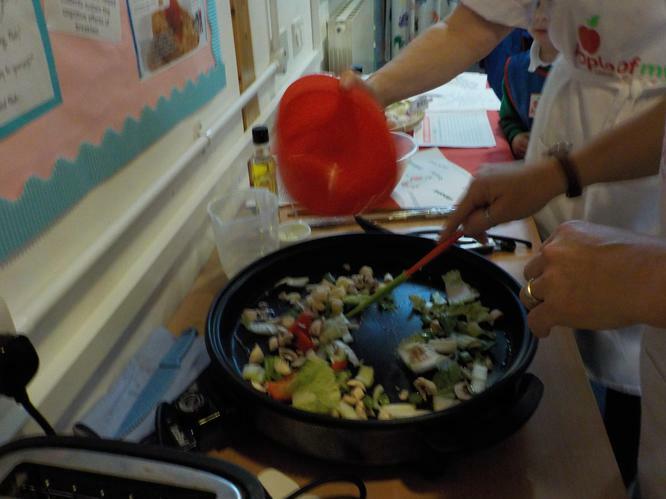 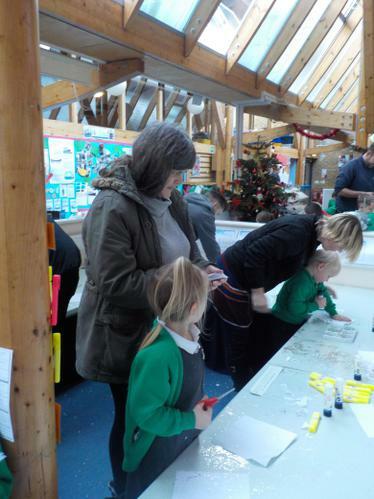 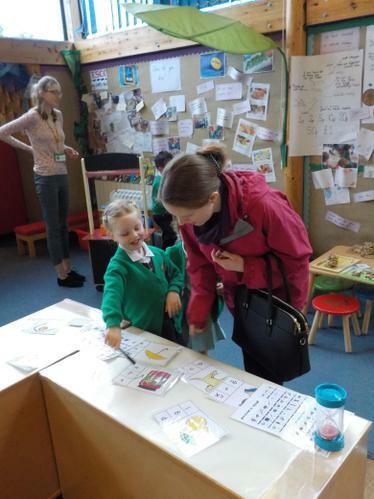 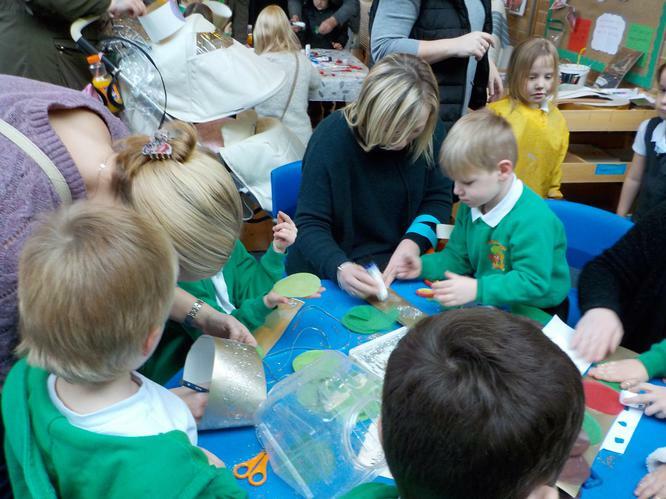 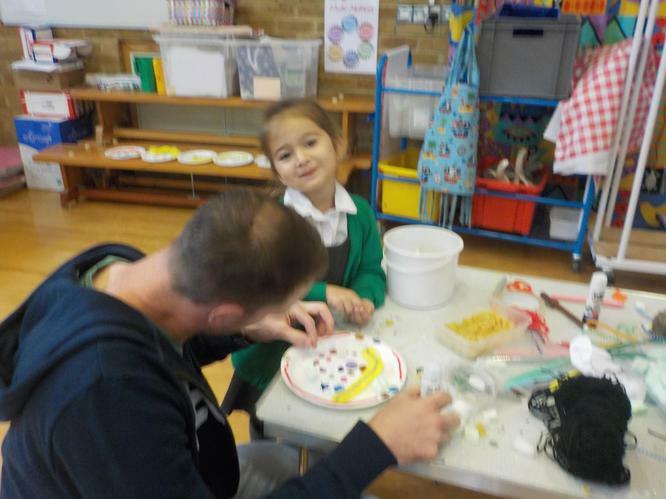 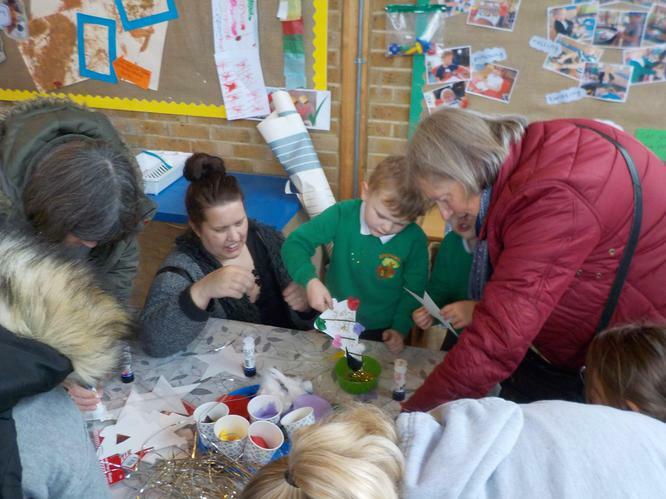 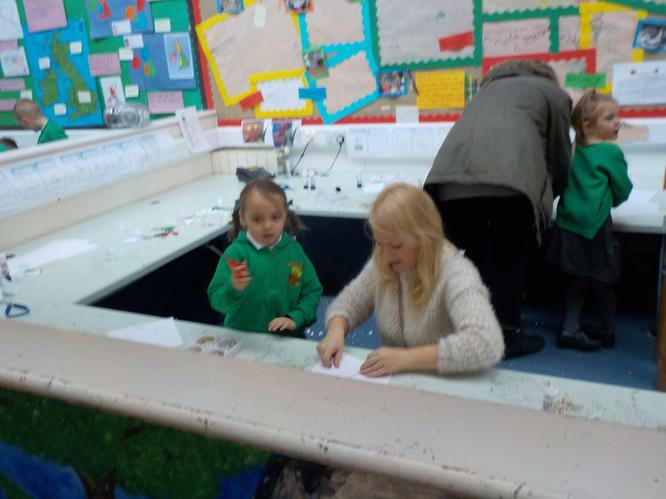 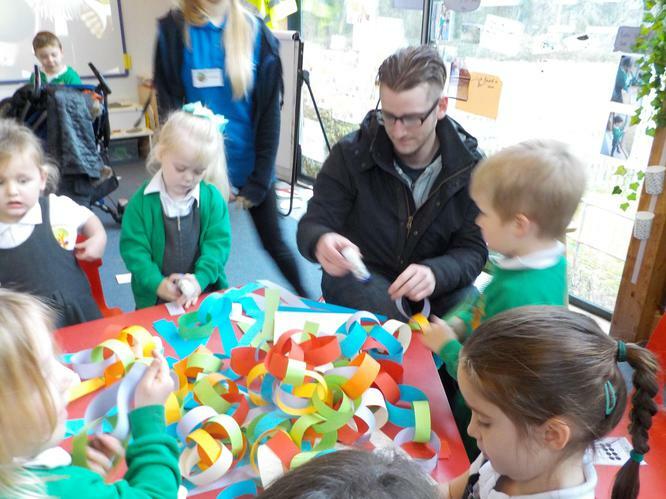 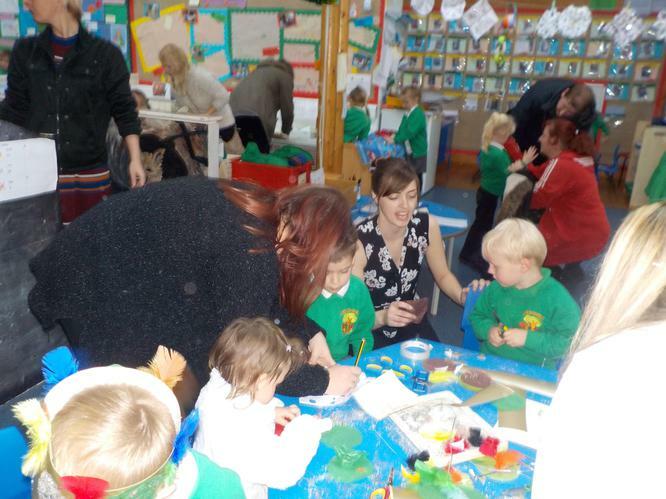 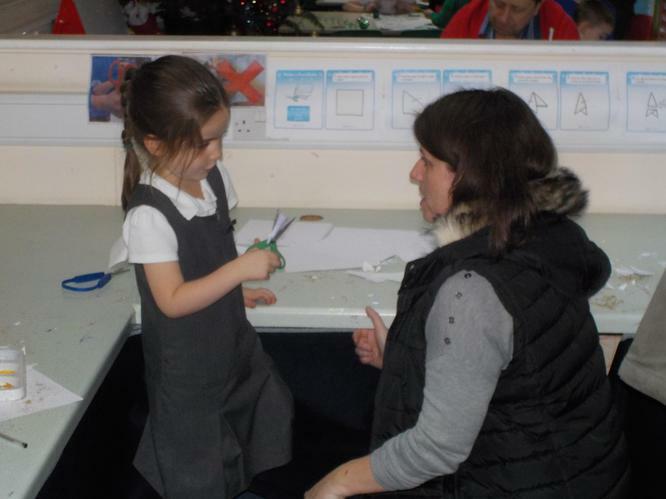 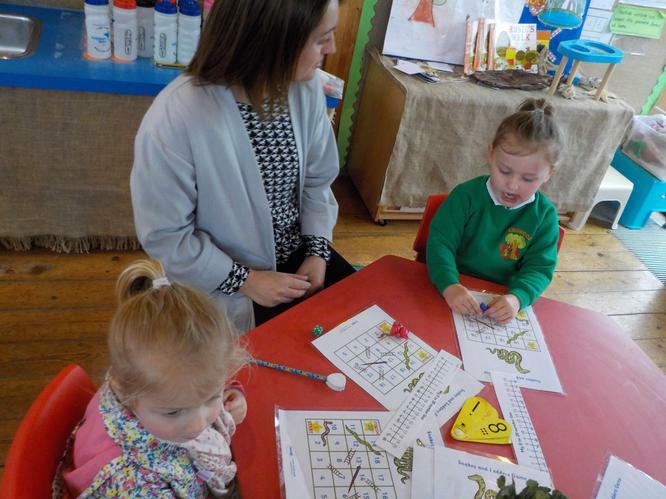 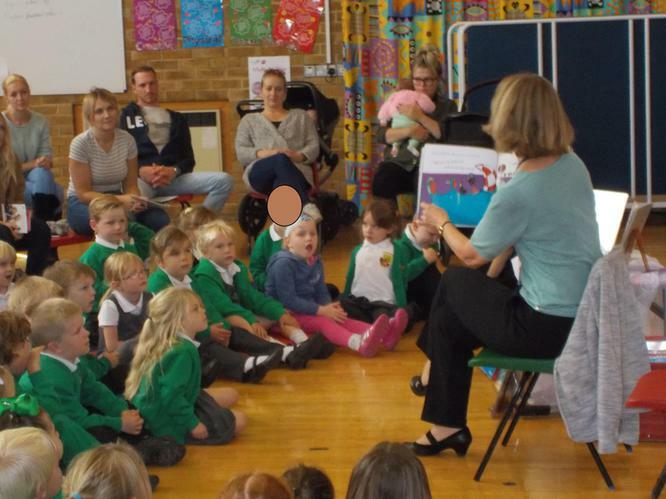 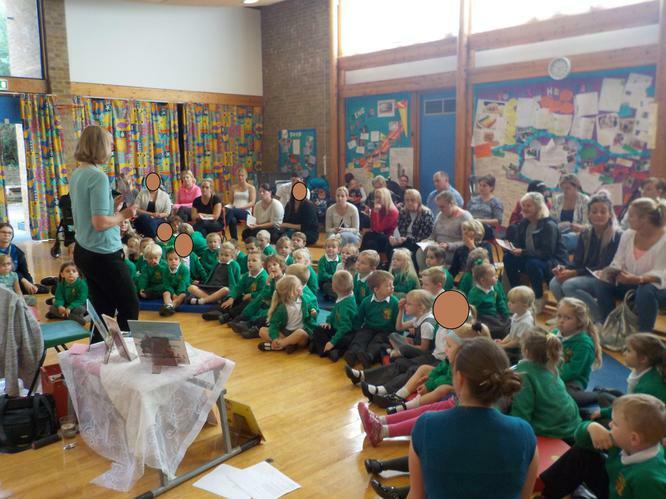 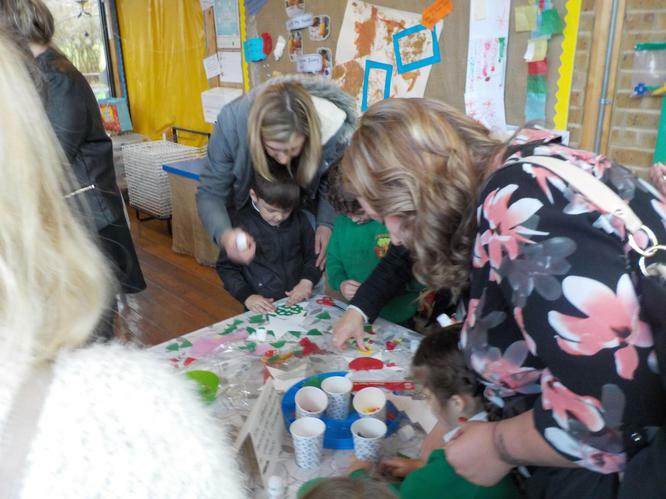 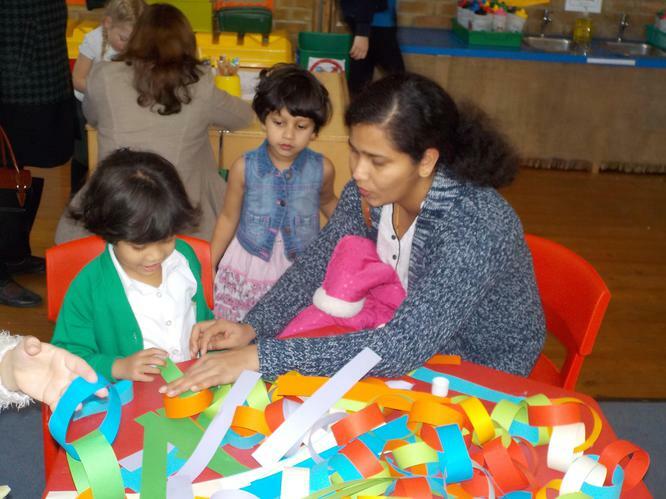 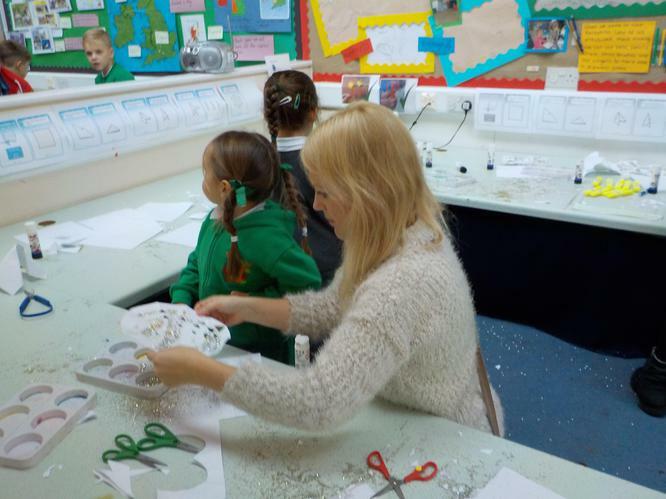 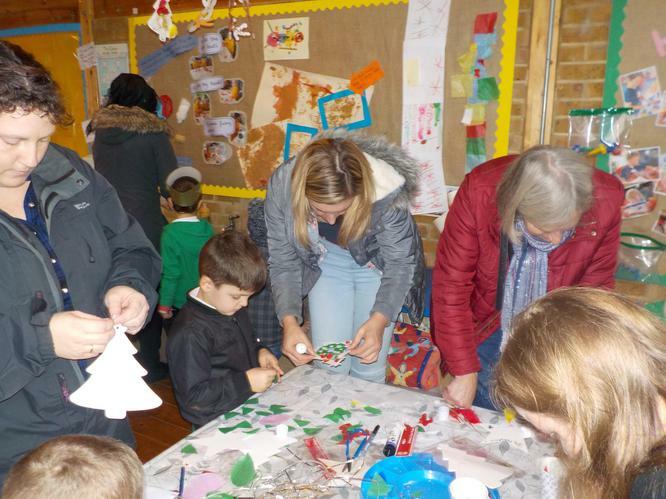 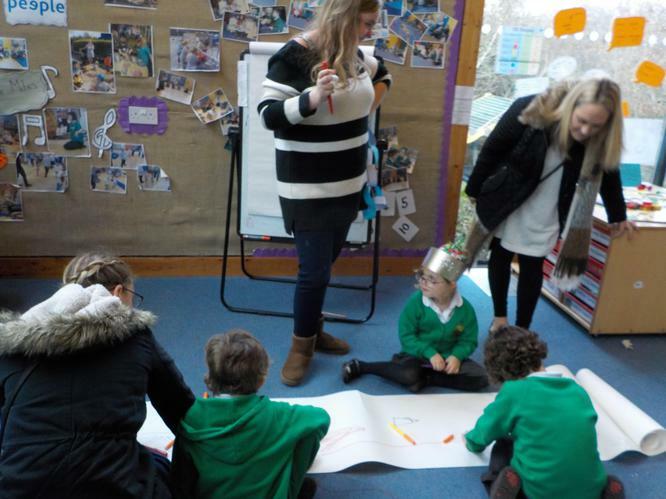 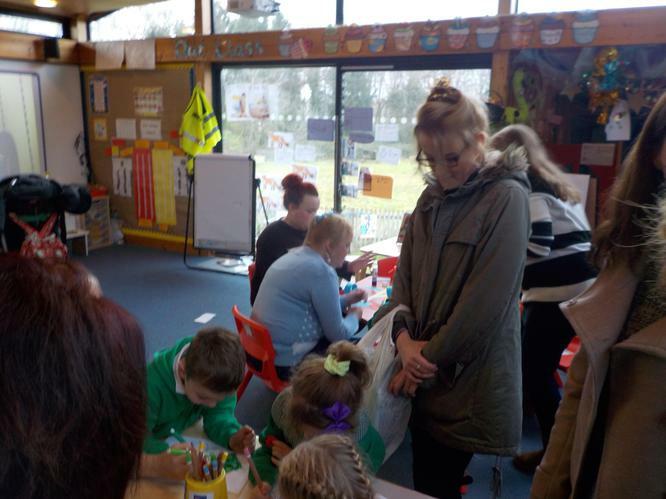 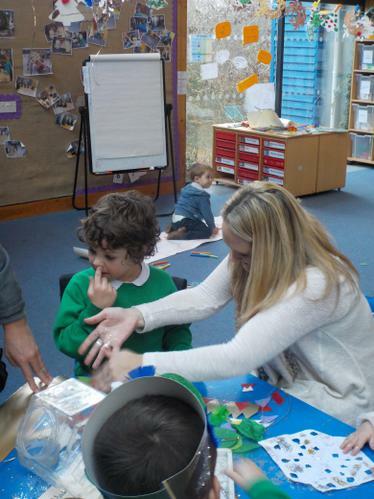 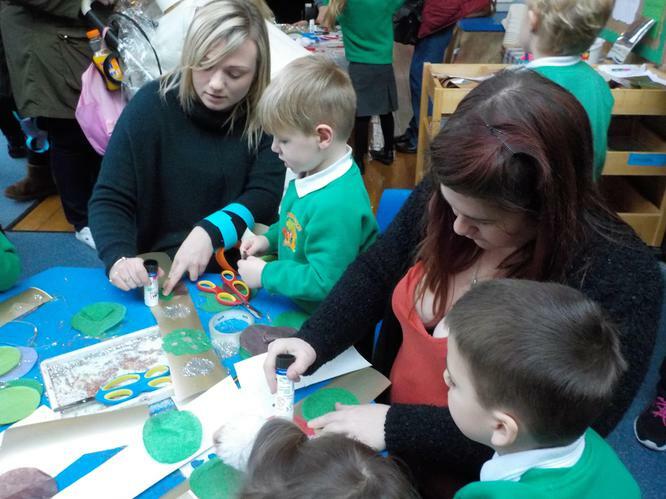 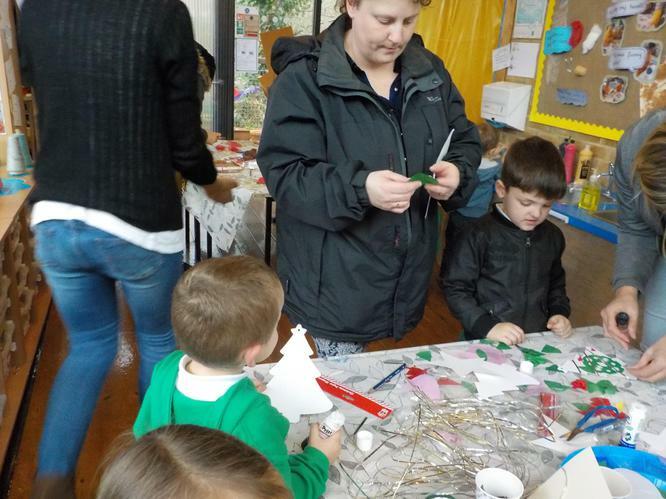 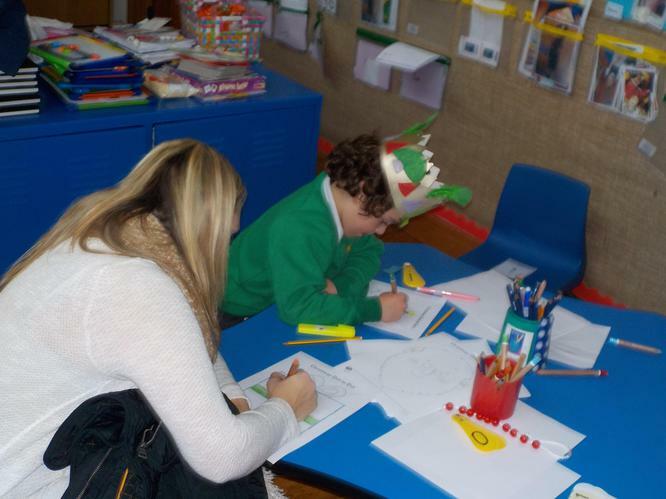 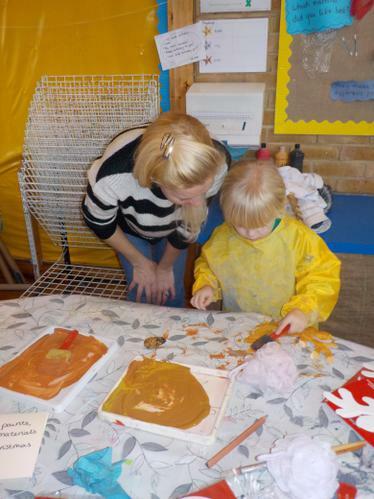 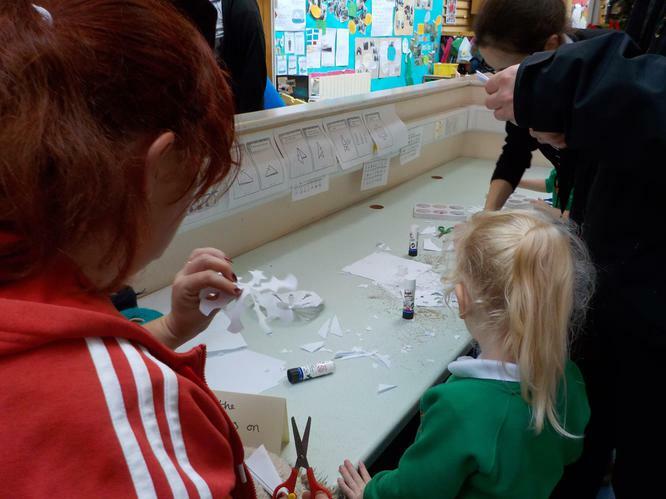 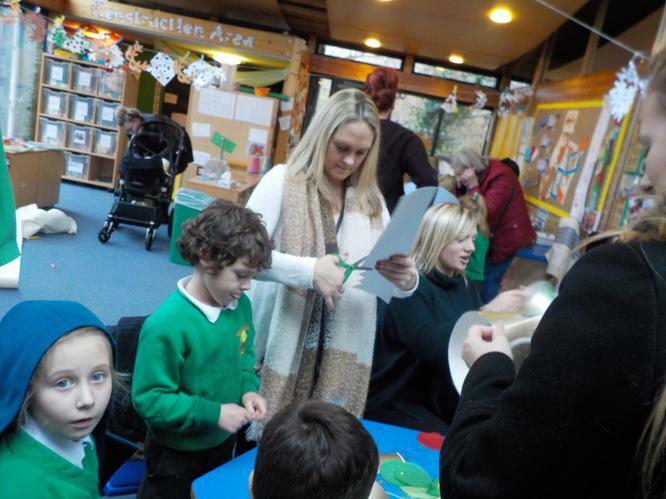 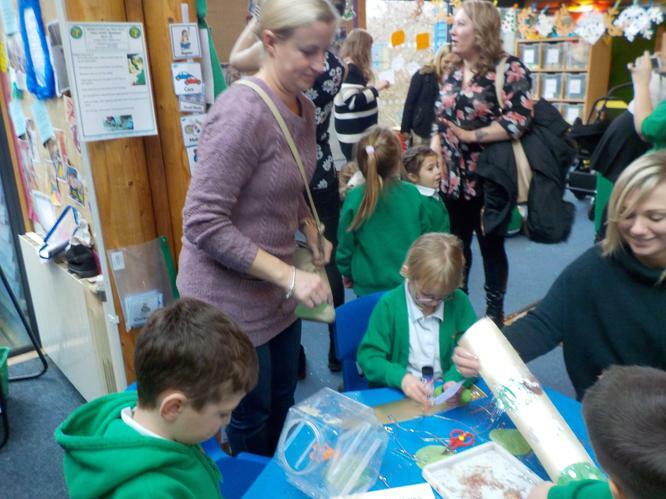 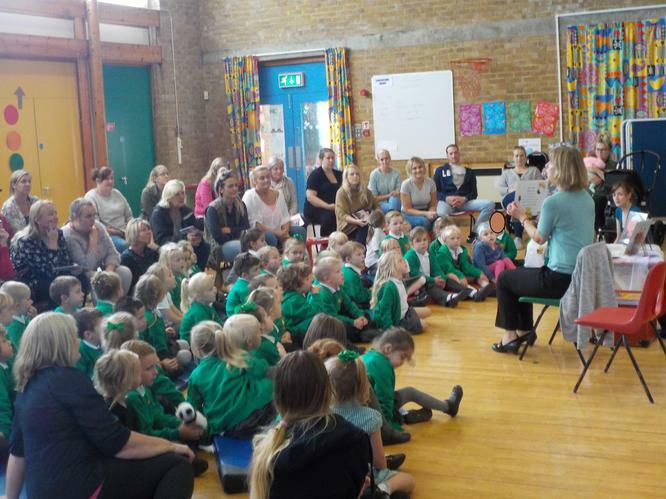 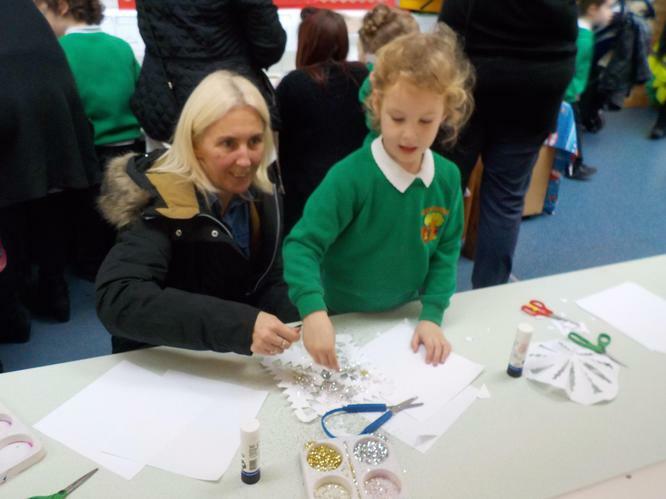 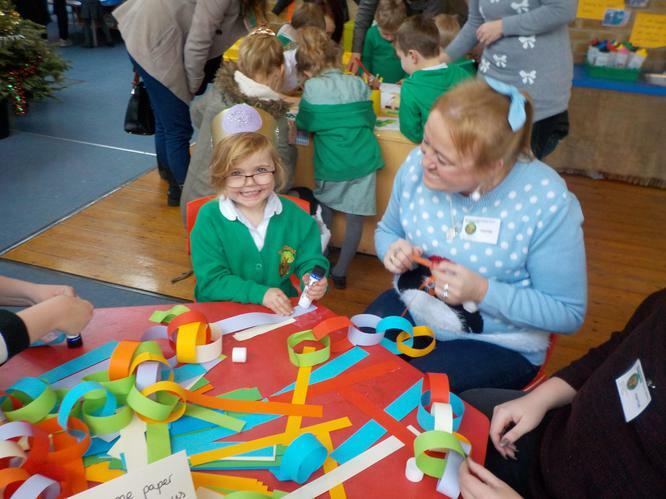 We wanted to say a huge THANK YOU to our grown ups for coming in for Stay and Play and supporting our learning! 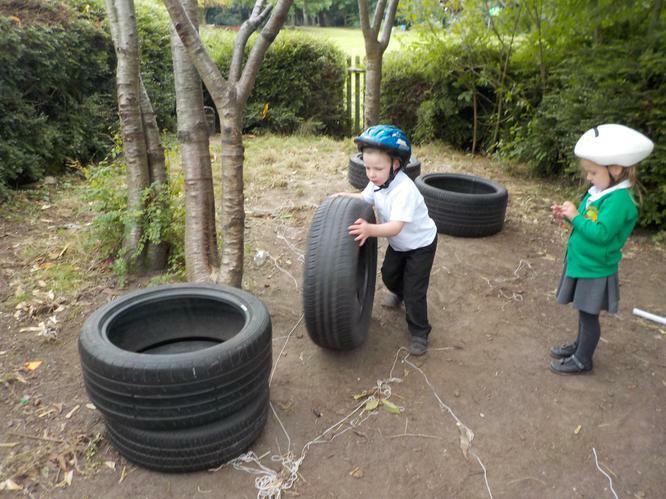 Today we were able to continue our learning outside despite the weather because we came to school prepared! 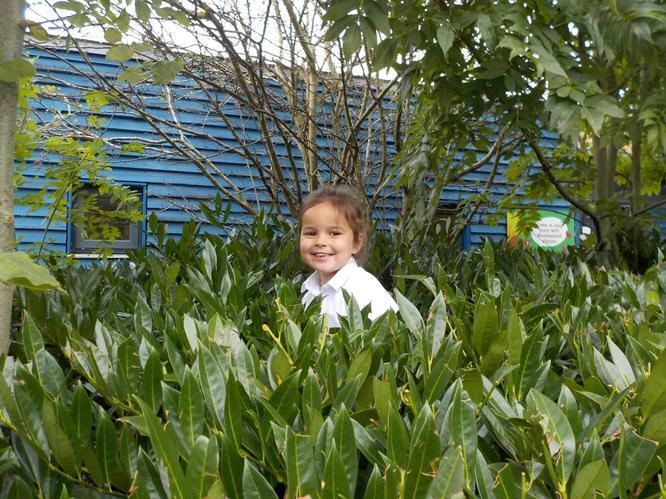 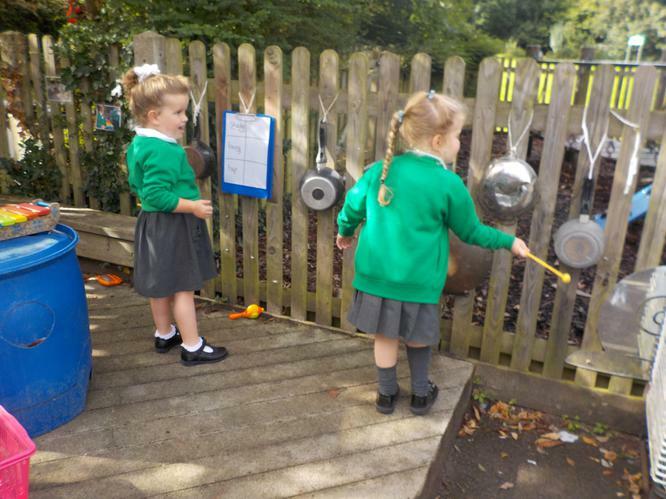 We are very lucky to have such a large and beautiful outdoor environment at Springwood which supports learning come rain or shine! 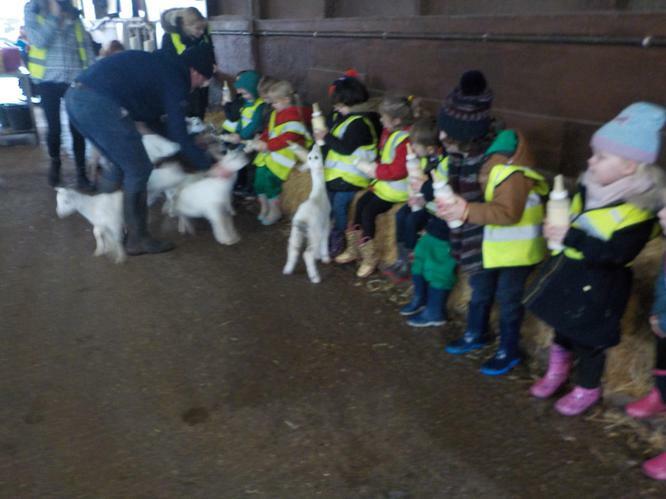 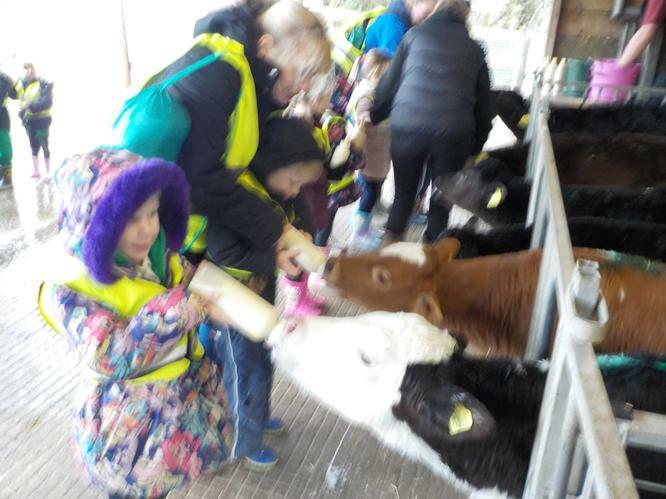 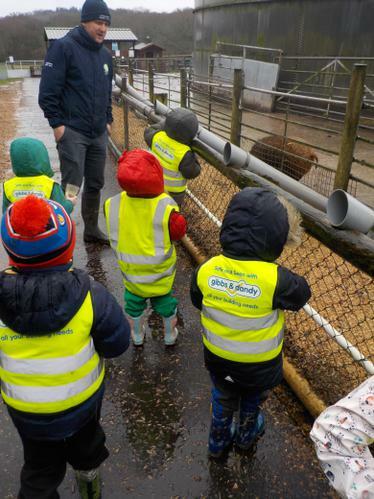 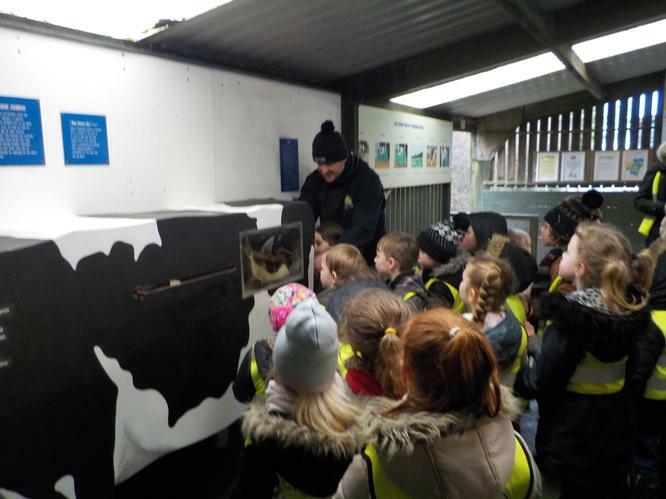 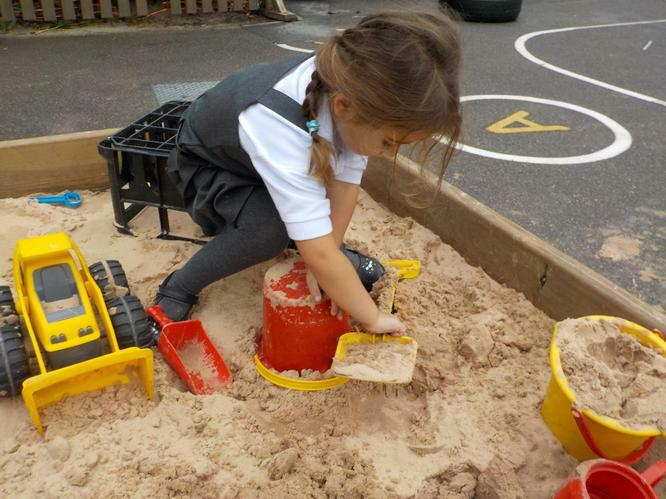 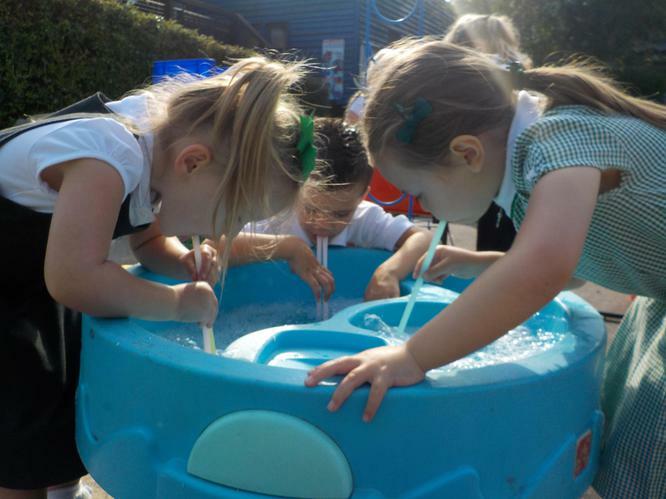 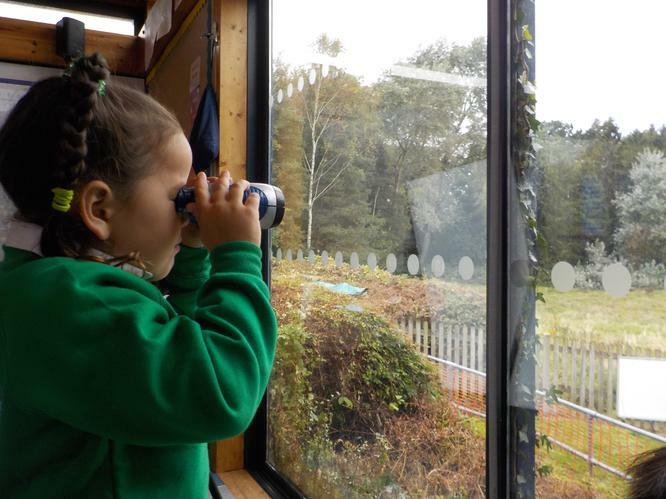 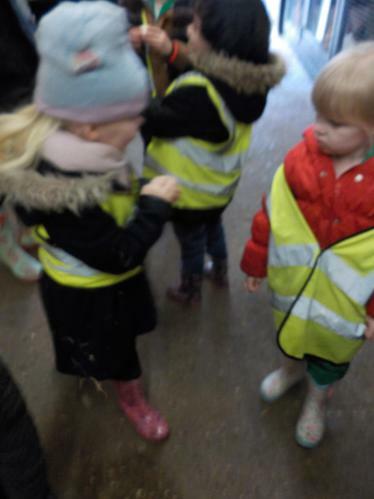 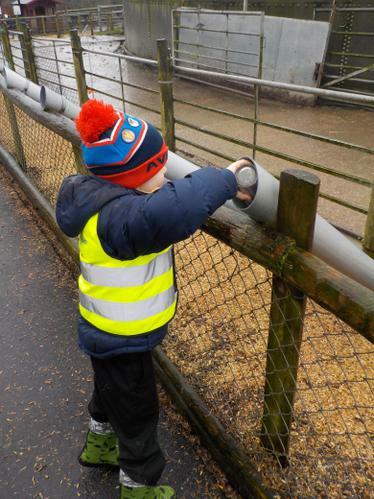 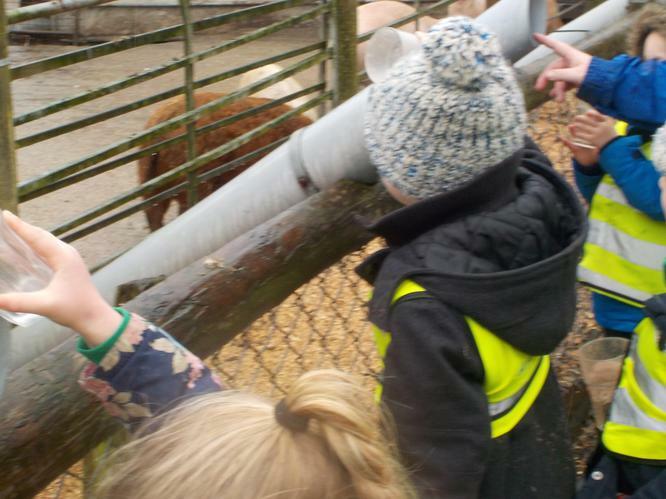 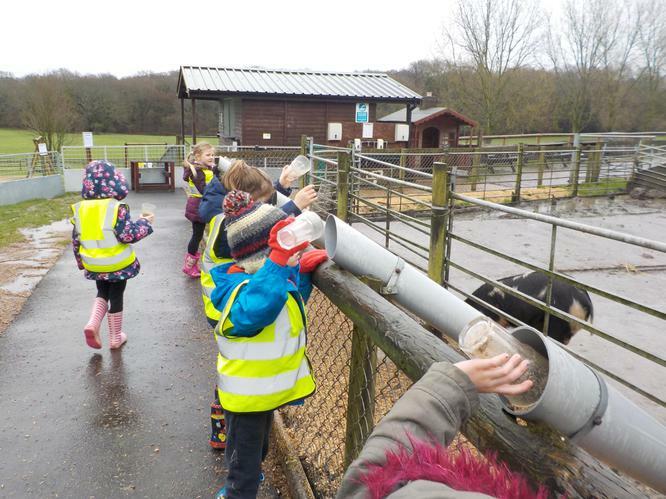 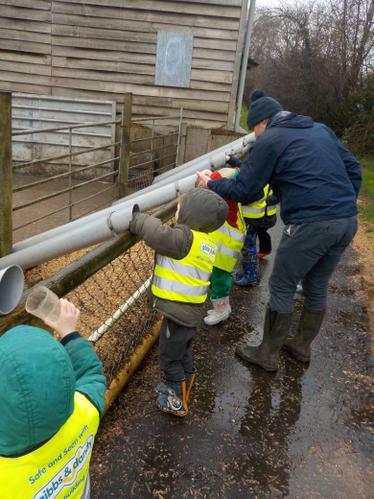 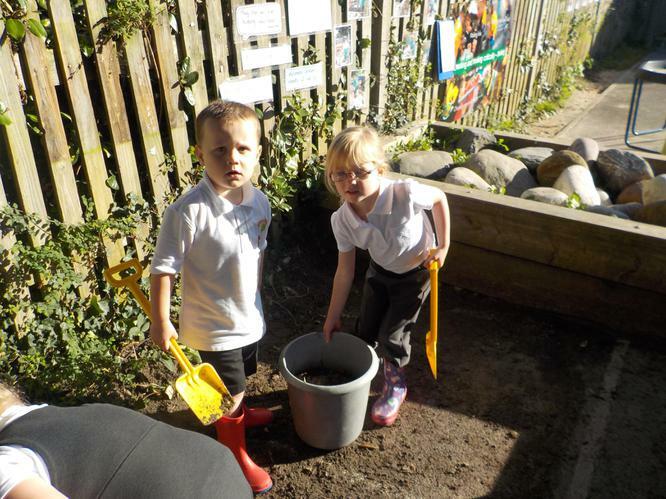 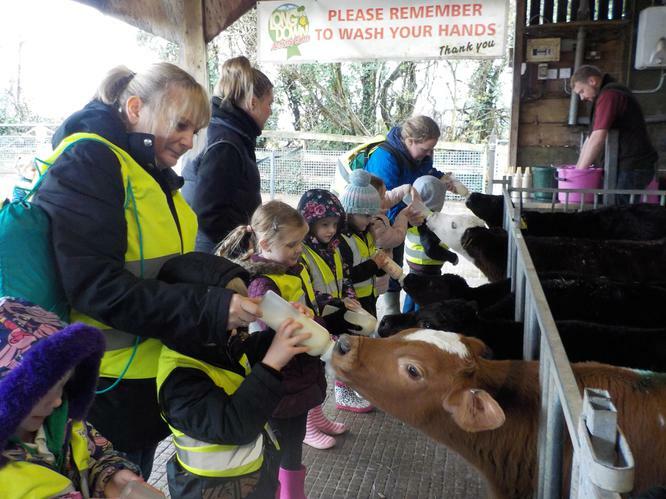 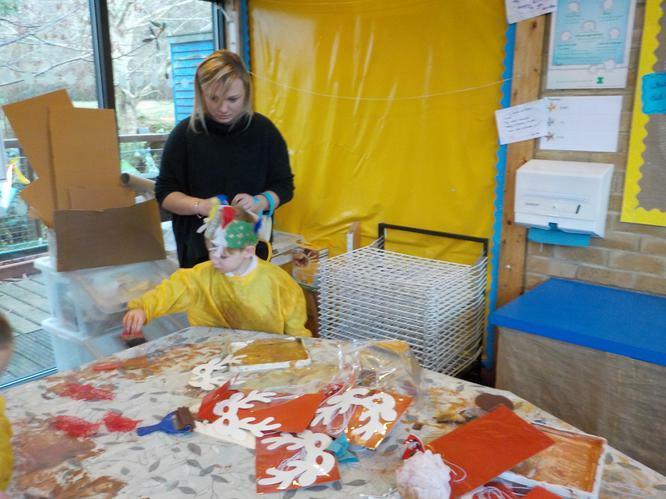 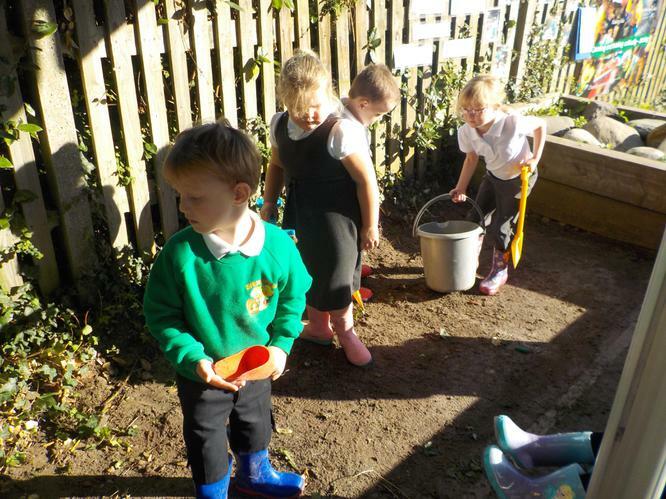 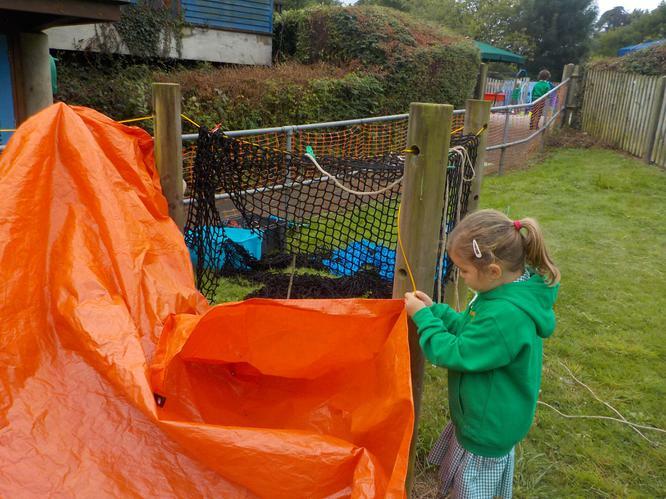 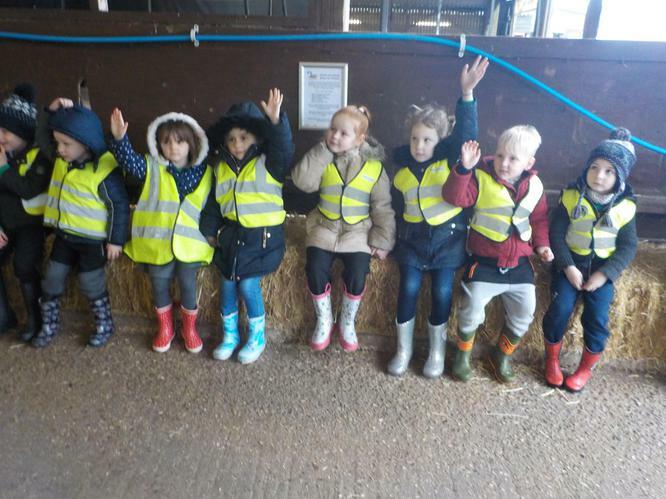 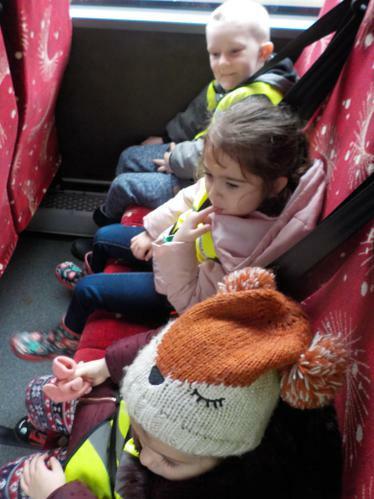 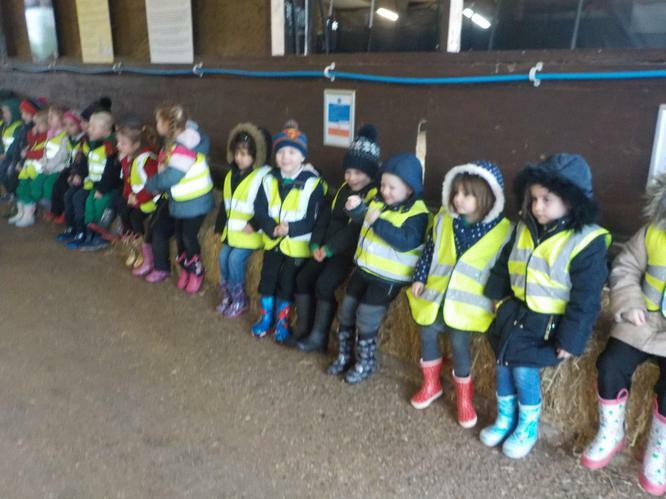 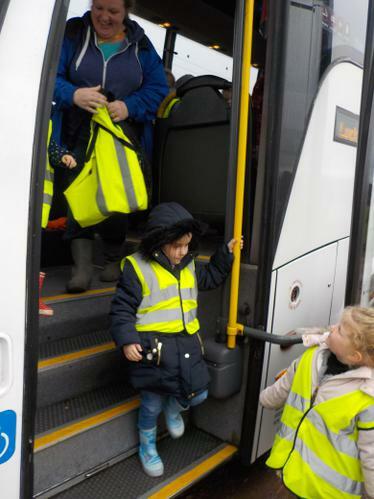 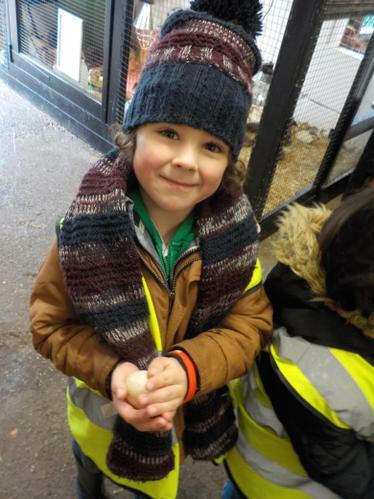 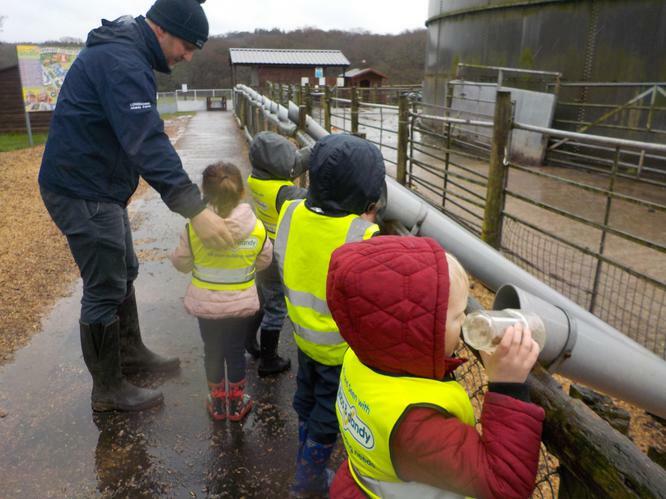 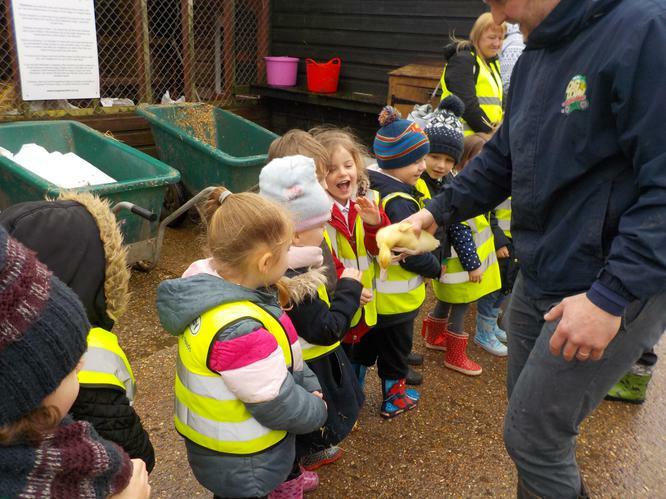 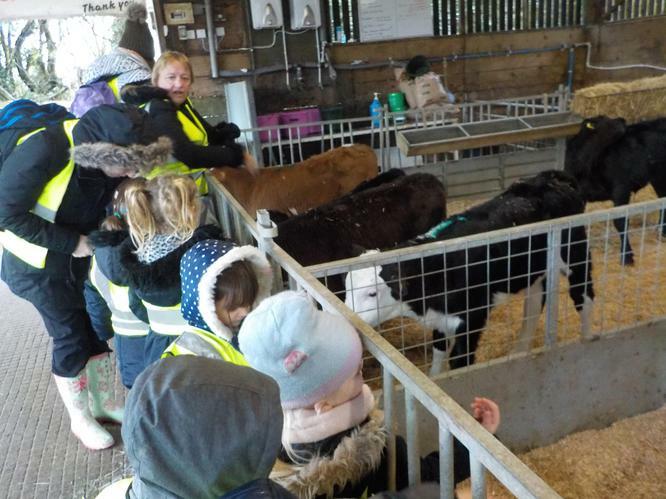 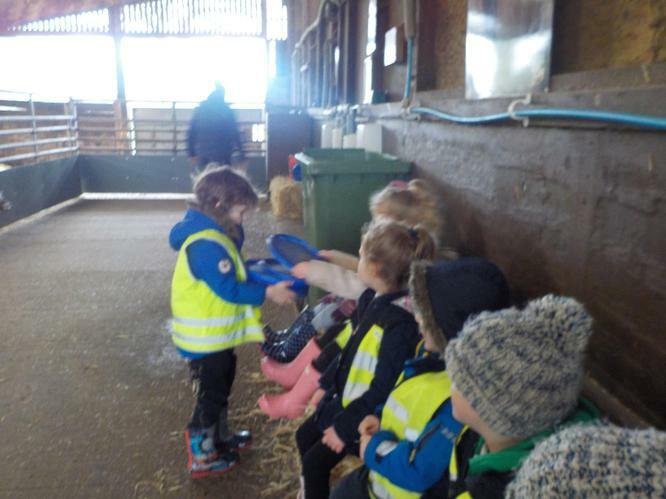 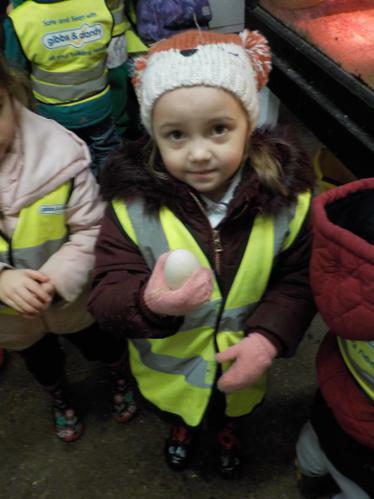 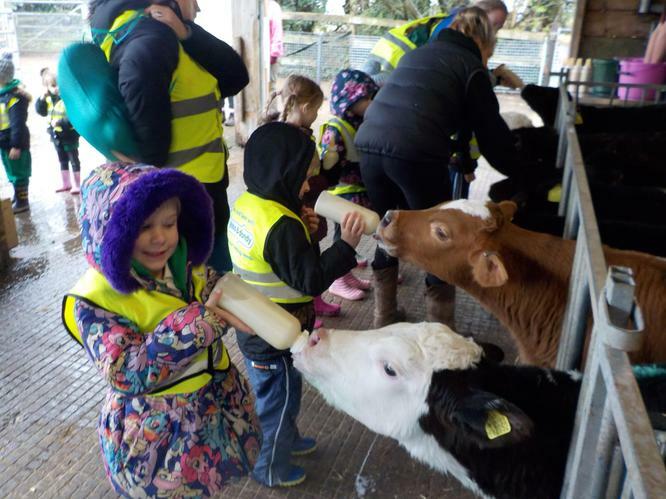 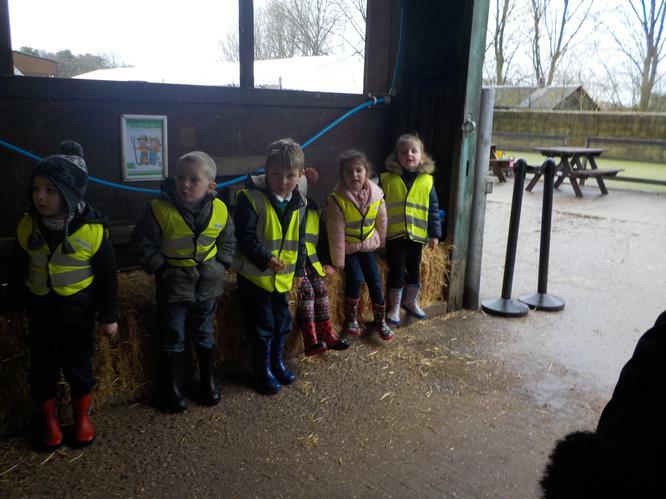 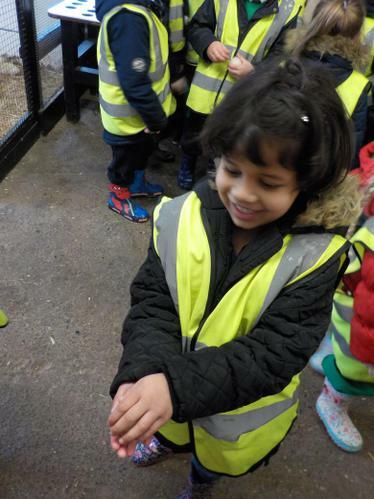 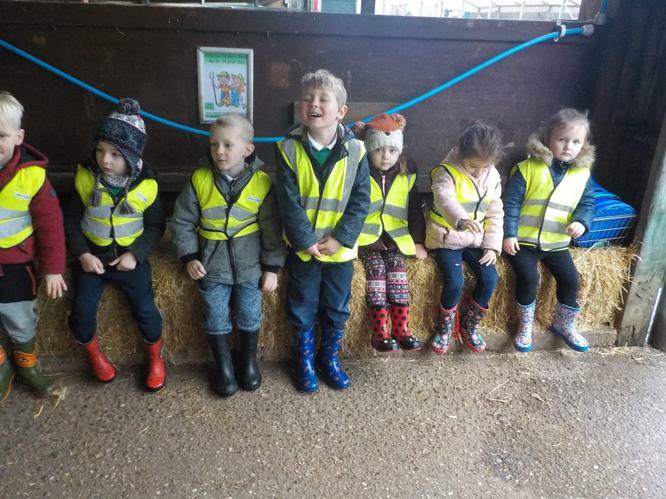 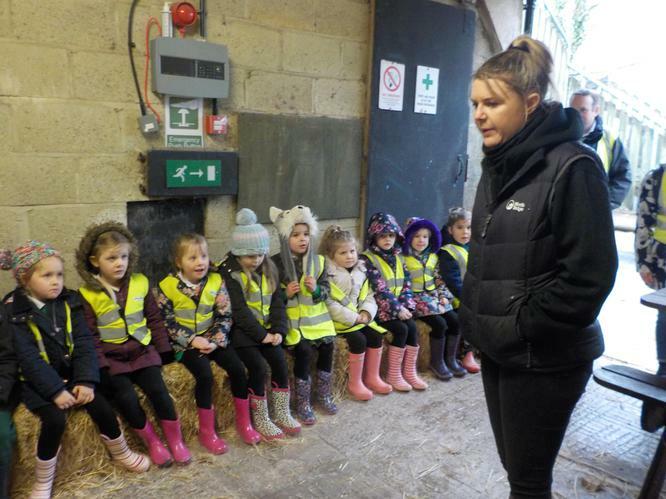 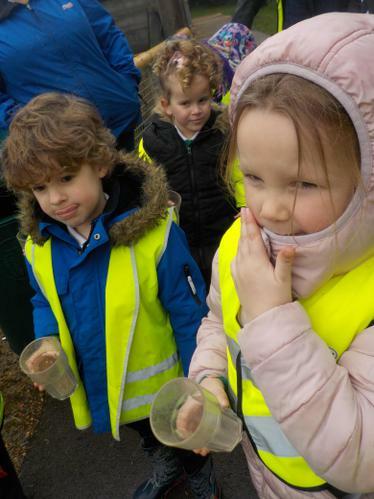 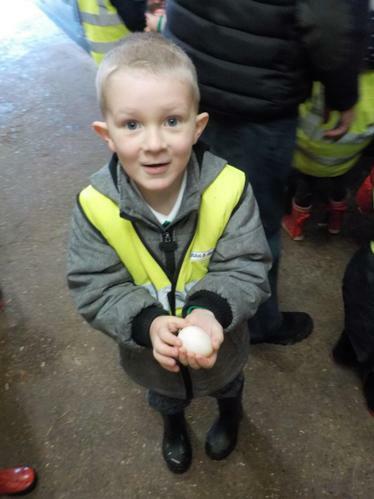 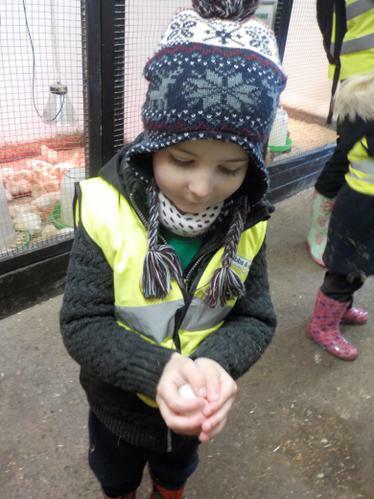 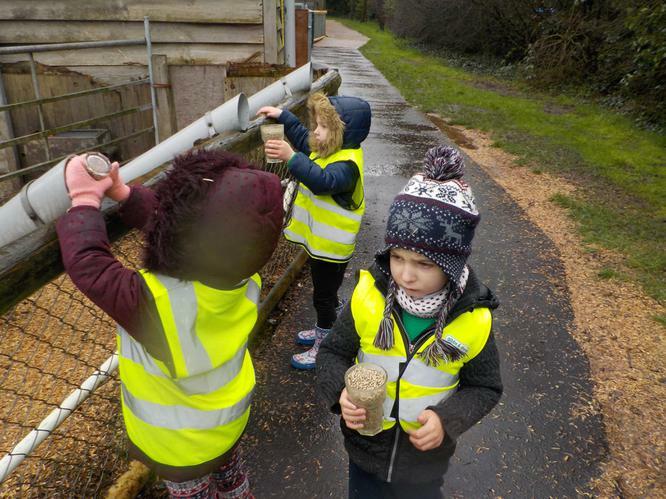 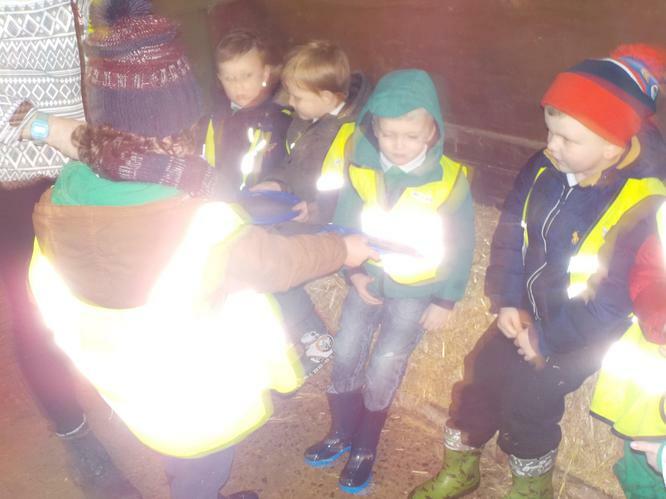 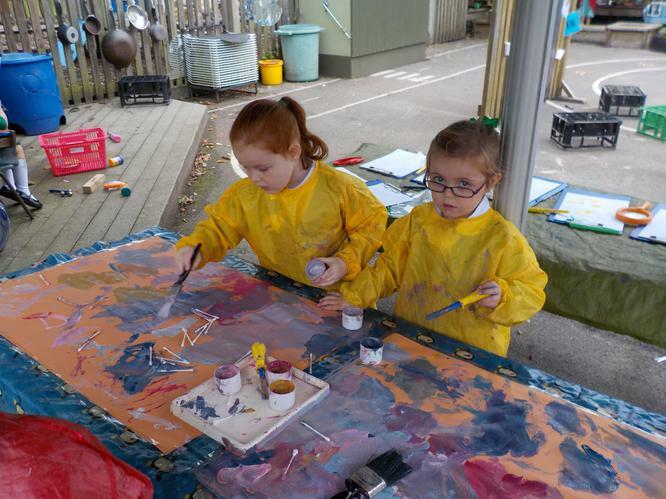 Please ensure that your child comes to school appropriately dresses for the weather so we can make the most of our environment and engage in hands on learning all year round. 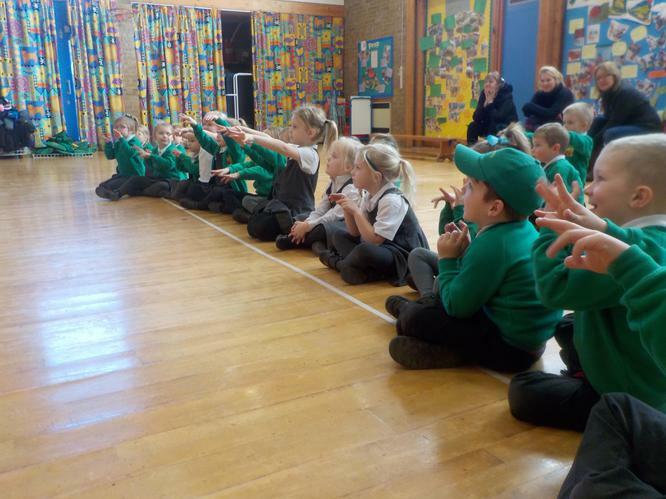 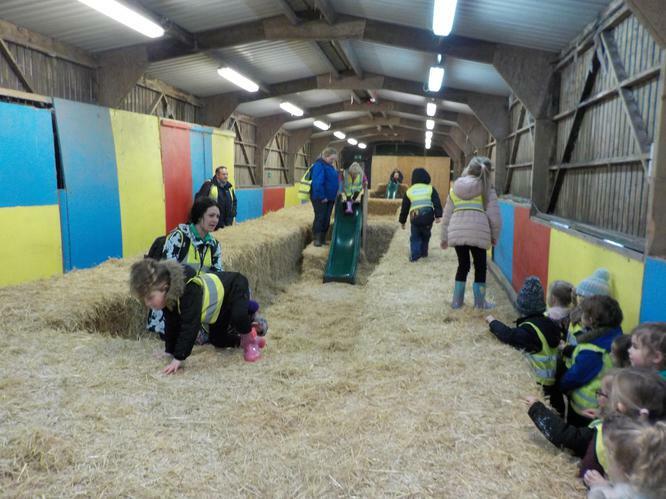 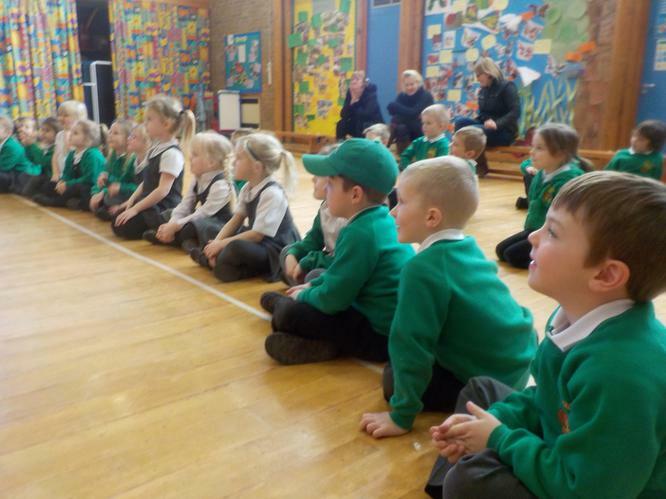 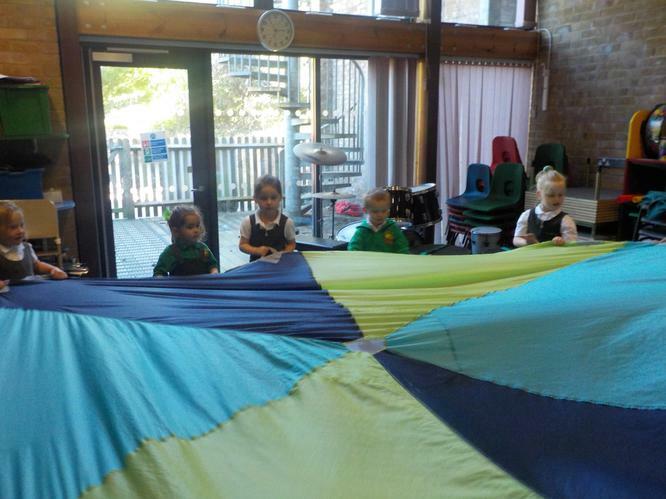 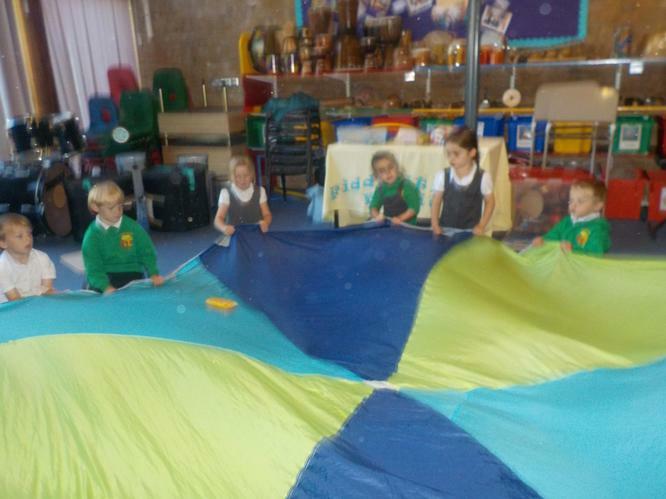 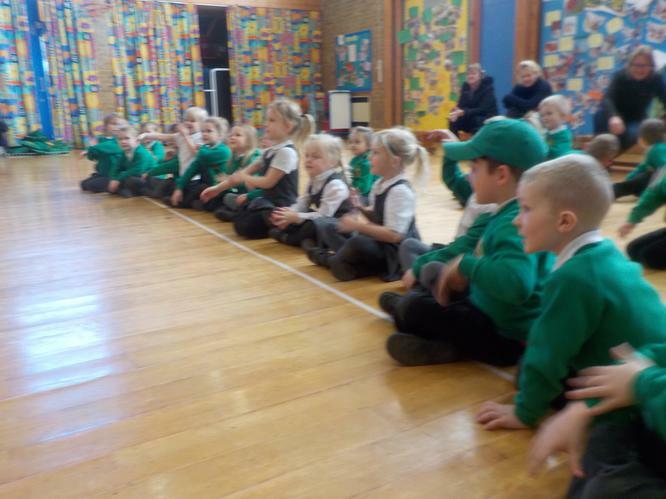 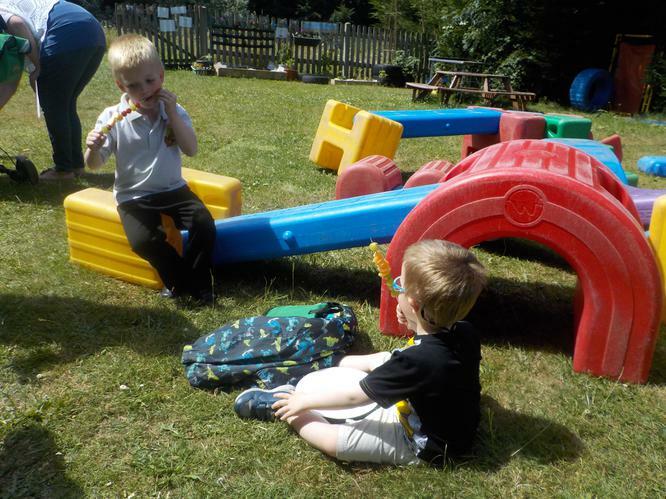 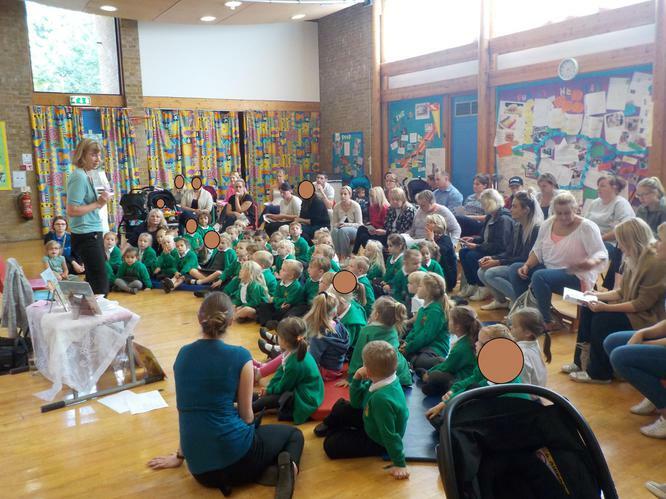 Fiddlesticks will provide the children with a rich musical experience including learning songs, using percussion instruments, moving to music, parachute games, mime and dance. 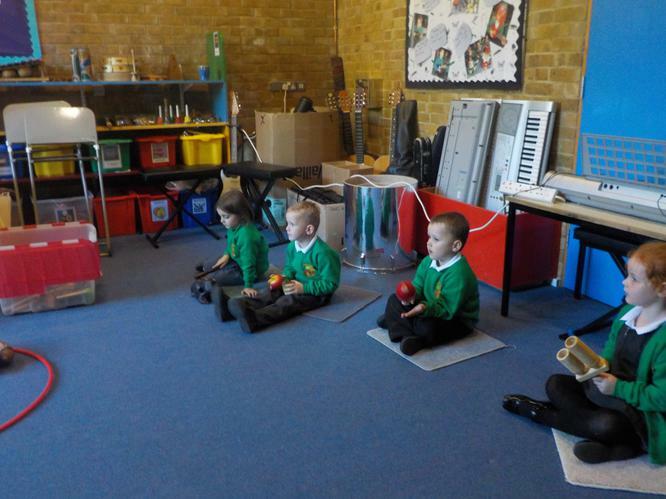 To experience a variety of listening to, moving with and making music. 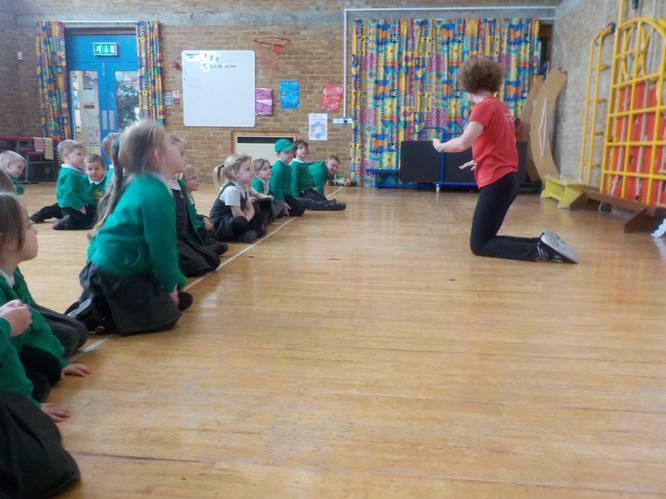 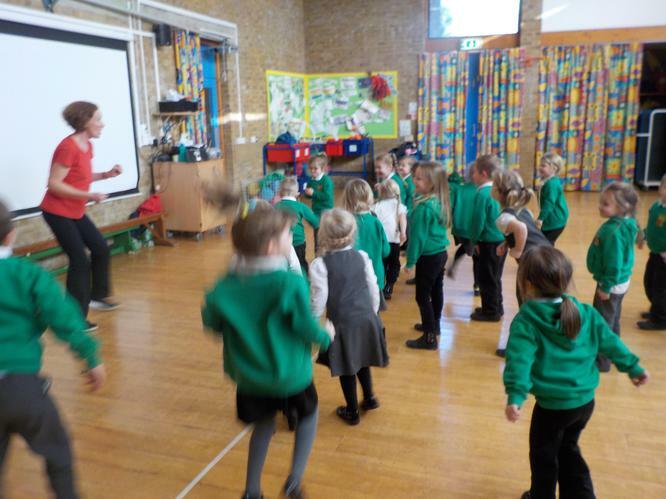 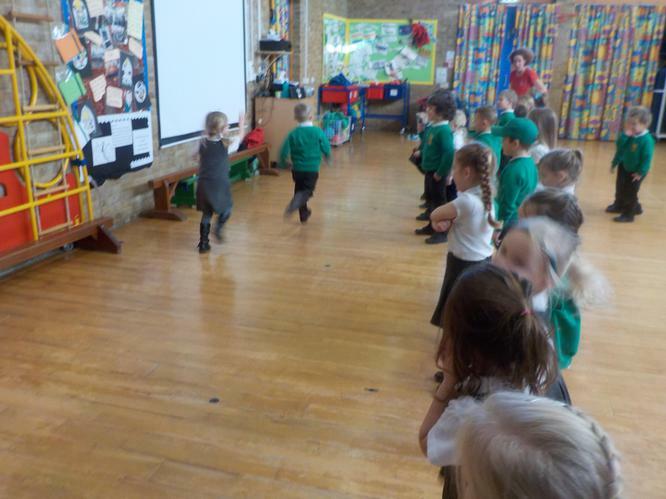 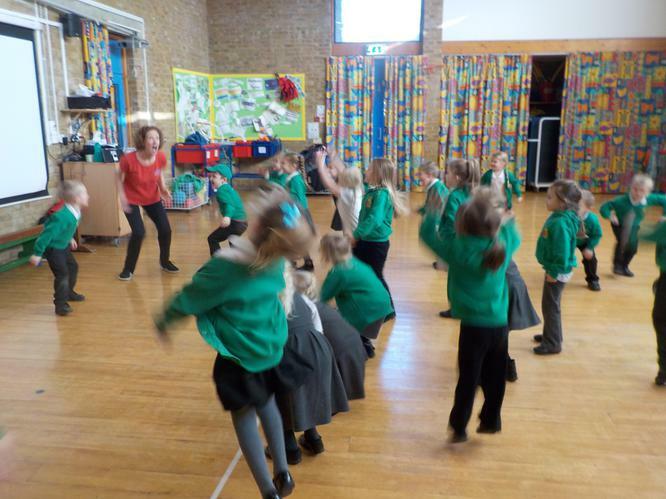 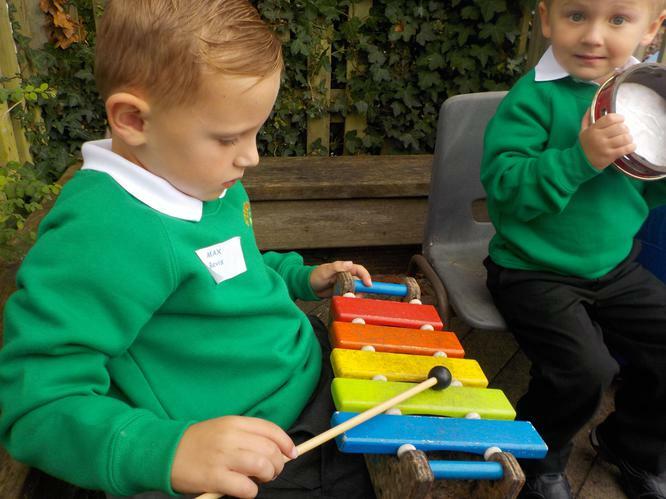 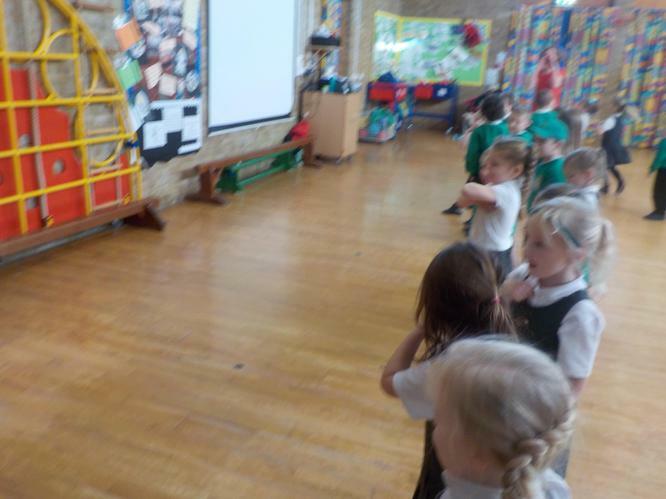 To use games to enhance the children's understanding of musical rhythm, pulse and timbre. 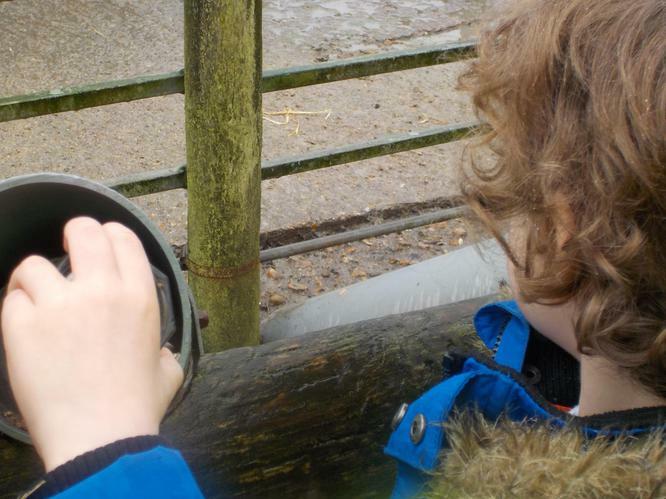 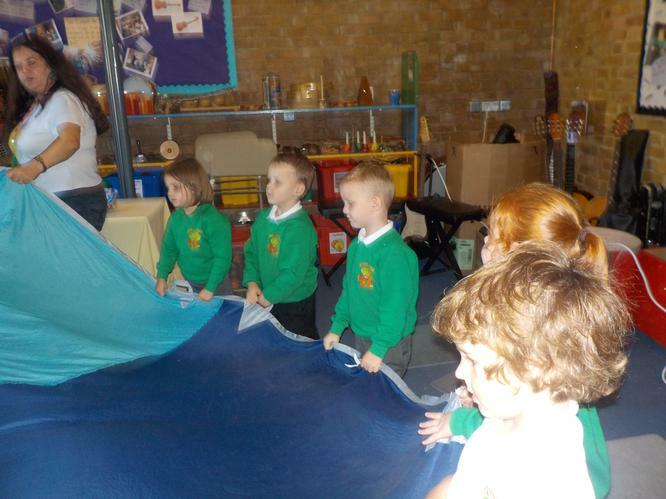 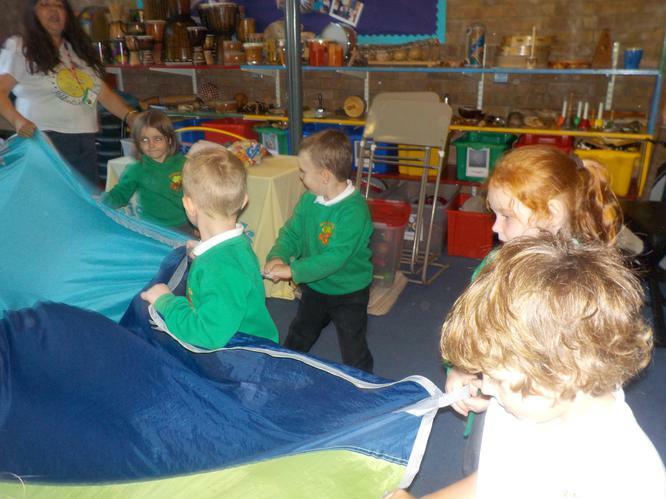 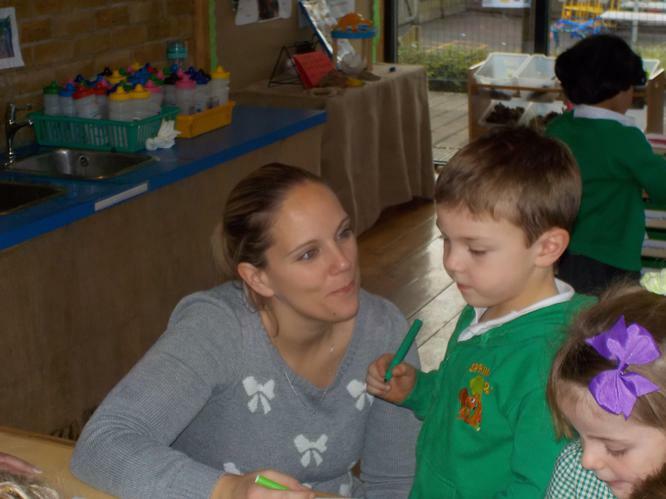 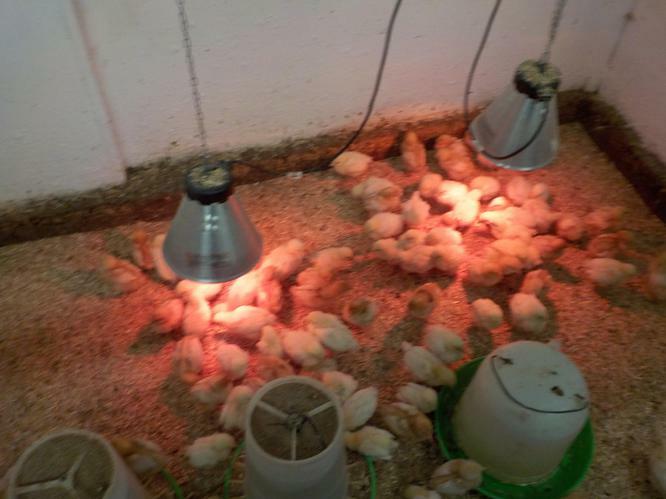 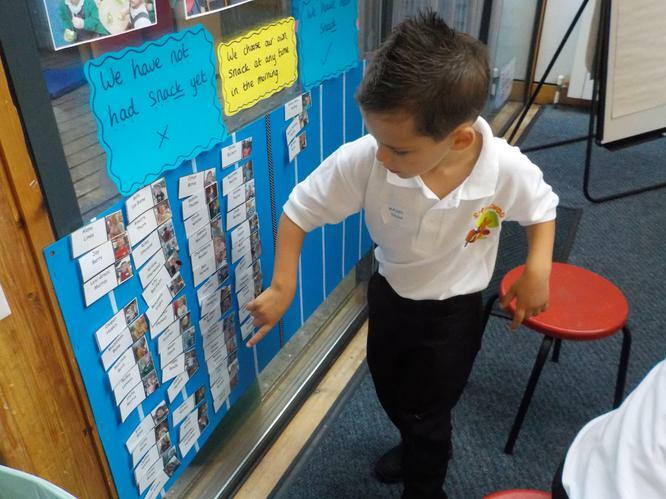 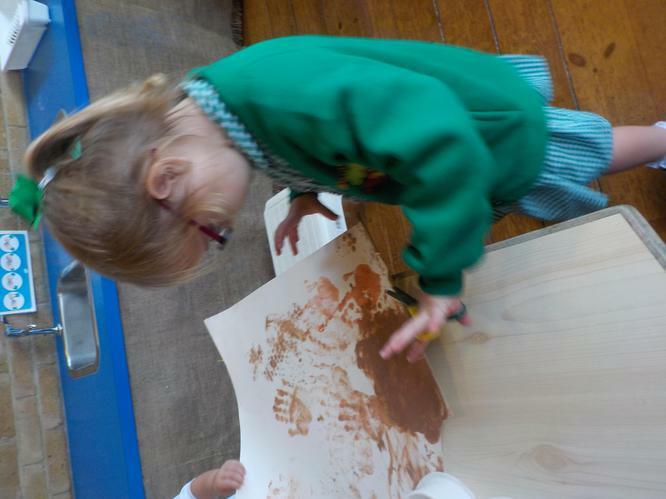 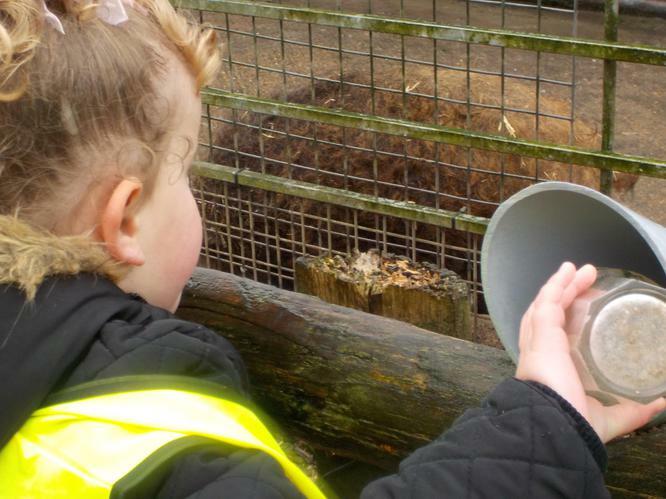 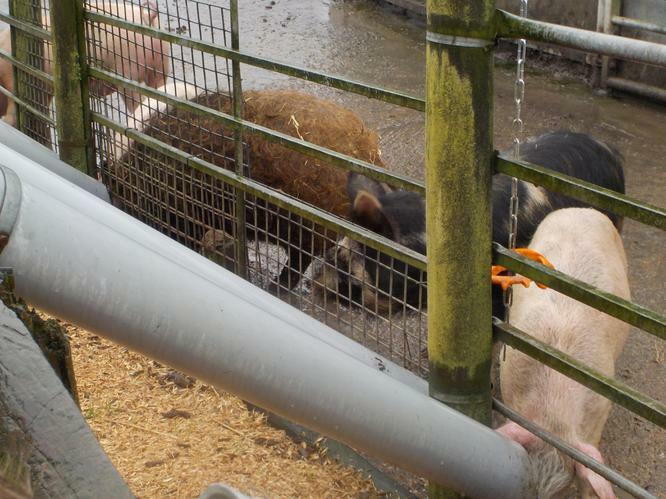 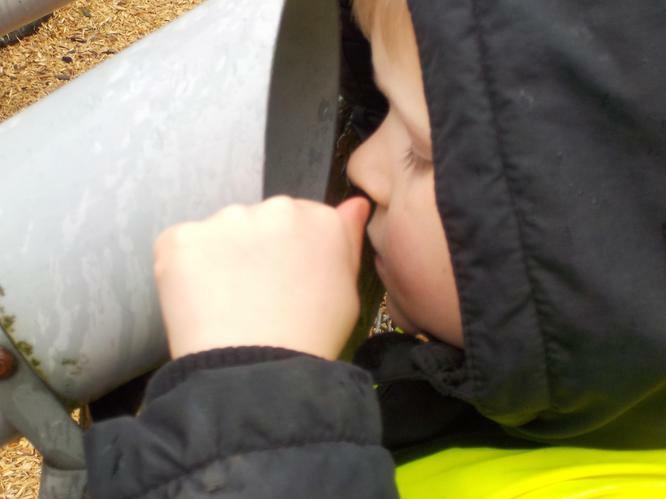 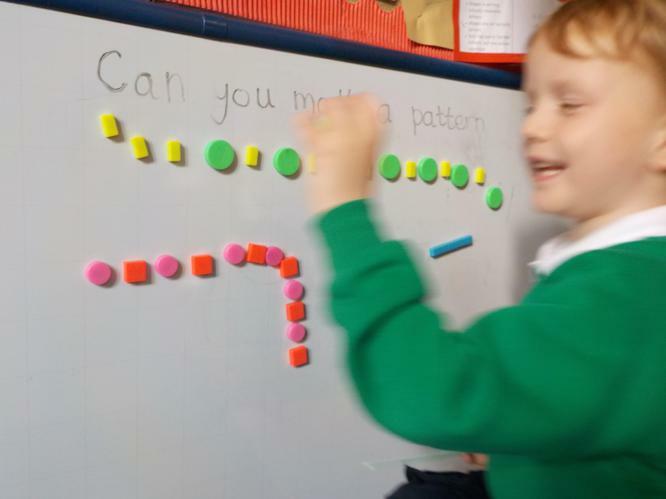 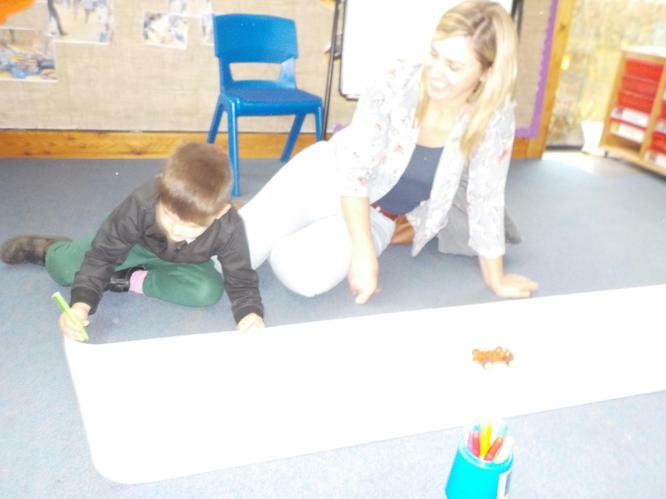 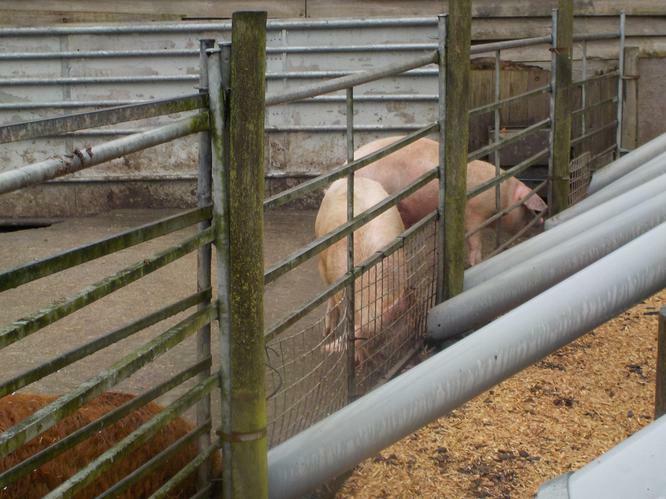 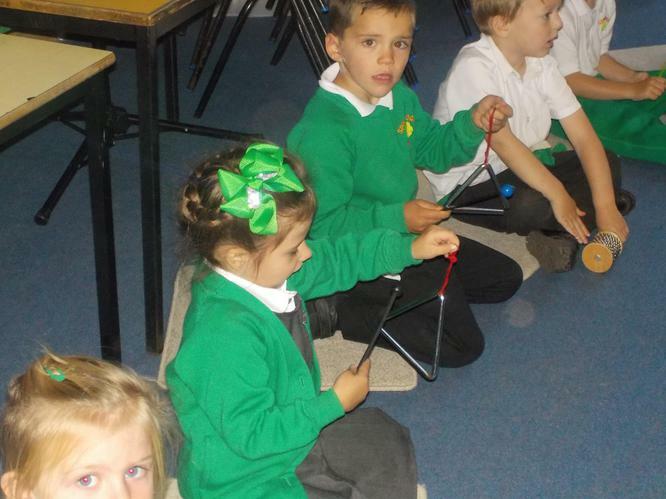 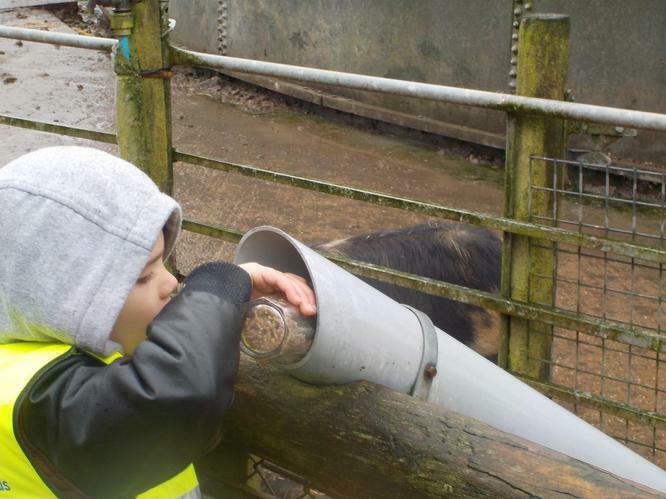 Particular focus placed on their understanding of high and low, fast and slow, loud and soft. 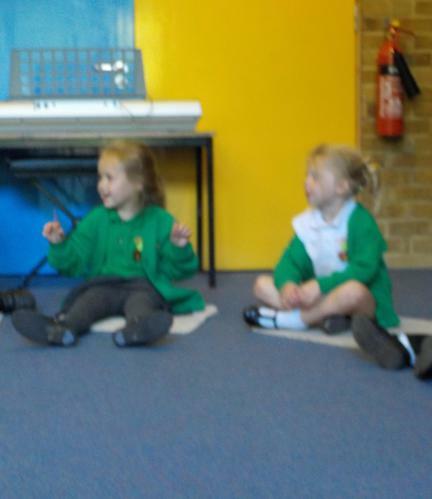 To encourage confidence in their own voice, especially through singing independently and echo singing. 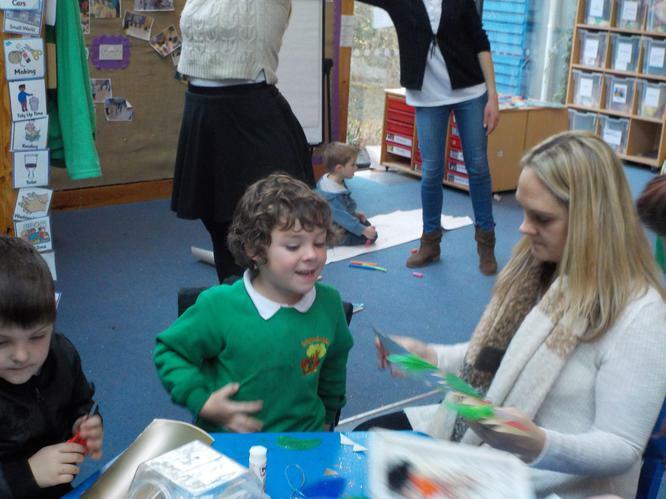 To encourage co-operation with (and awareness of) others through working in a small group. 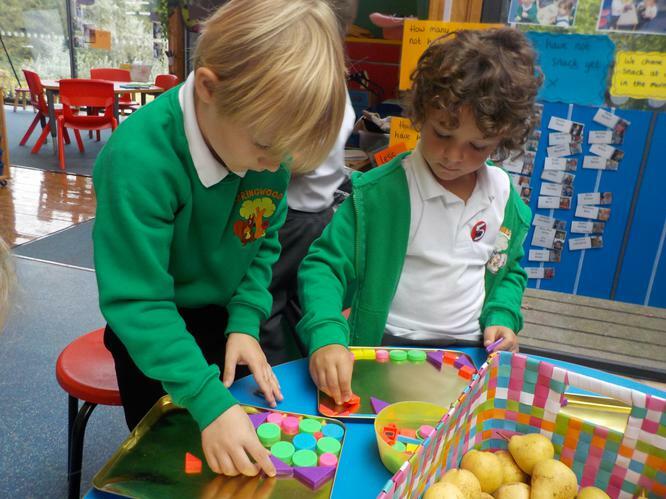 Skills of taking turns, sharing and listening are especially important. 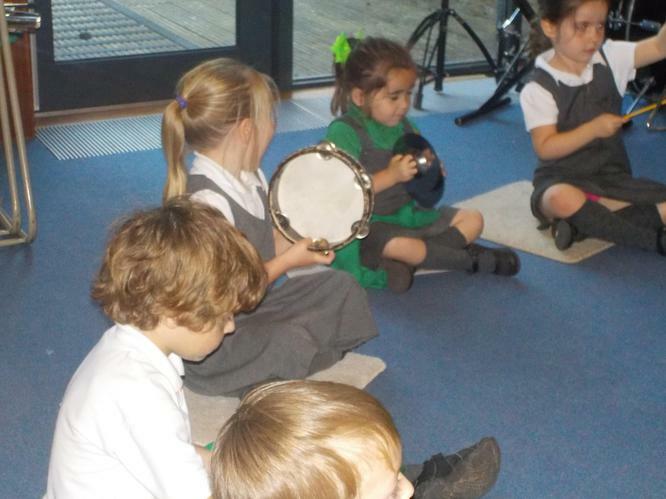 To learn the names of (and become familiar with) the different sounds that can be achieved with a variety of un-pitched instruments. 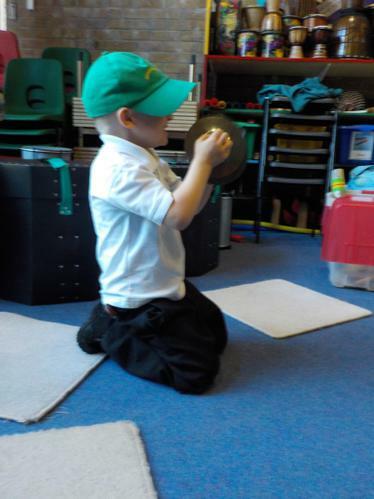 To learn to handle instruments with care. 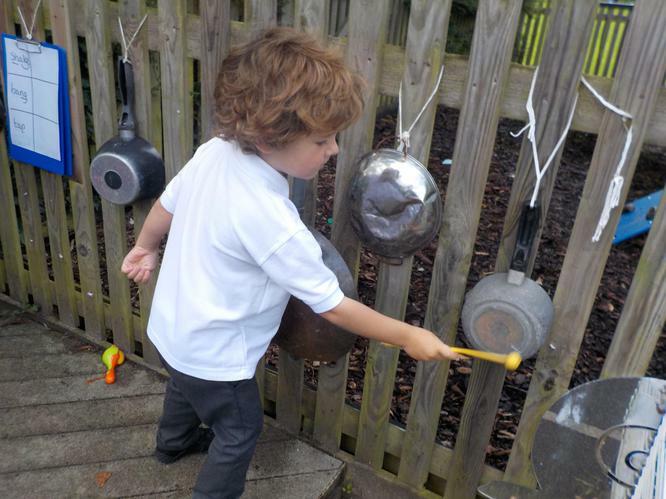 To introduce children to creating their own rhythm and pulse. 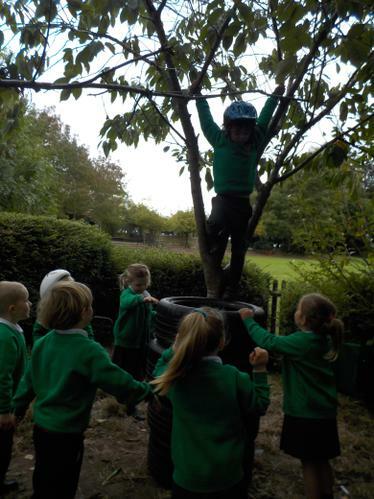 We promote risk taking behaviour at Springwood. 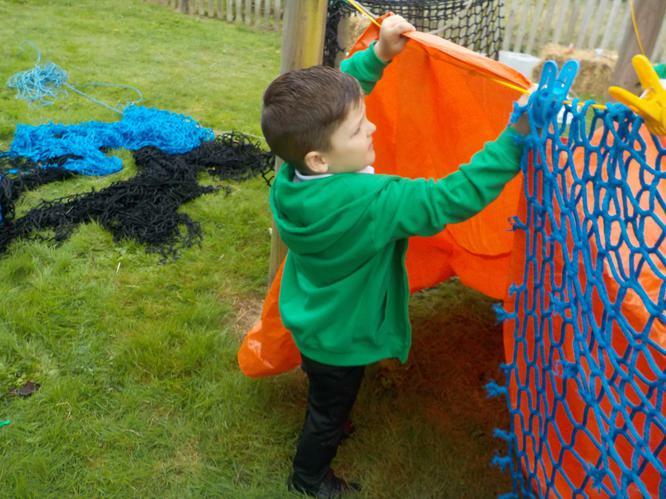 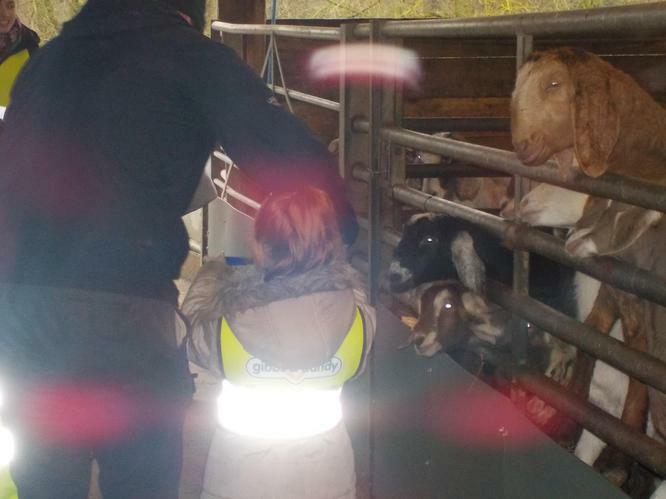 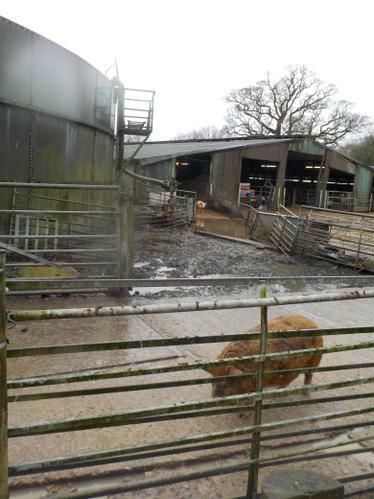 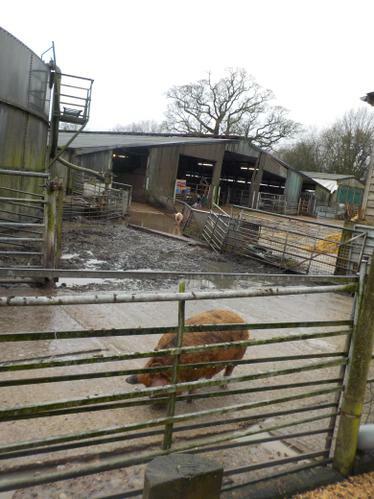 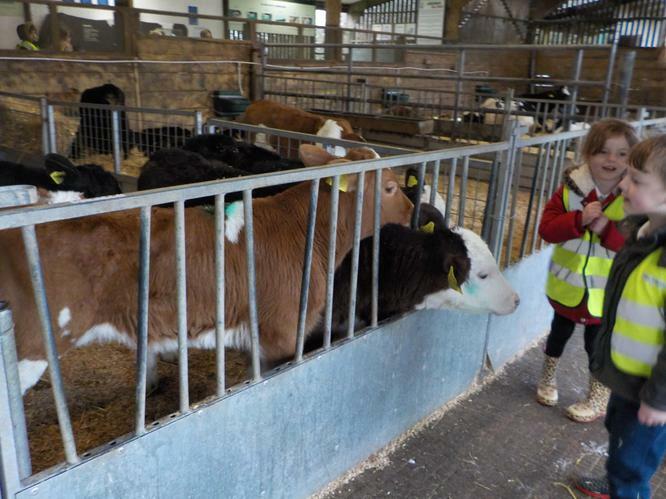 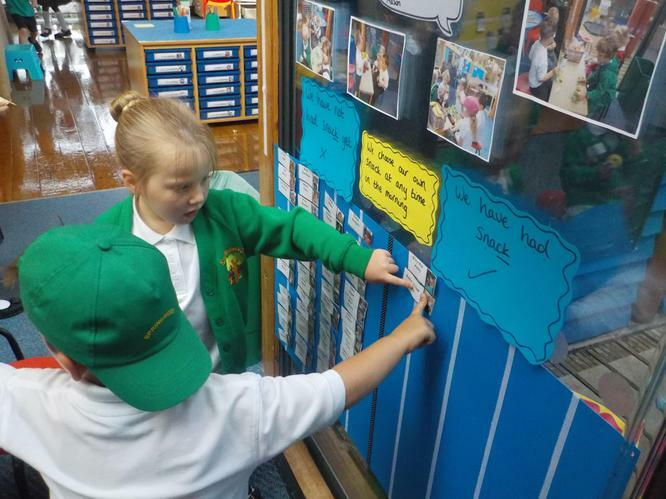 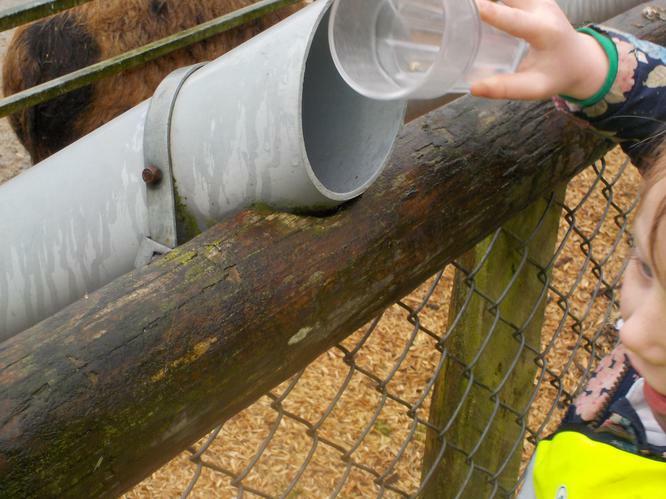 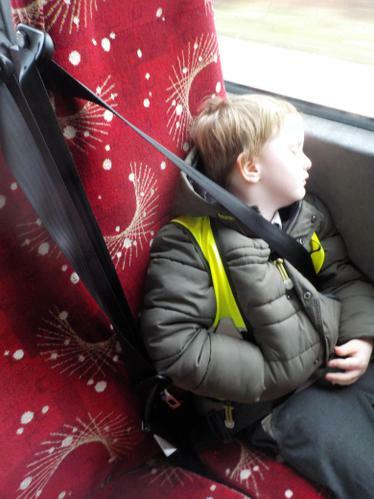 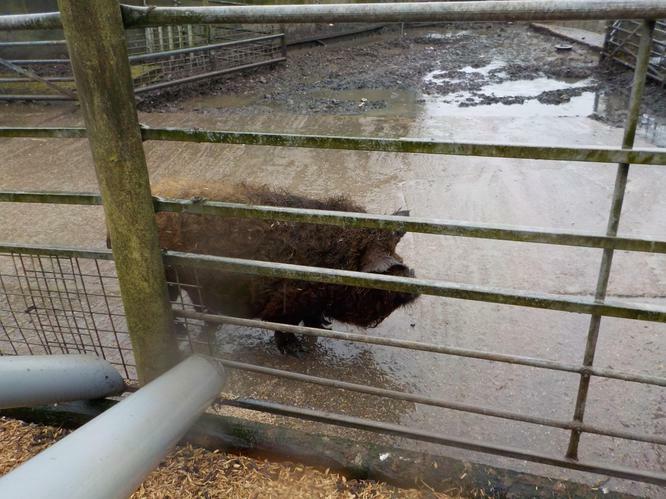 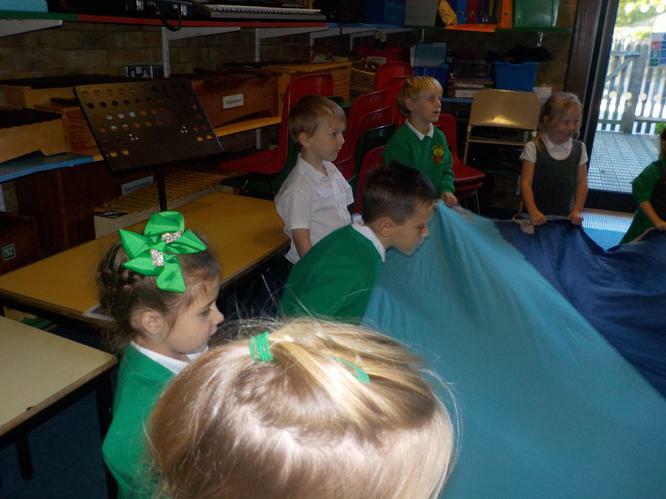 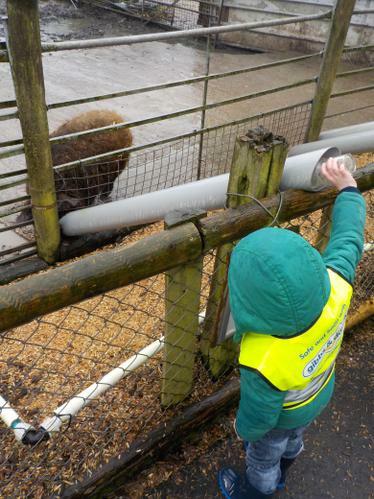 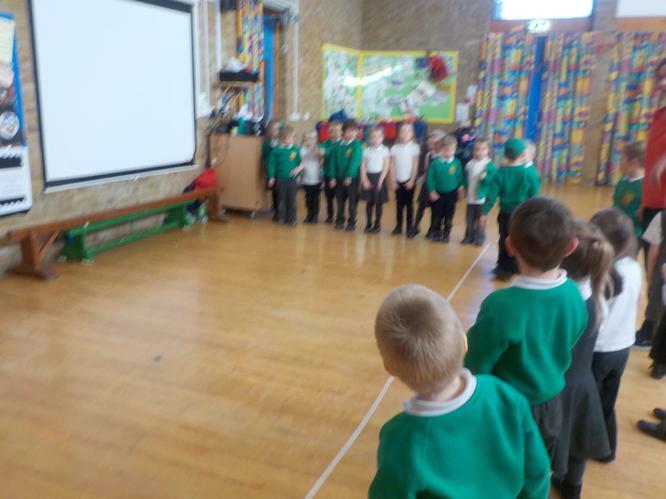 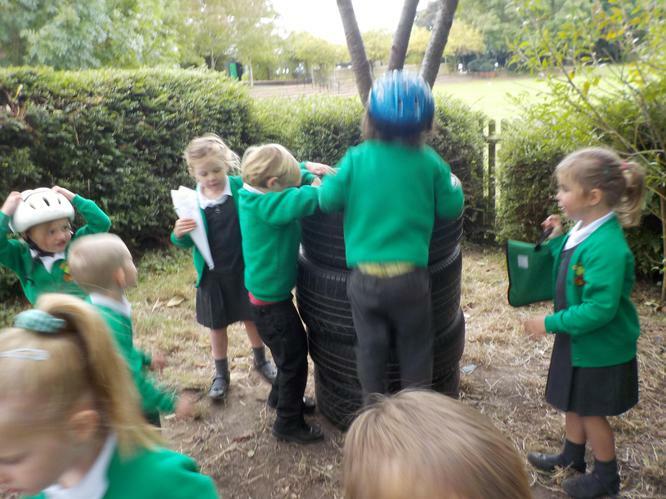 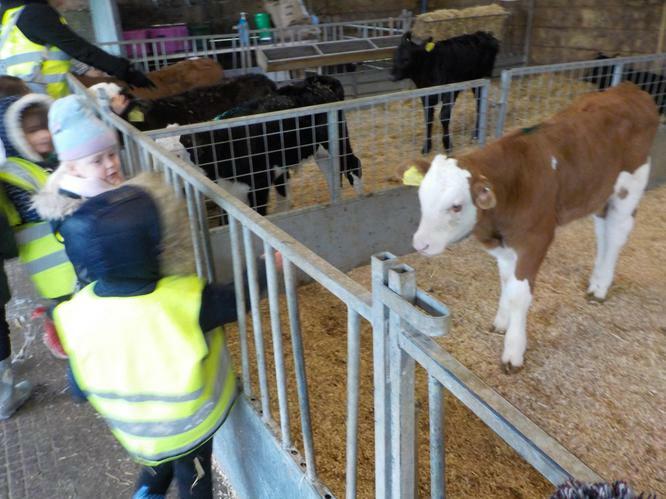 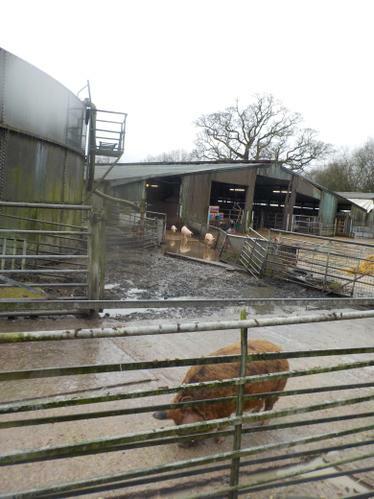 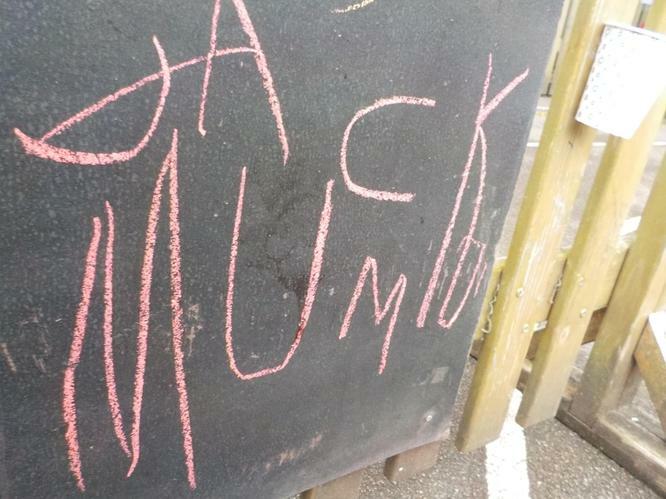 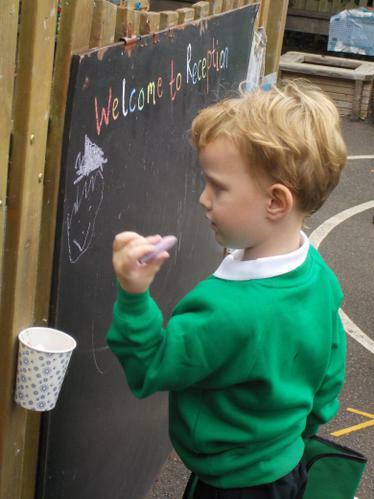 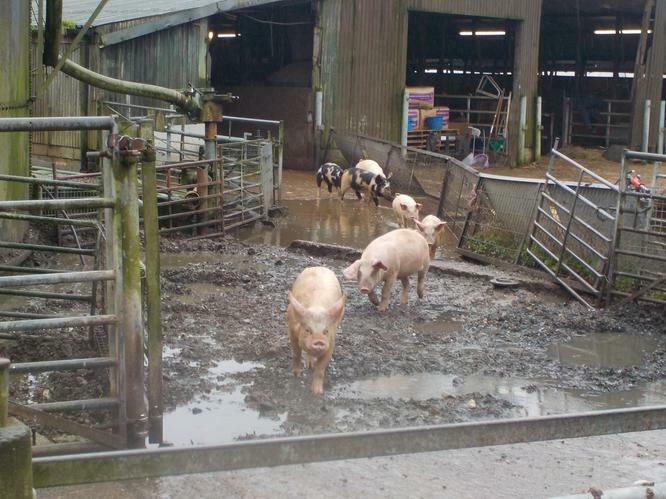 The children work collaboratively with us to identify clear boundaries and ways in which we can reduce risk e.g. 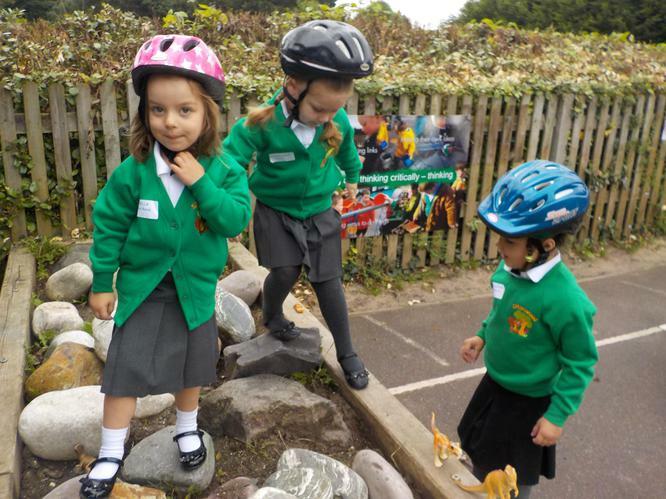 wearing helmets. 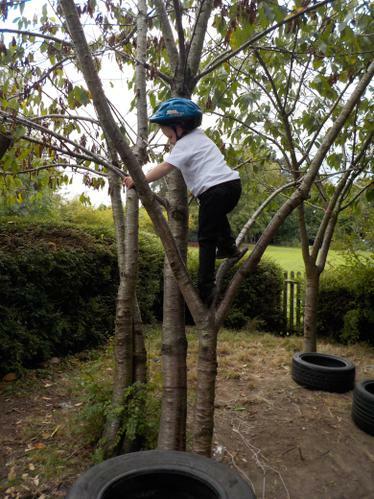 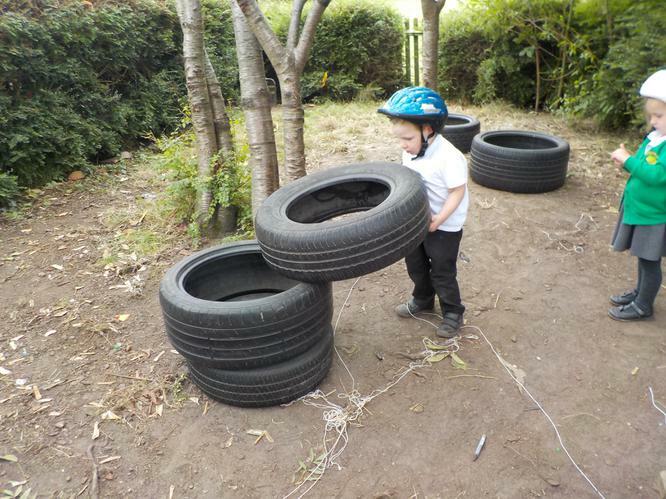 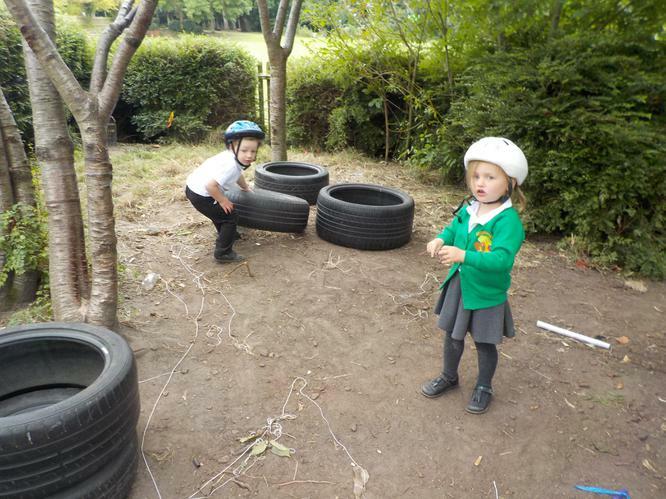 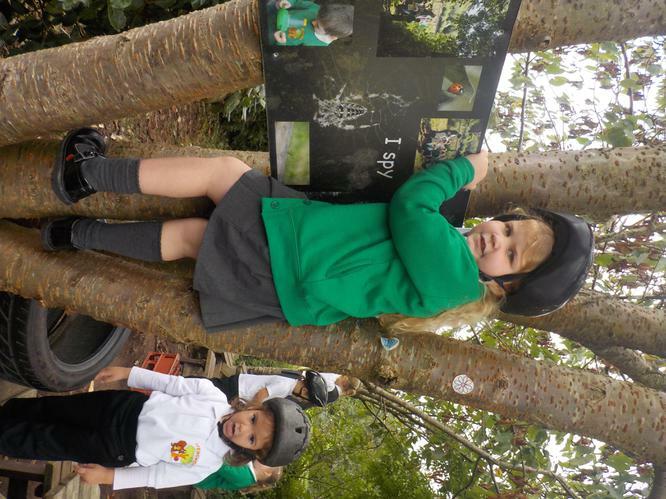 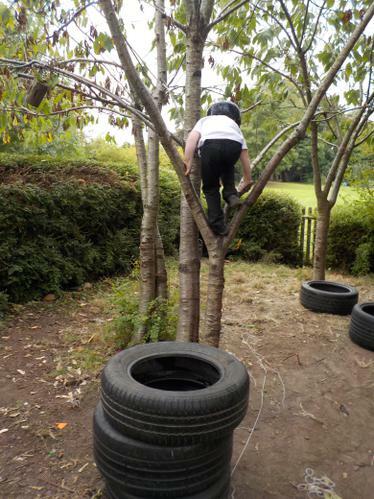 Over the past few days we have really enjoyed exploring and climbing the trees in the outside environment. 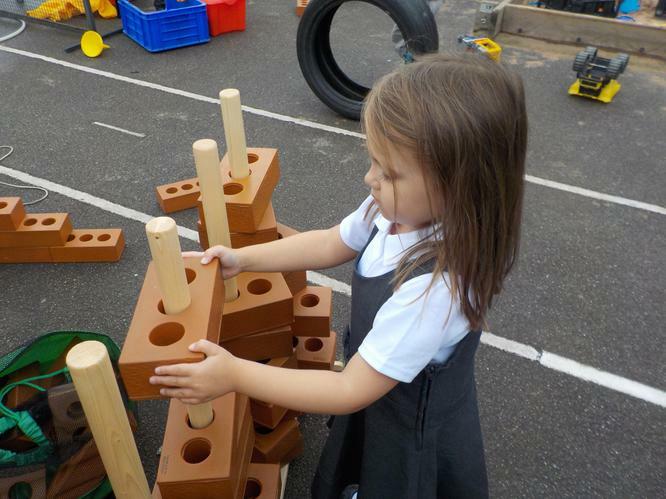 This has allowed us to develop in a number of ways across the curriculum. 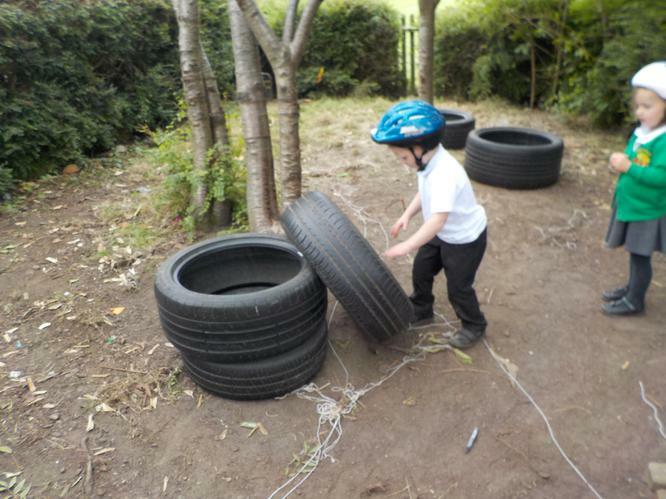 Look how many characteristics of effective learning we have used during this activity! 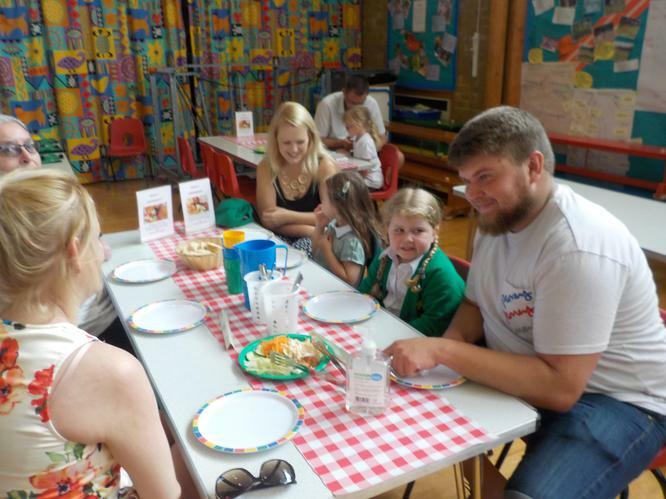 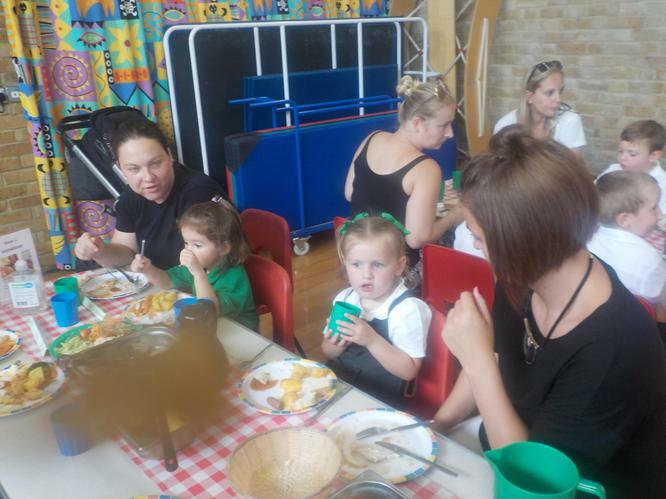 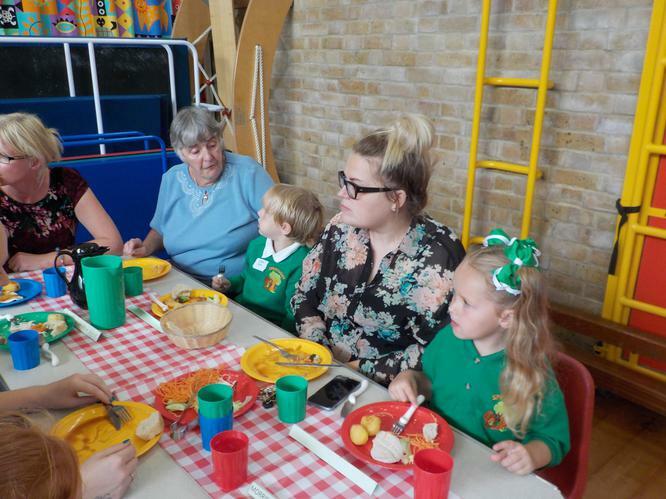 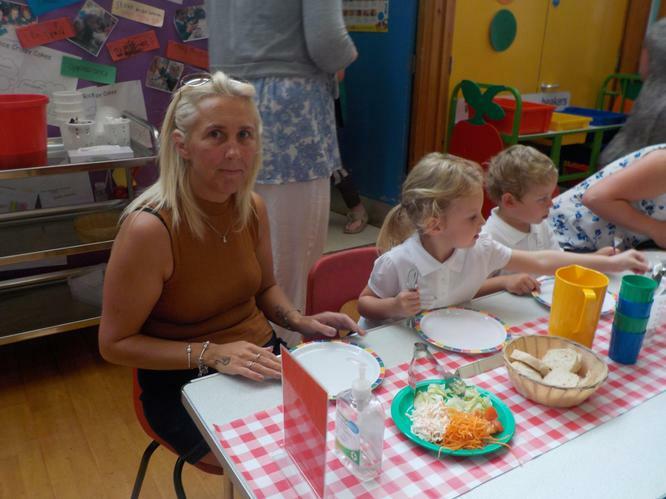 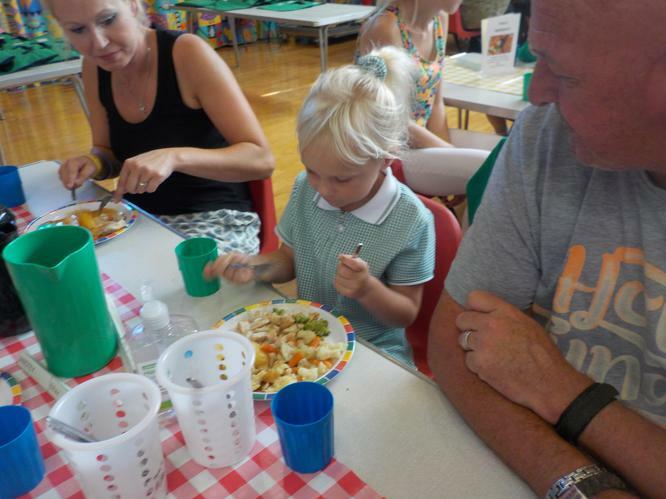 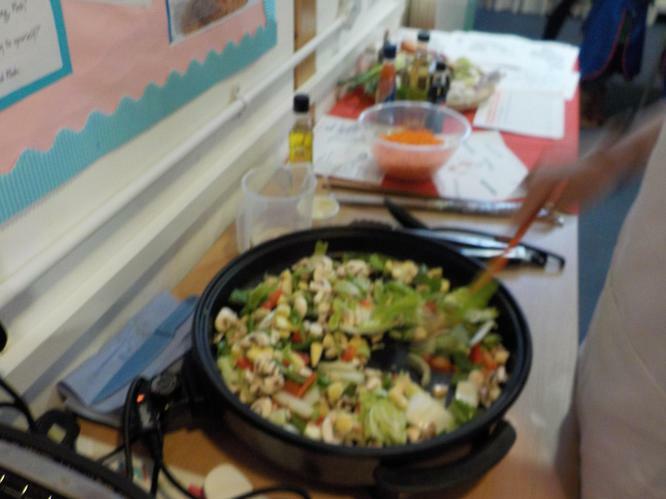 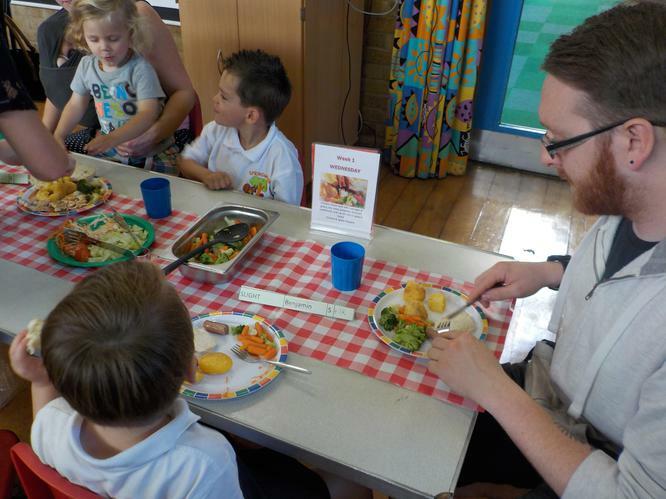 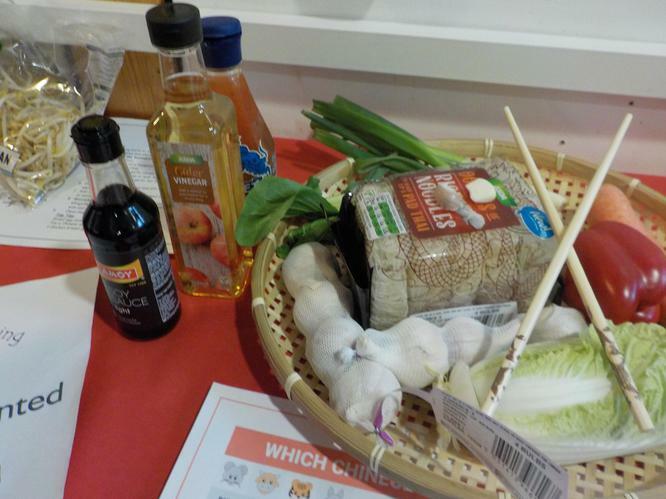 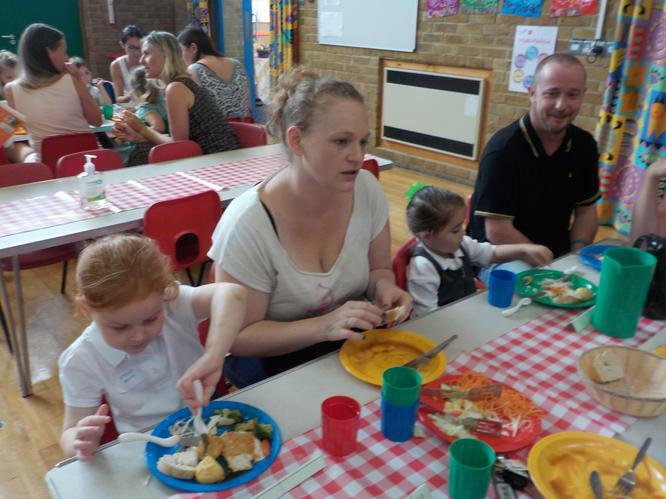 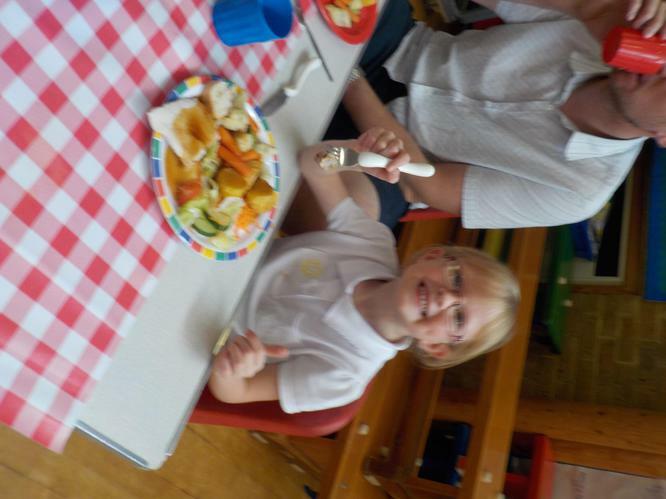 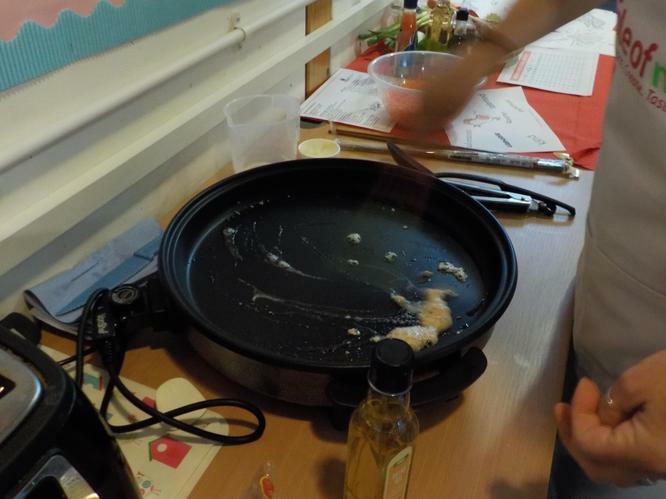 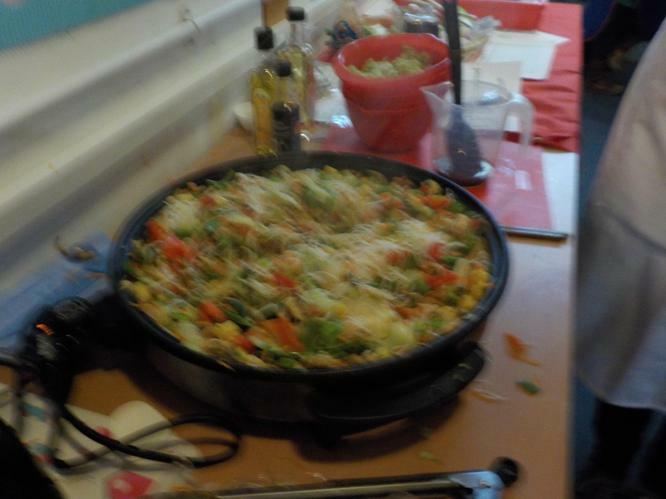 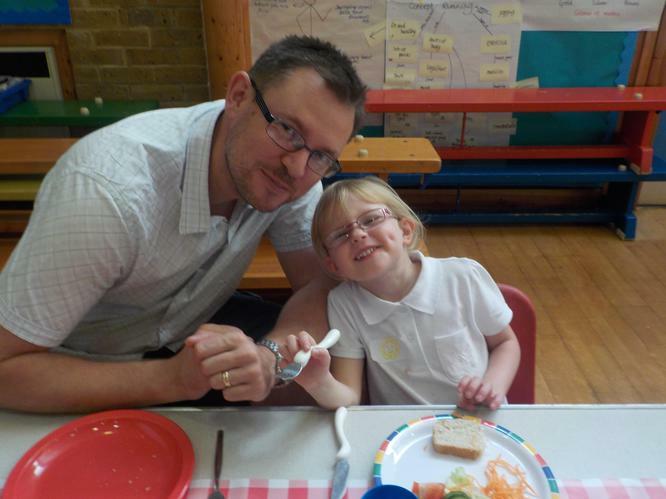 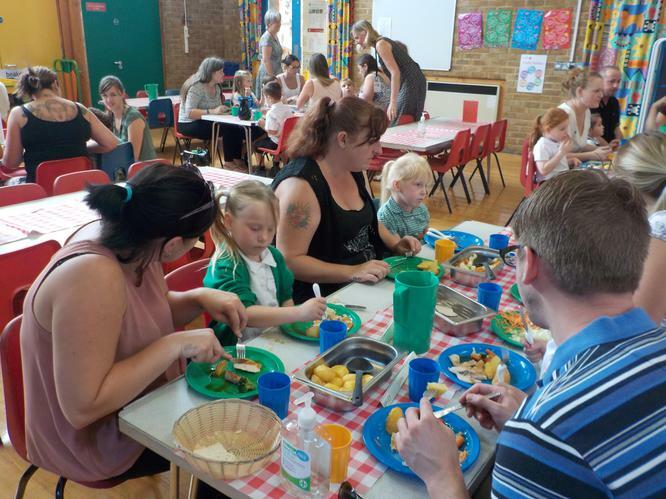 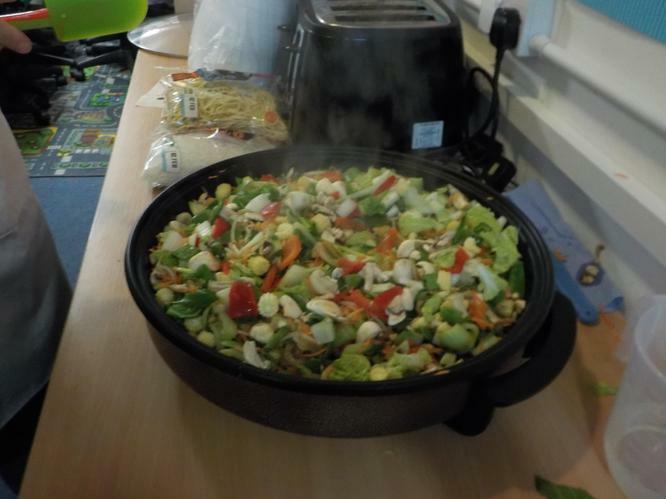 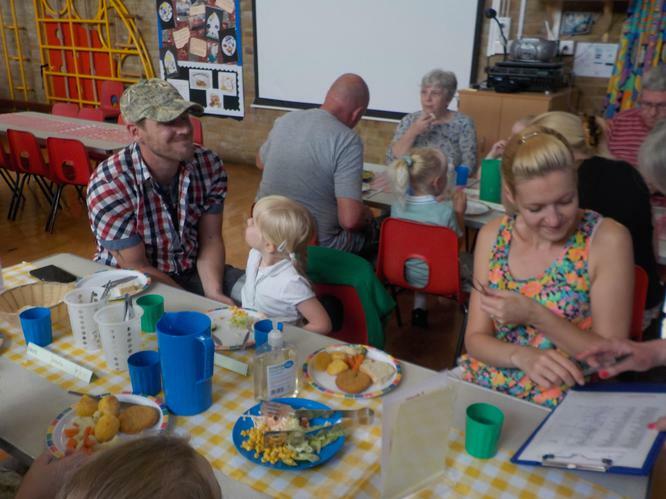 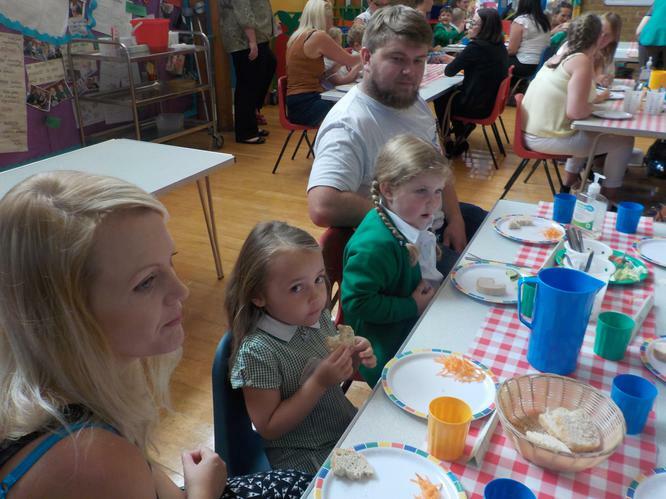 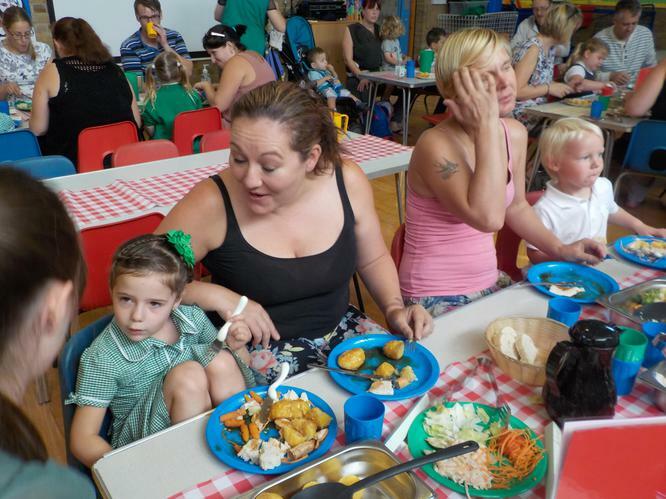 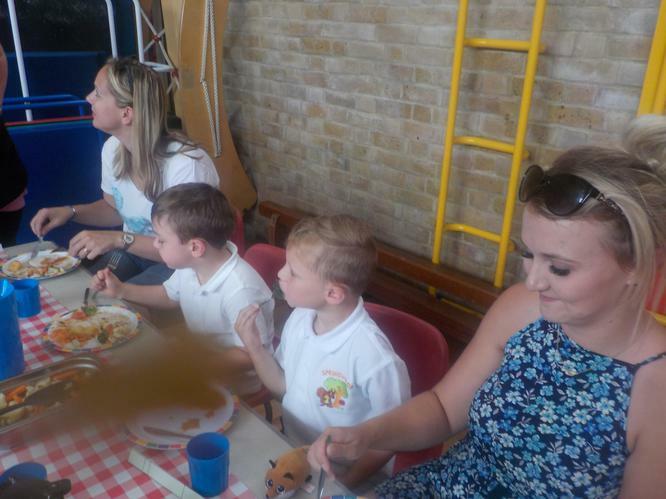 Parents came into school to share the first lunch experience with the children. 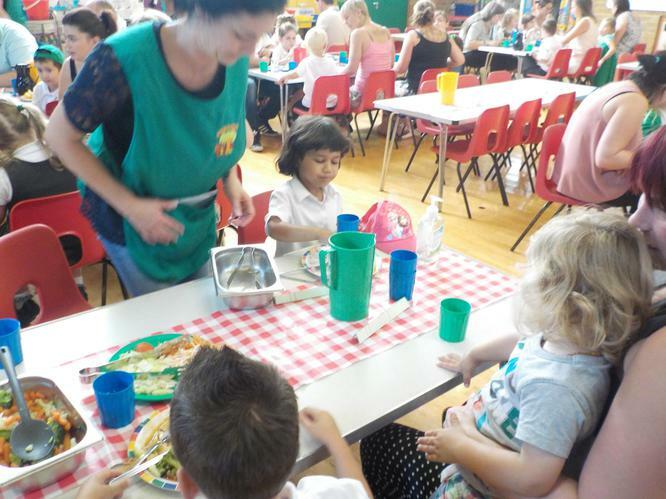 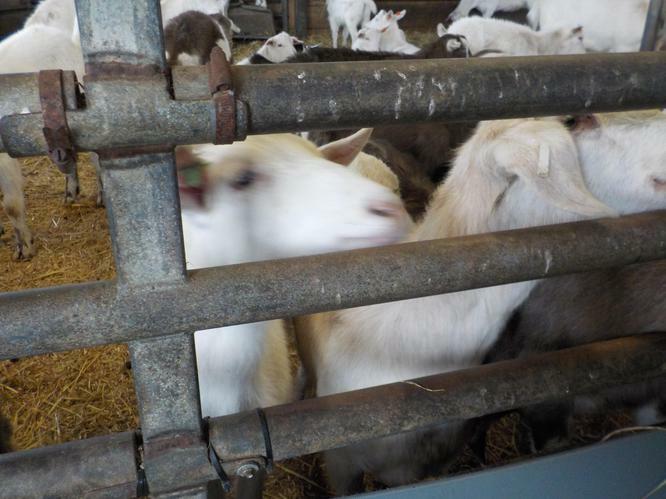 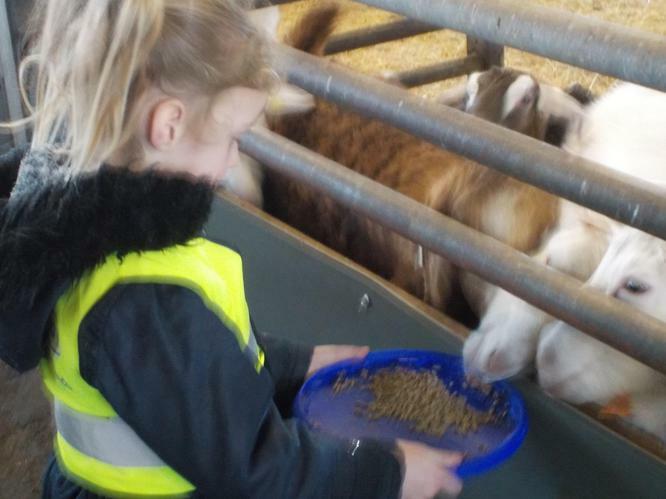 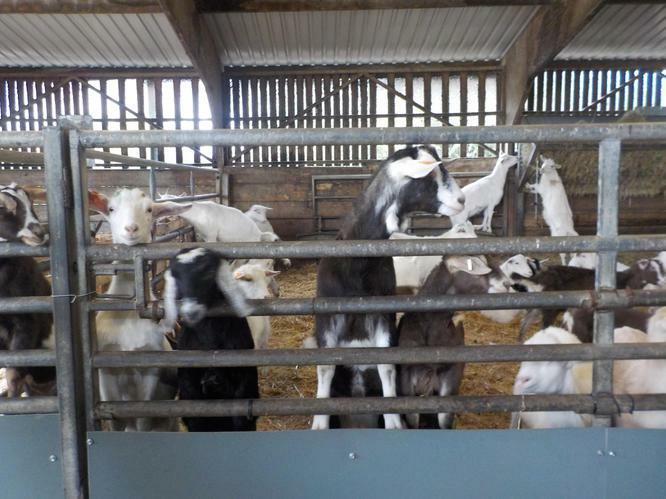 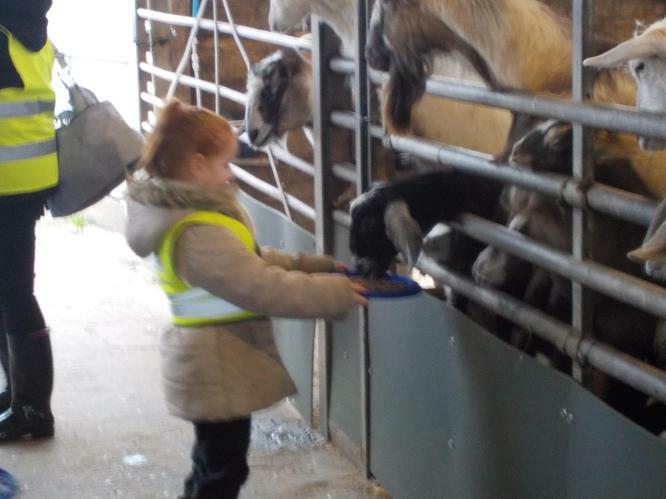 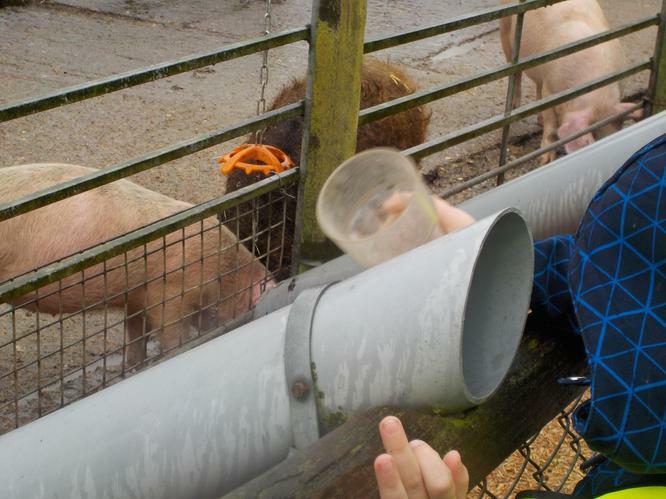 Since then the children have continued to develop their independence at lunch. 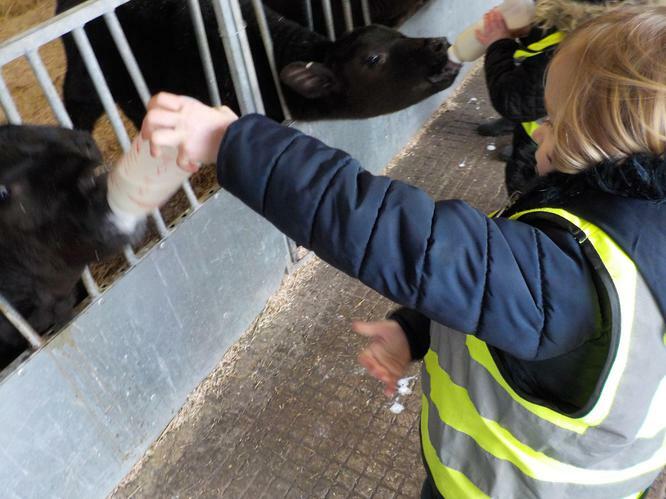 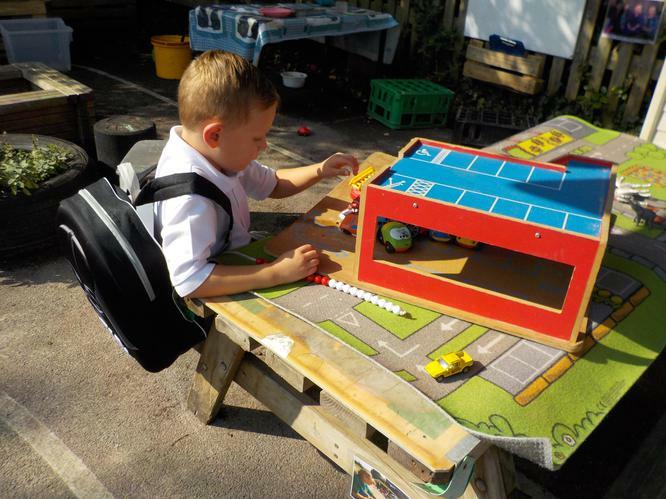 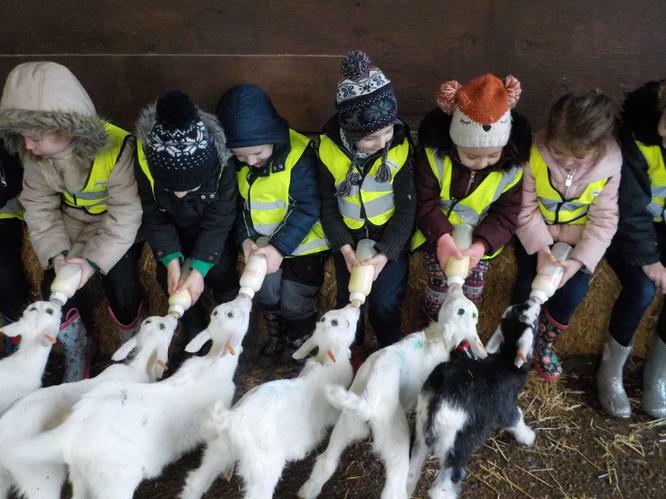 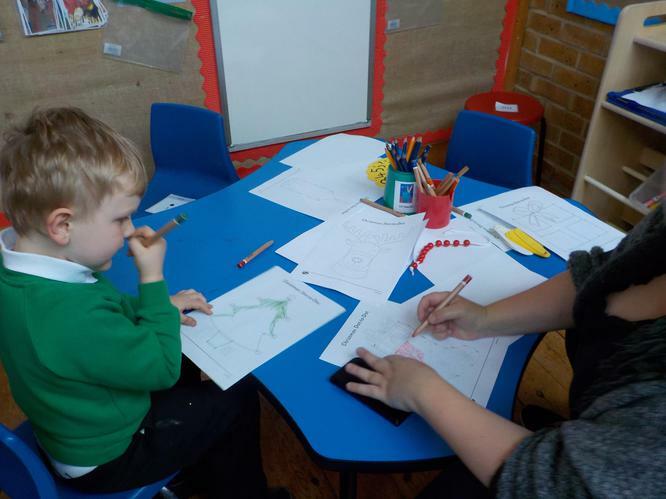 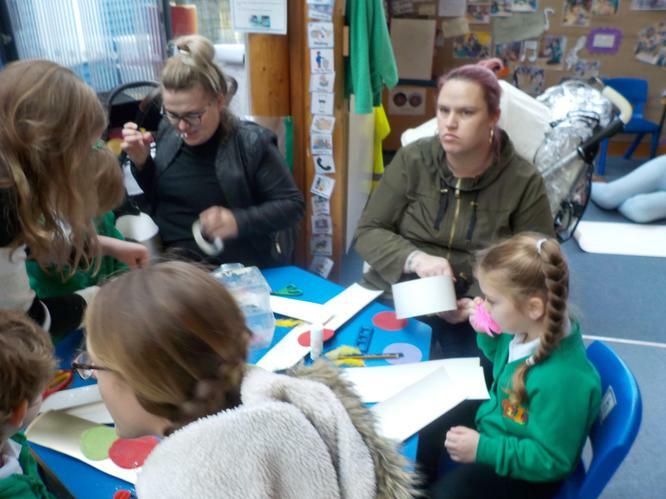 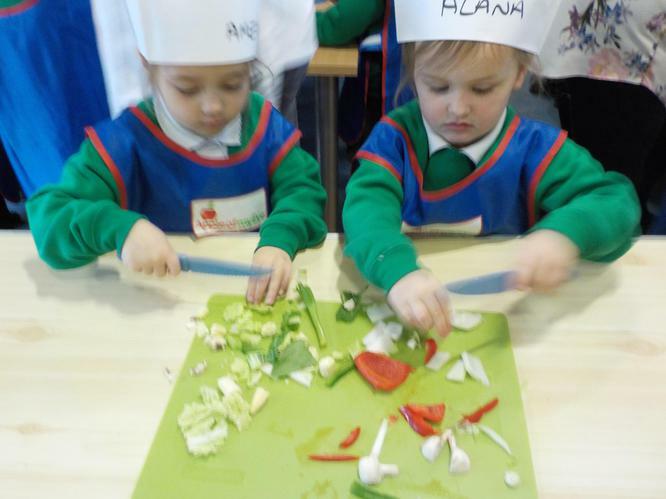 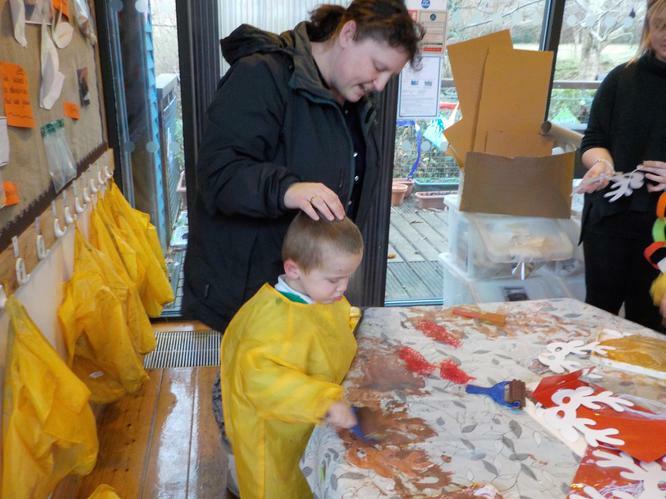 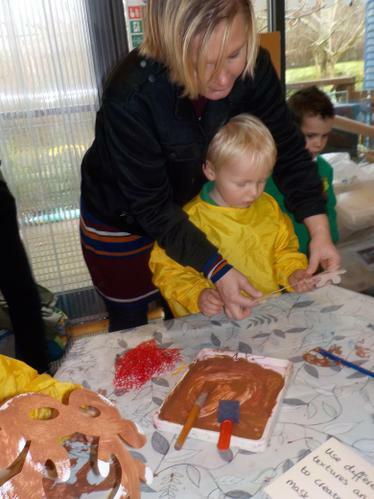 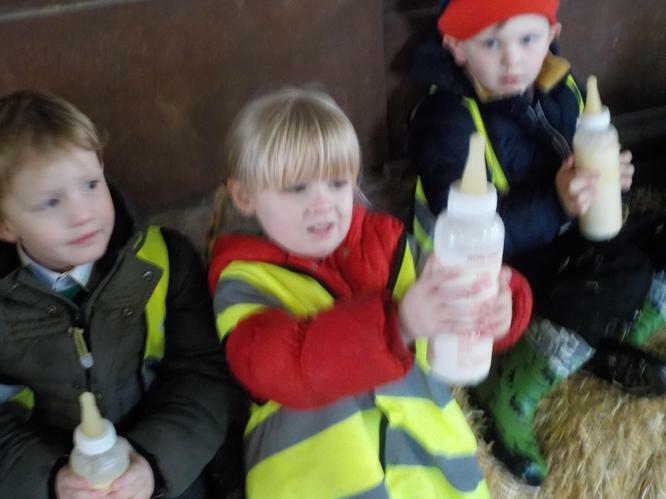 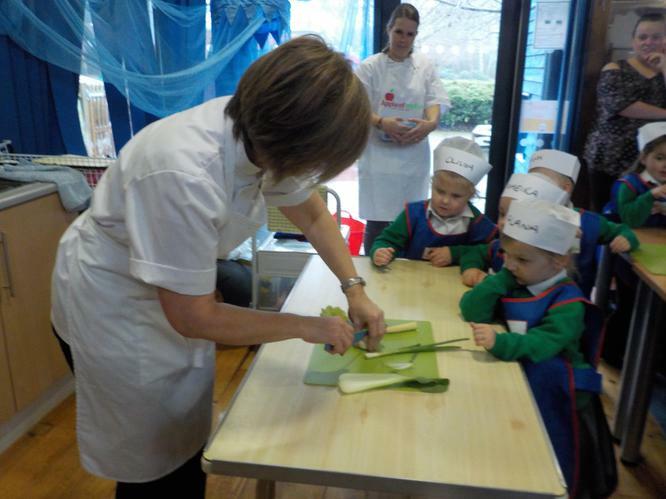 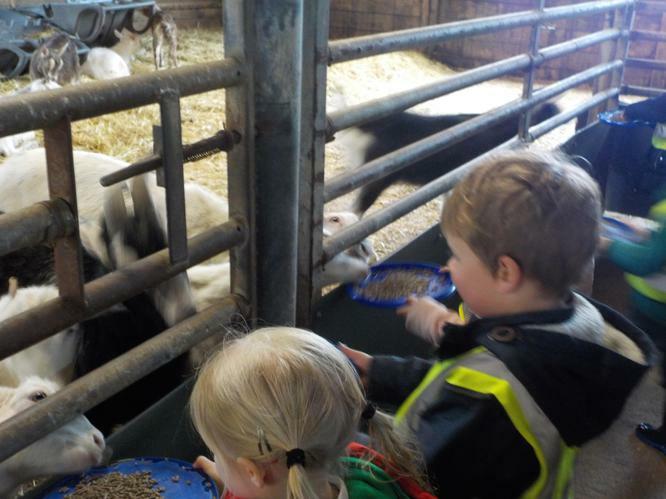 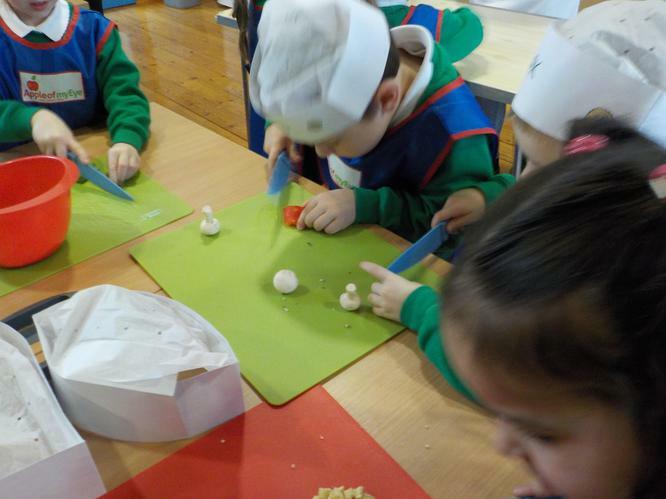 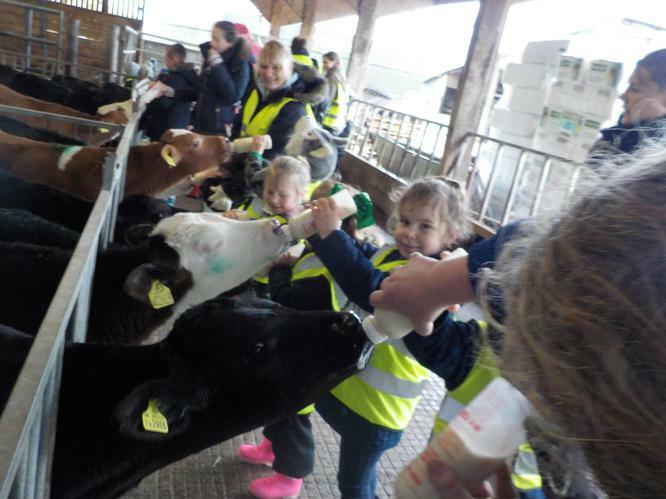 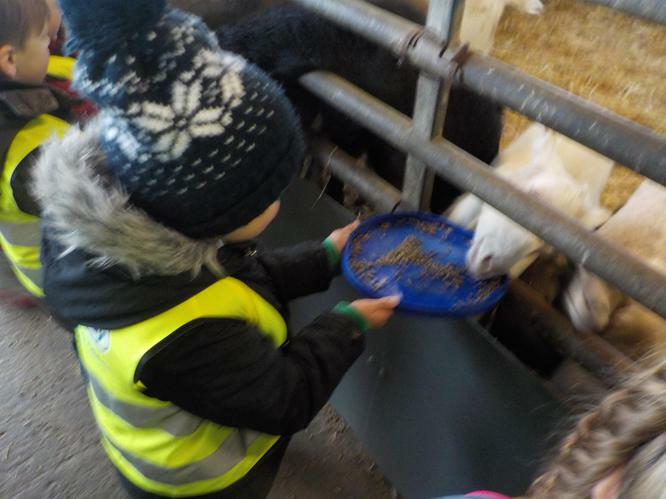 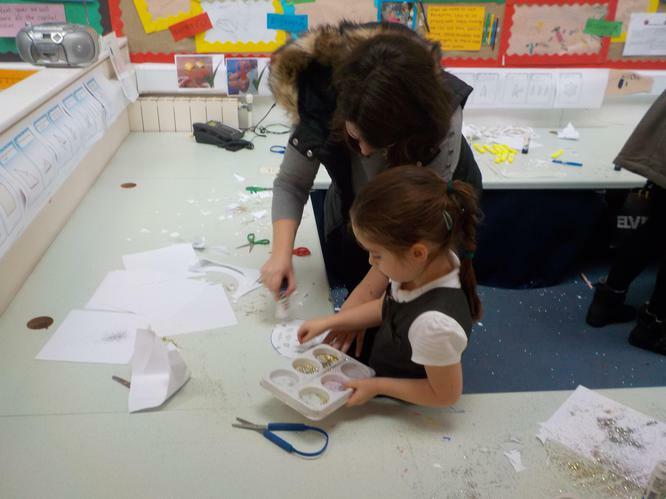 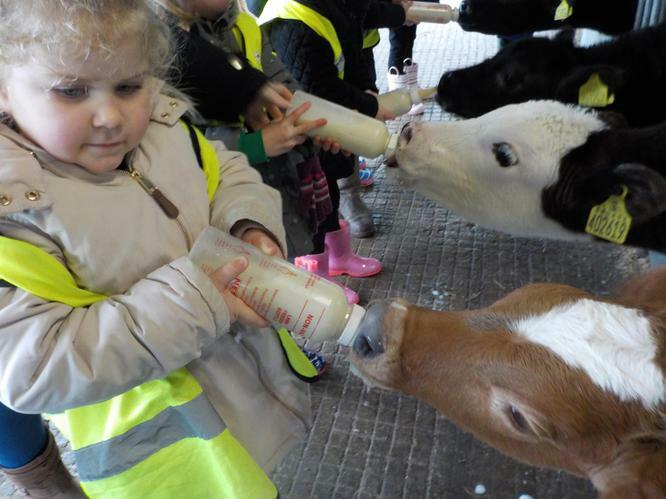 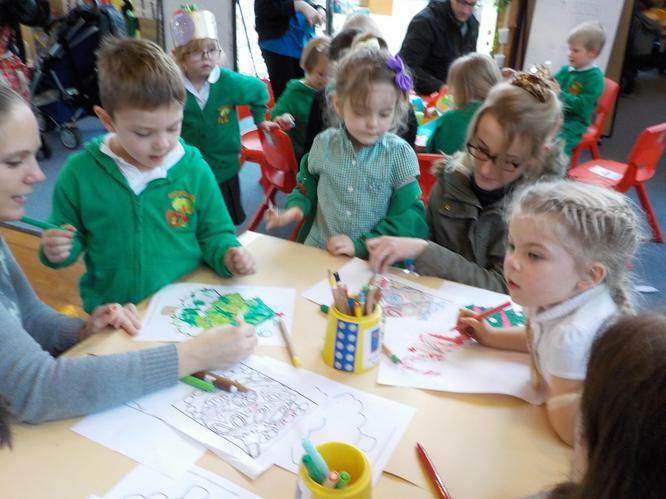 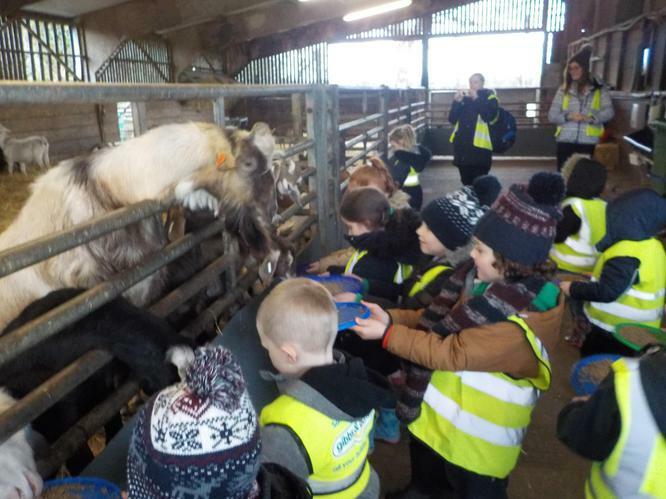 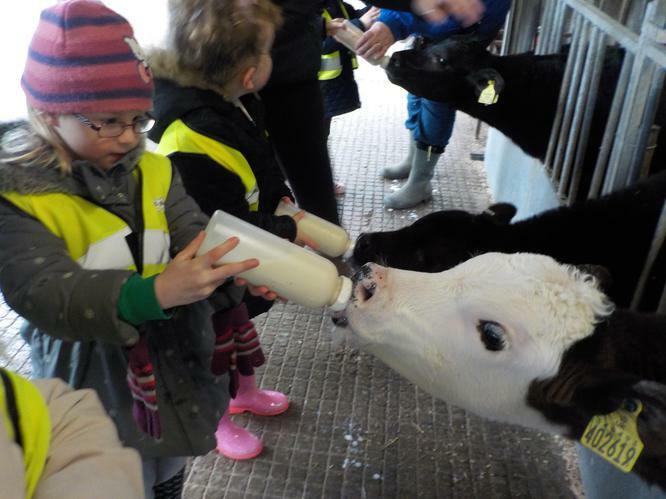 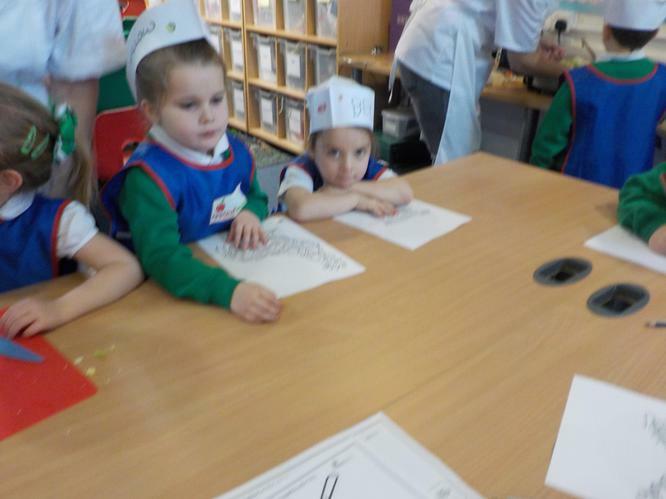 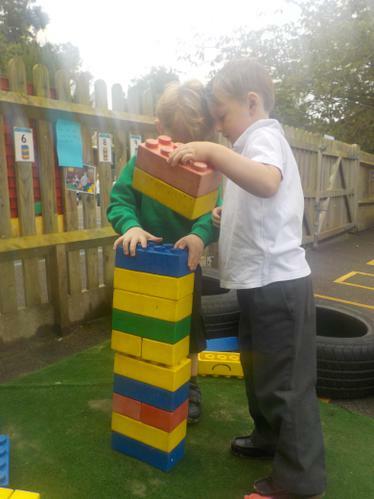 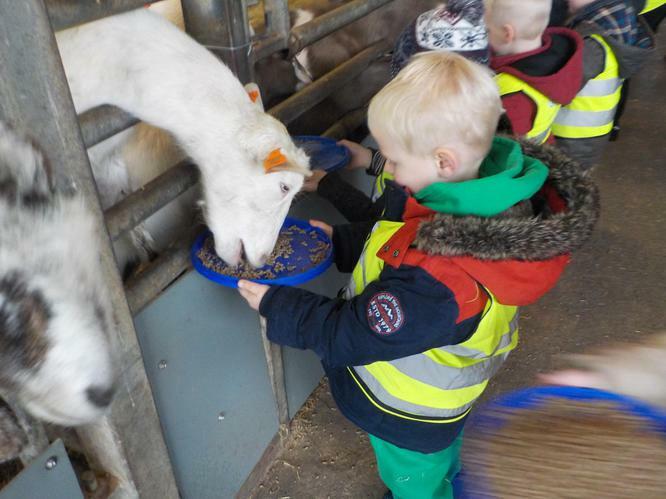 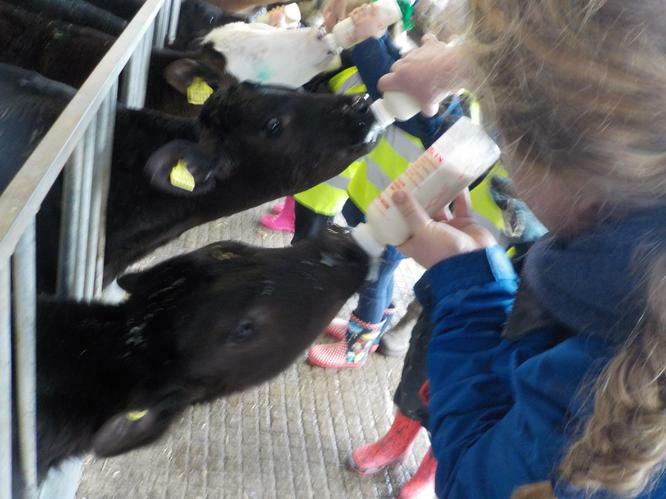 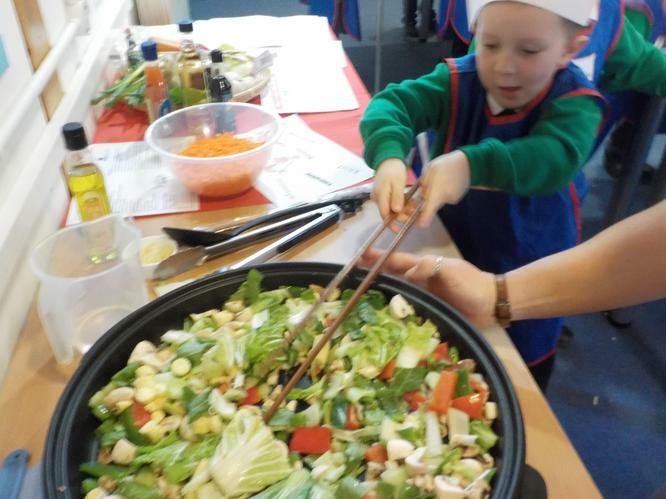 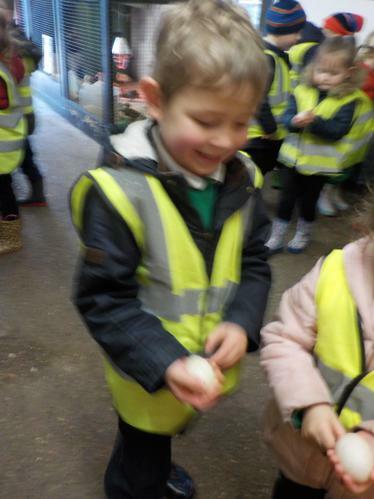 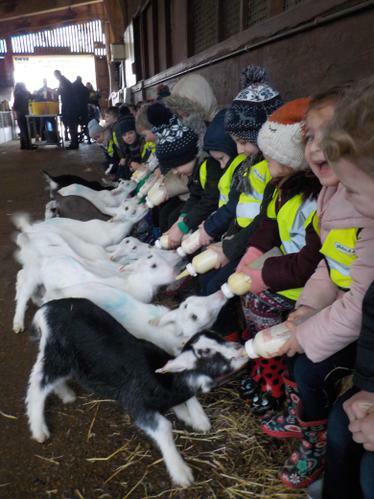 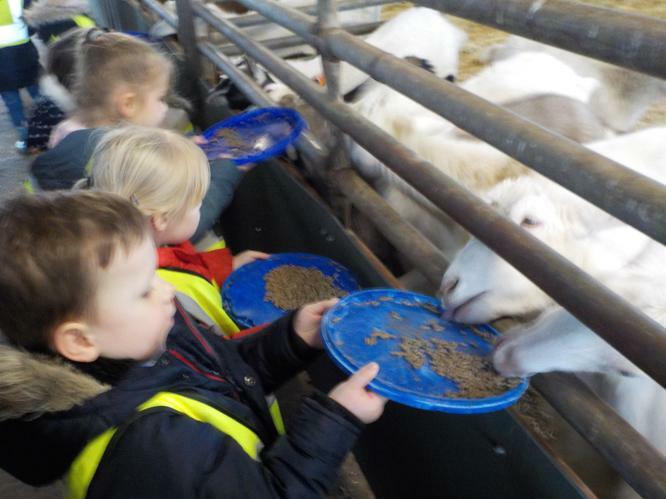 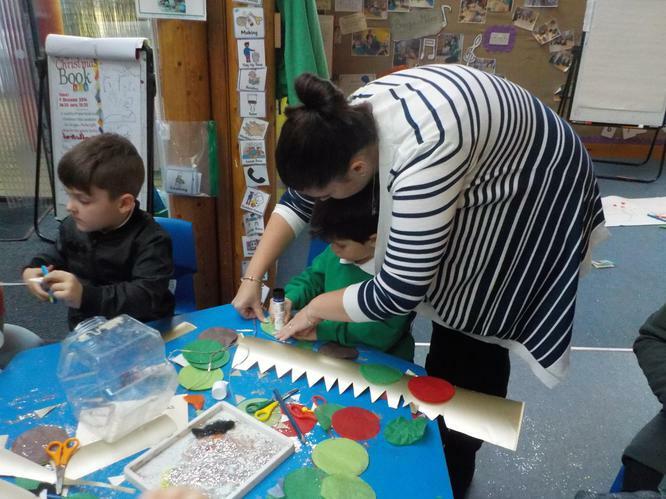 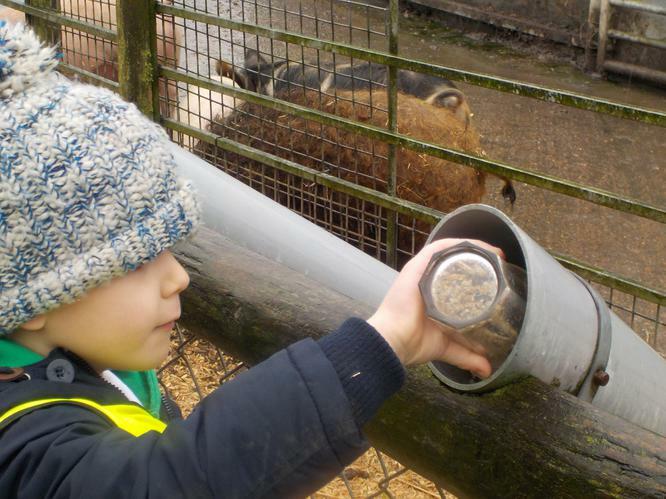 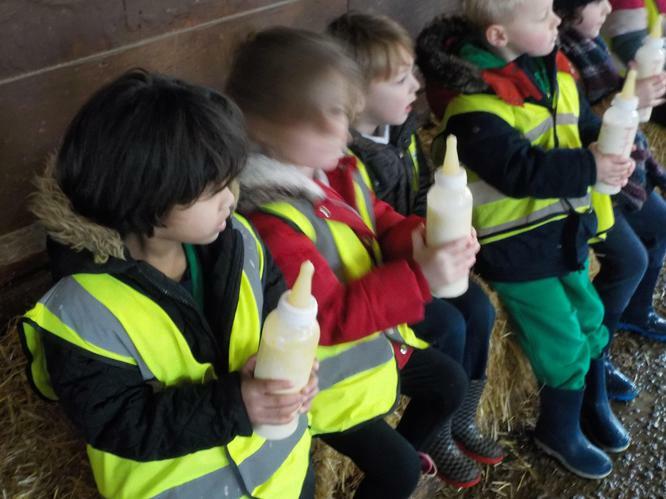 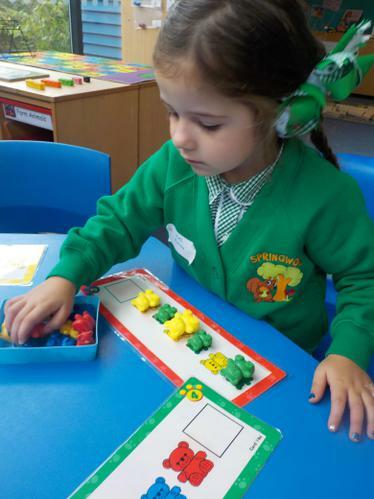 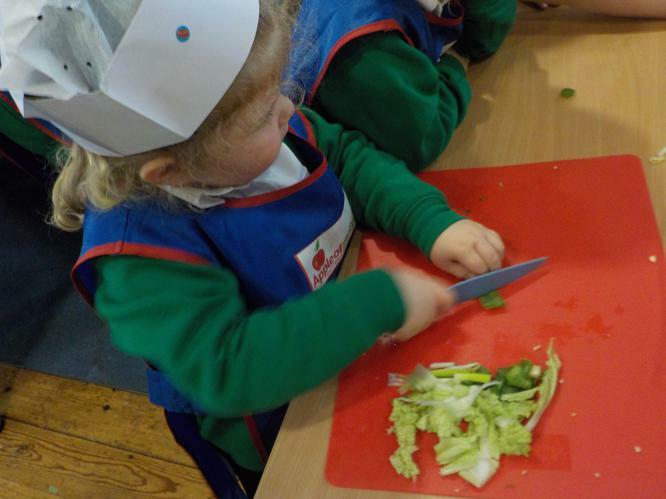 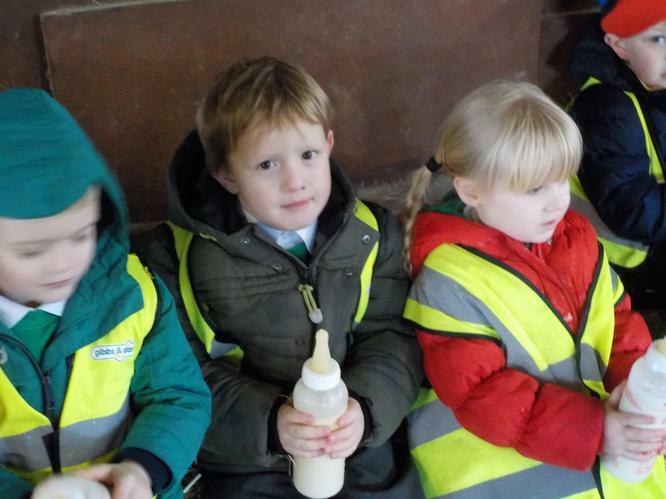 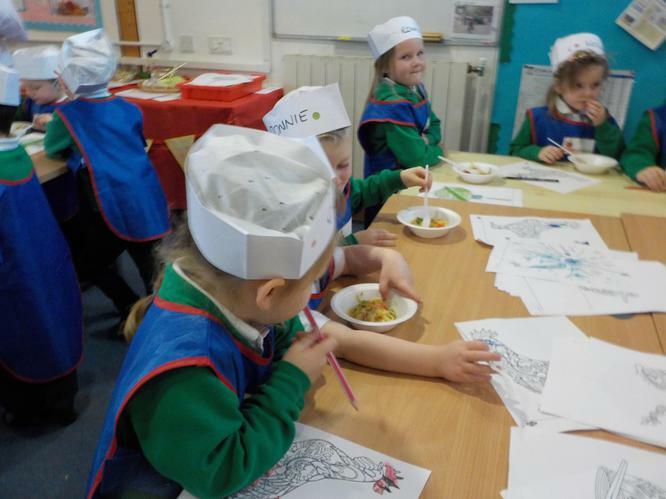 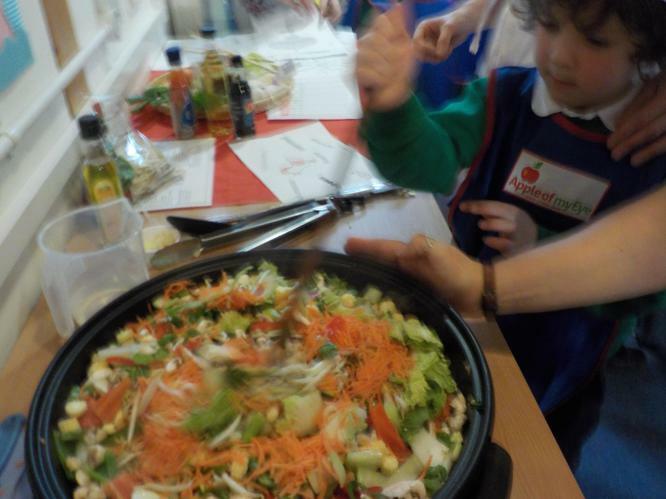 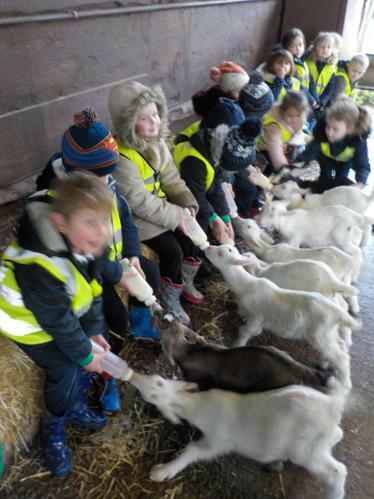 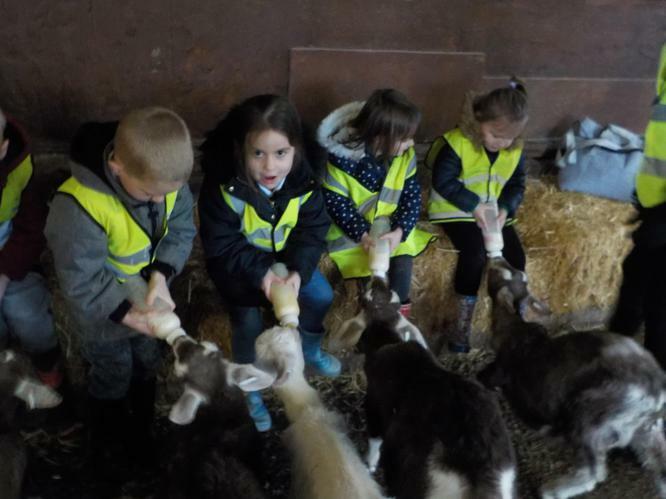 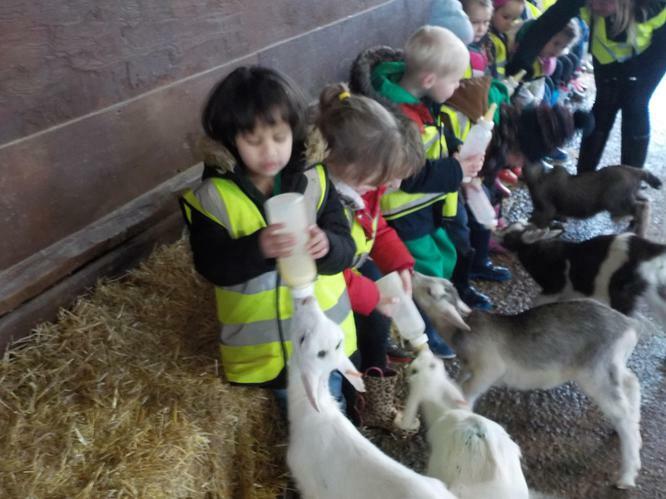 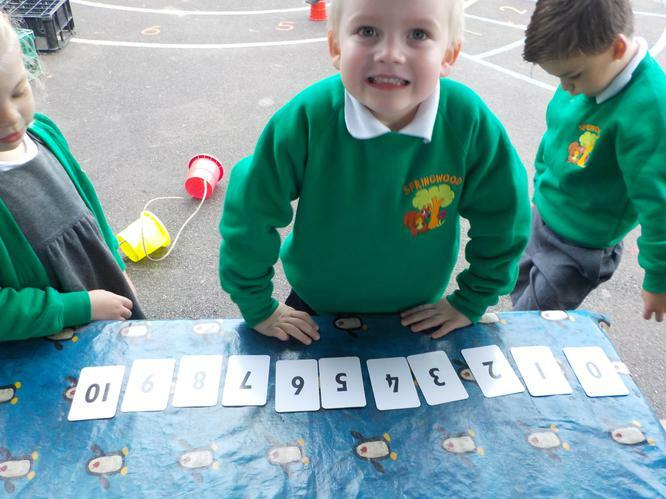 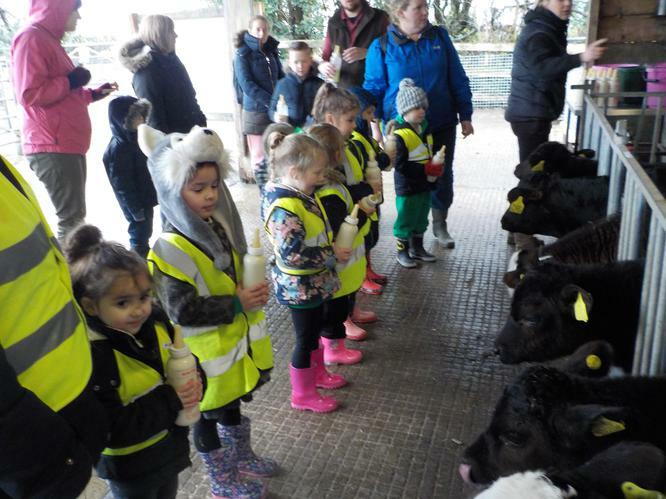 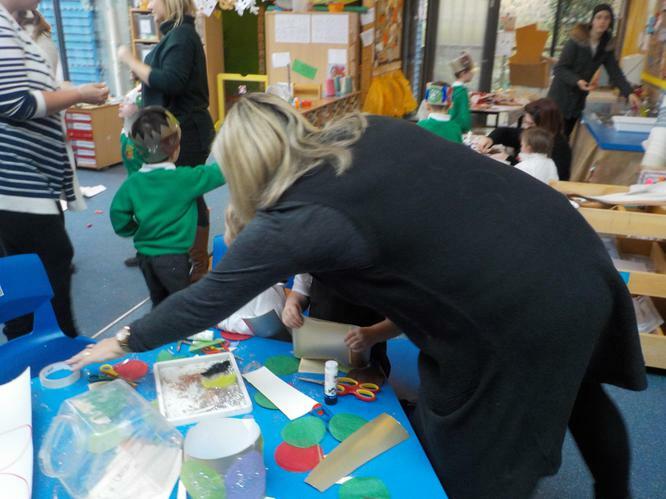 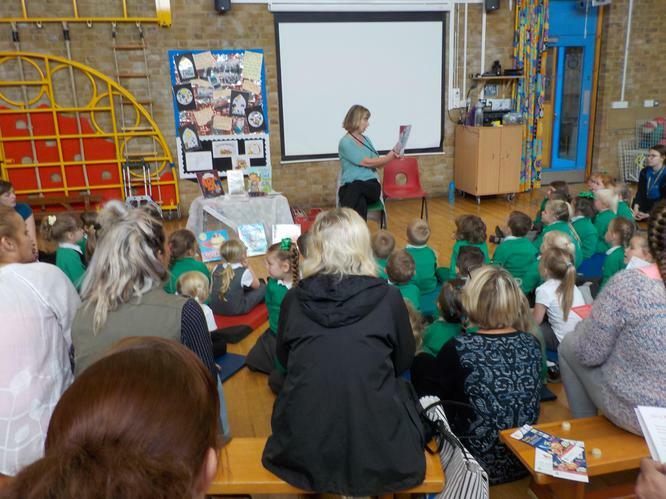 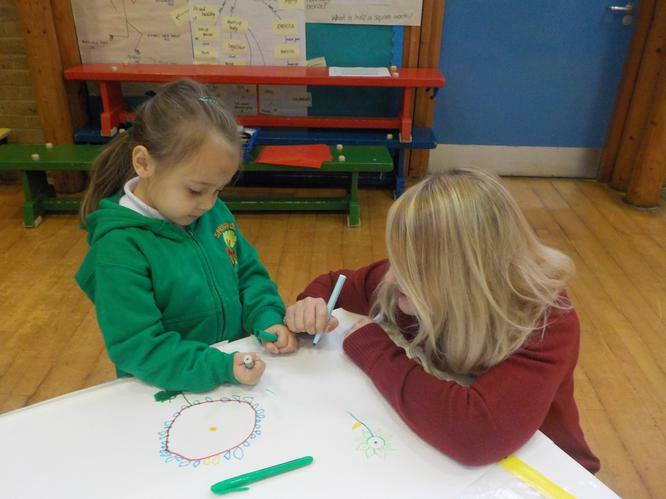 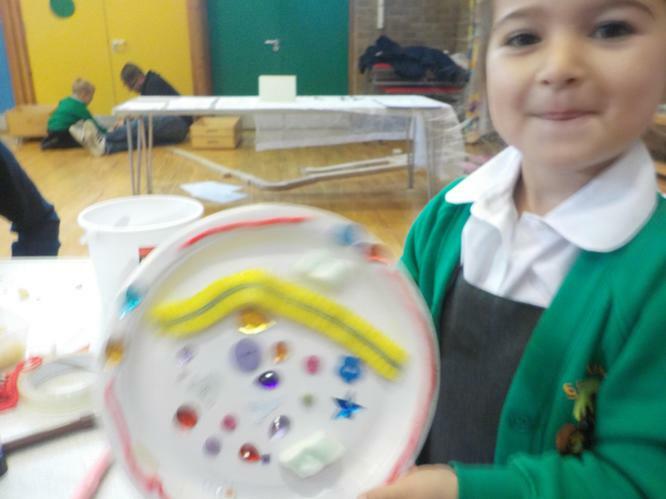 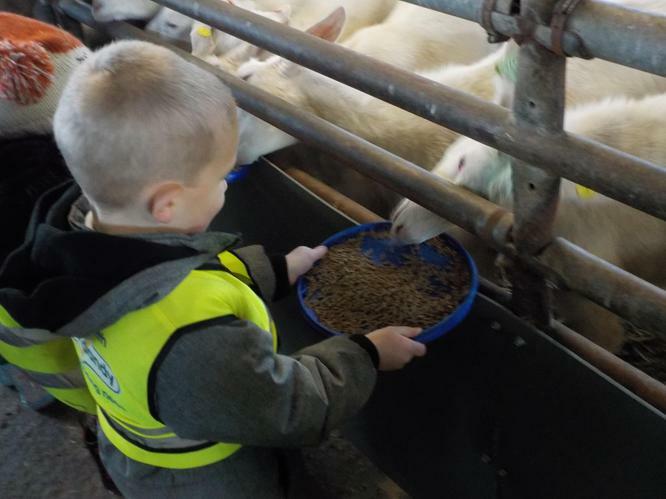 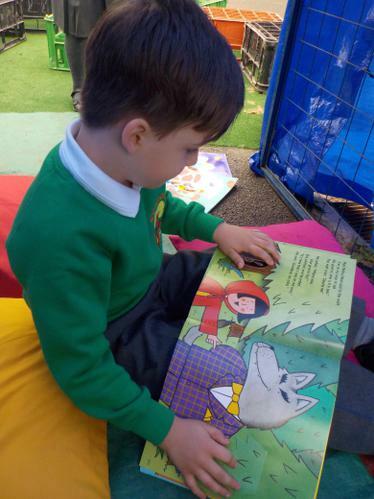 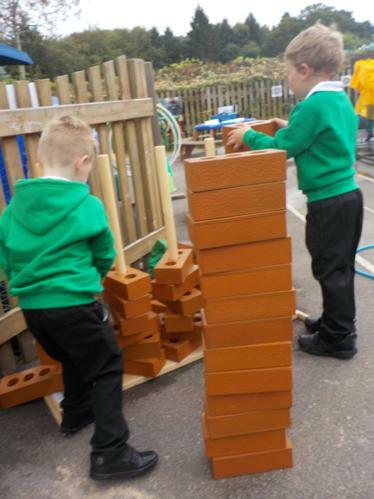 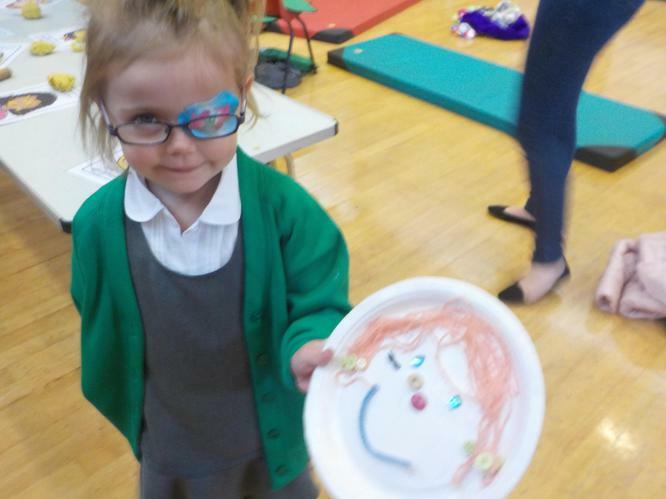 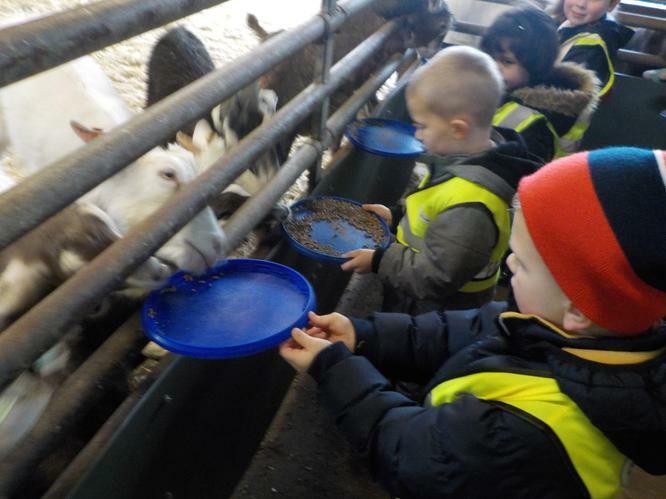 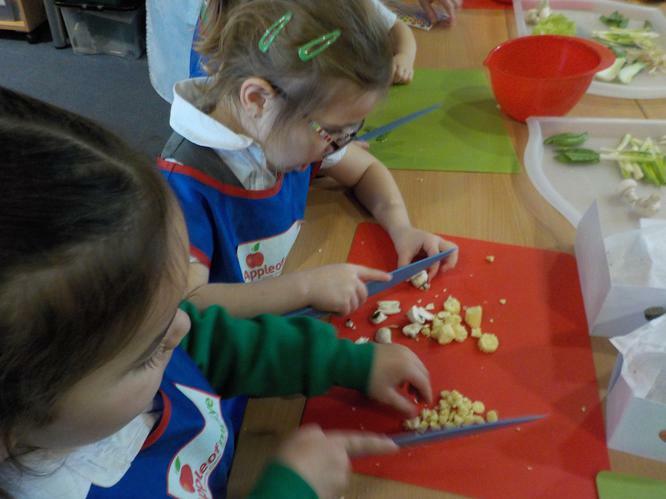 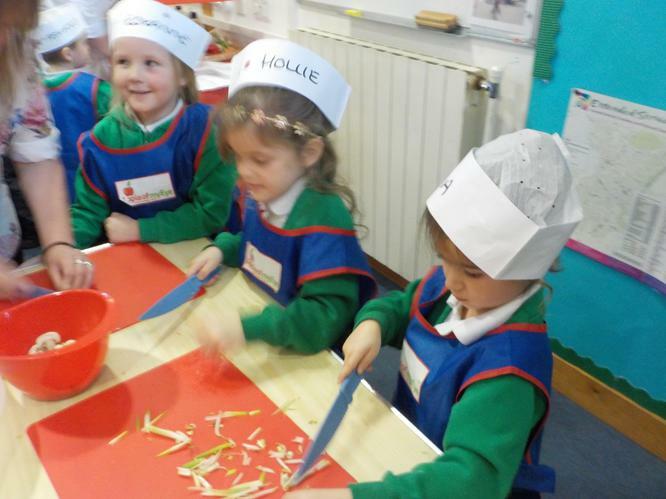 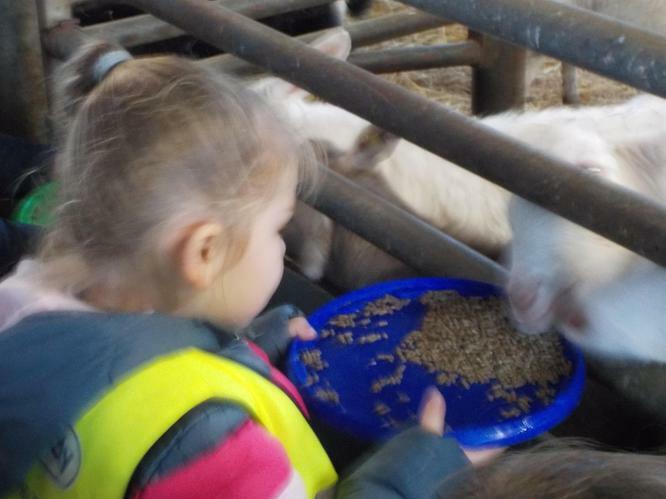 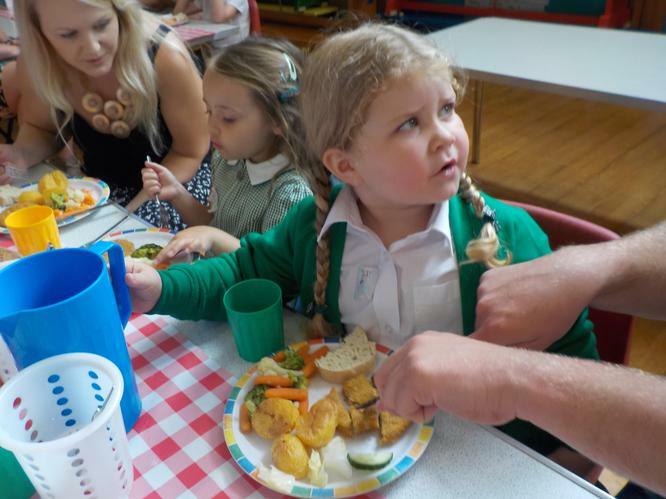 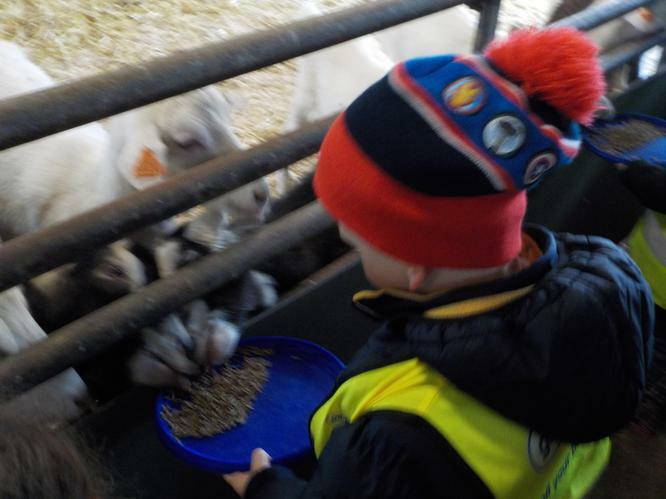 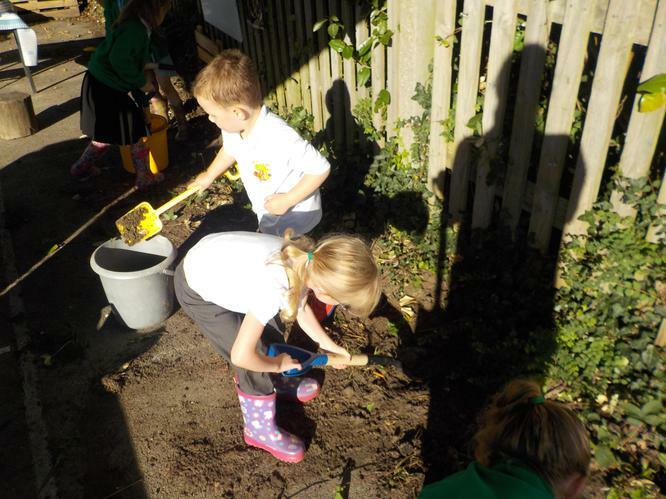 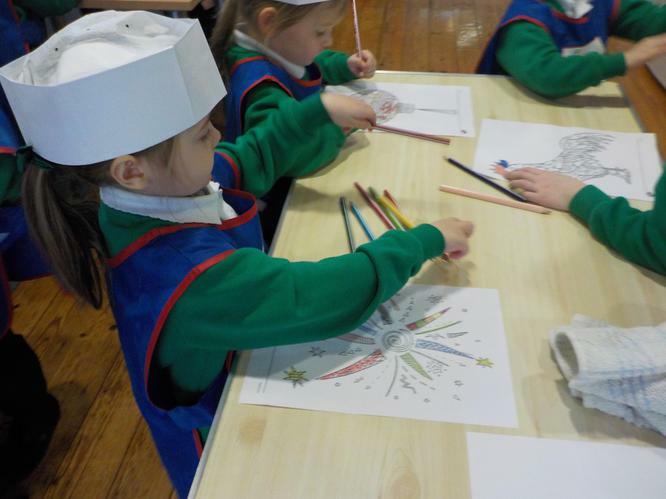 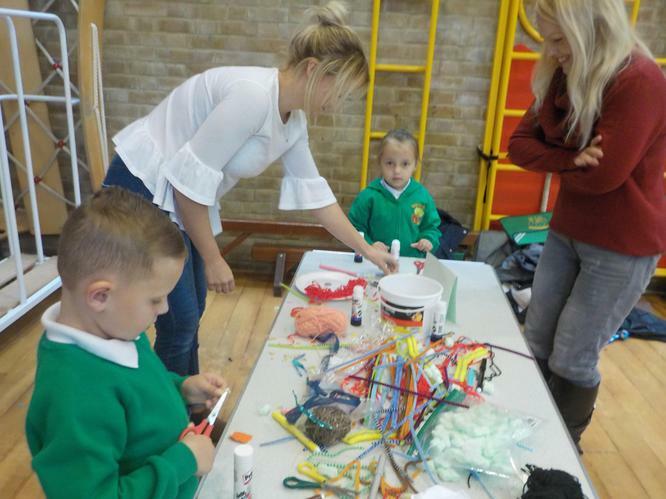 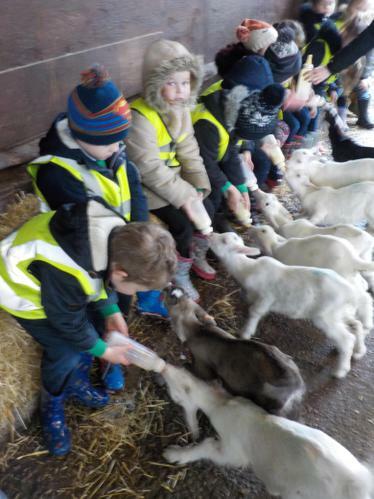 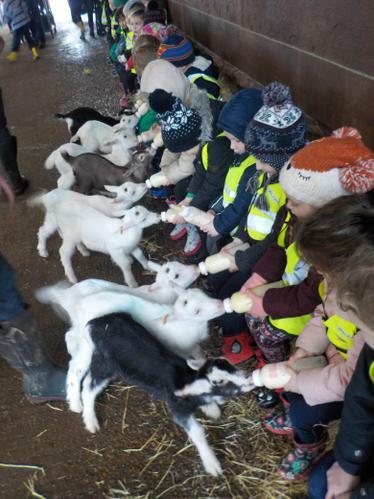 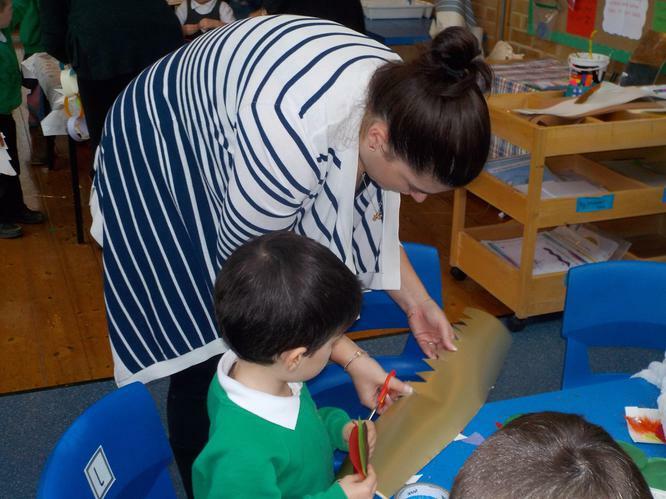 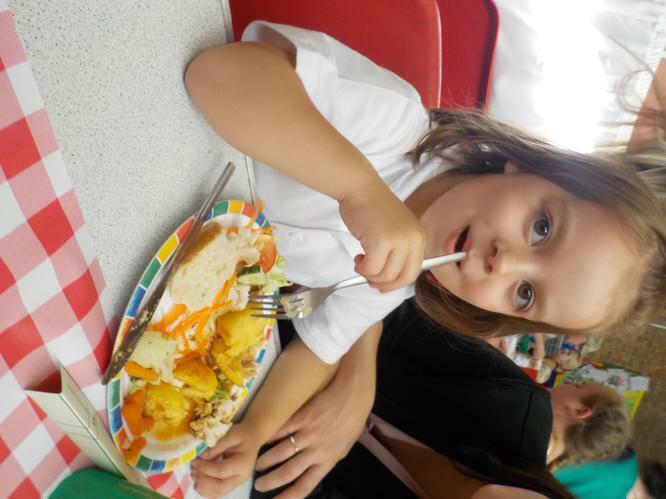 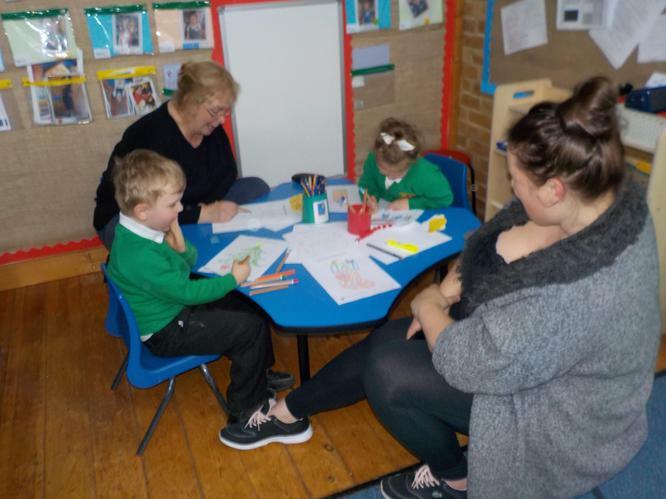 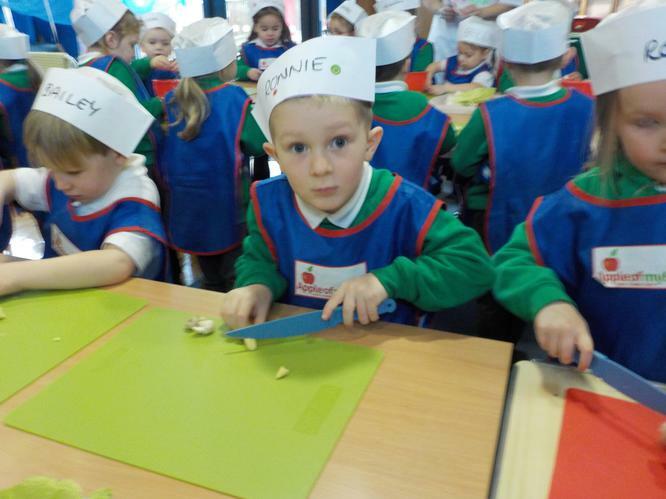 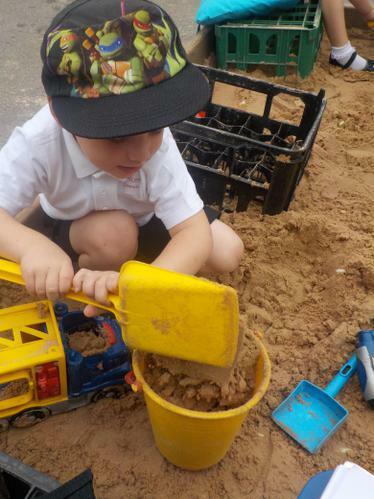 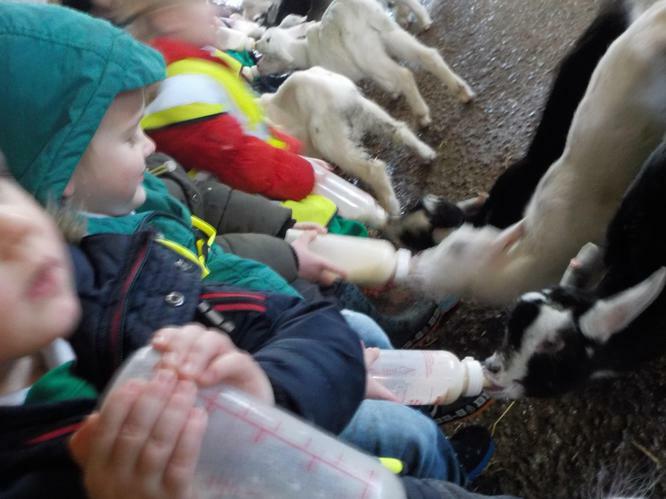 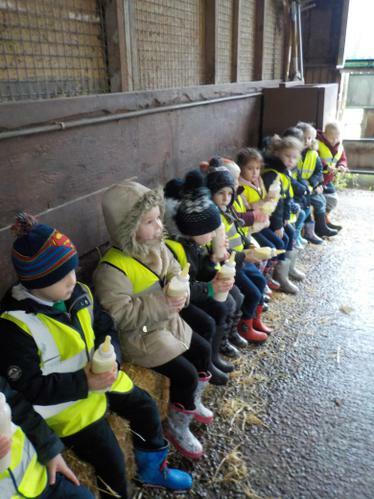 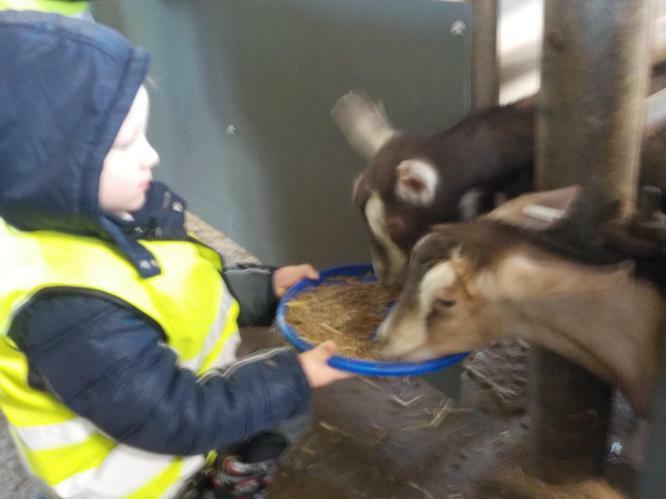 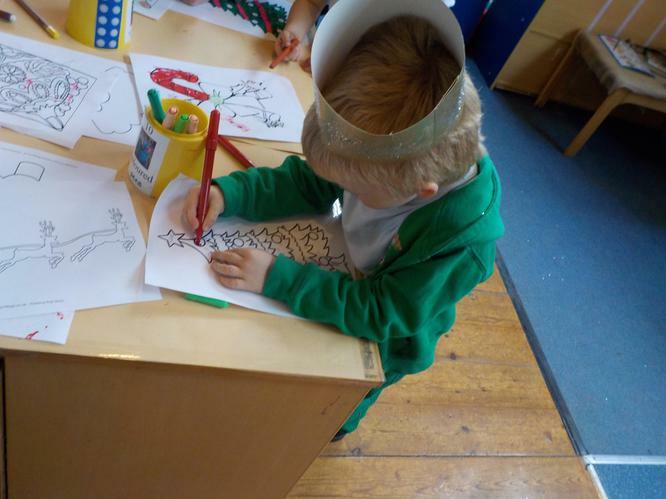 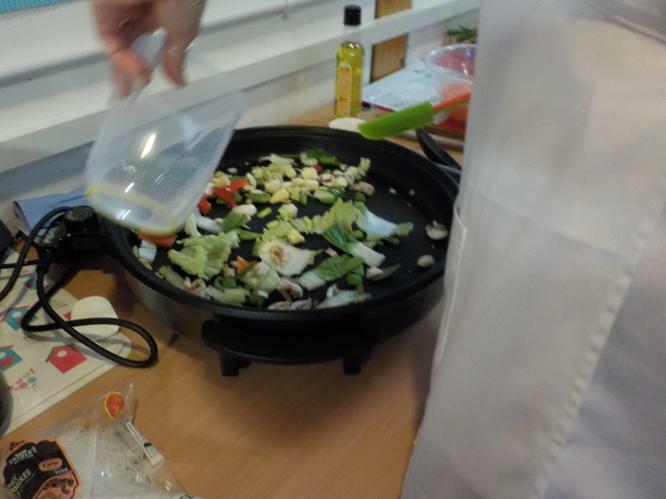 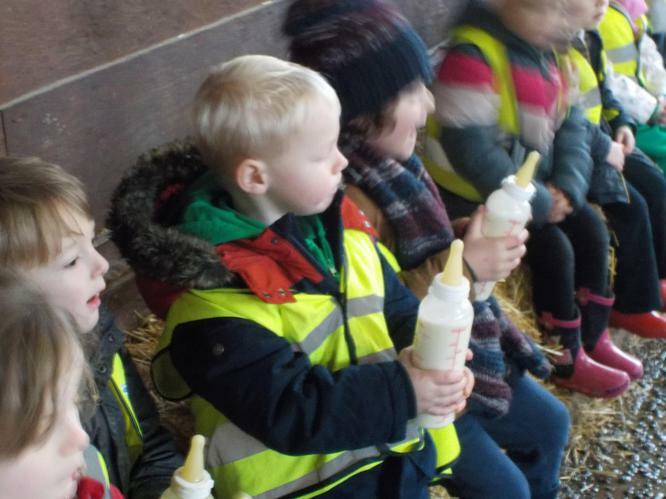 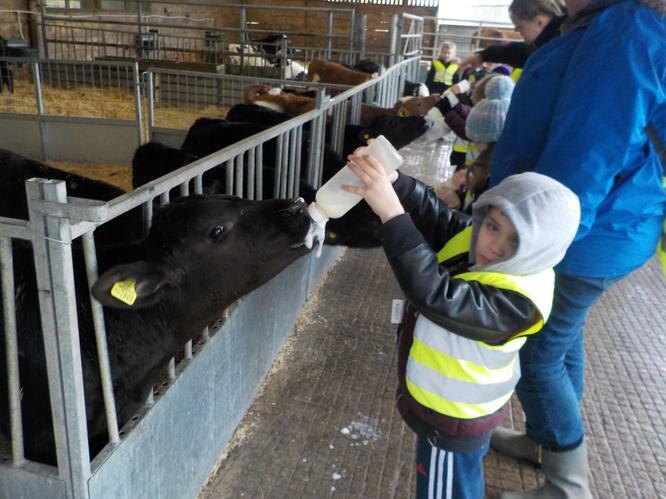 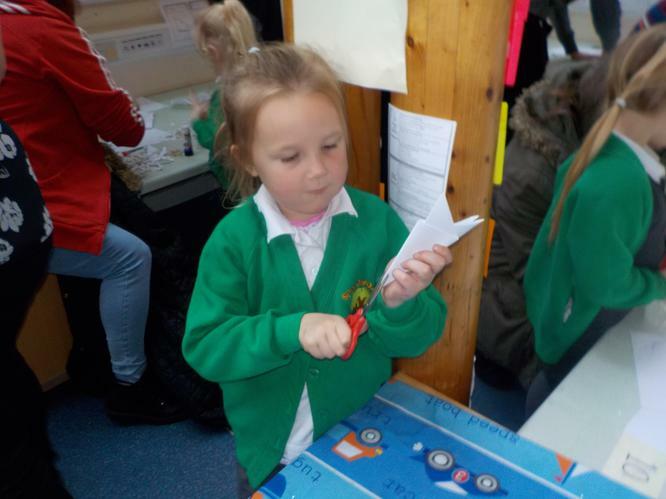 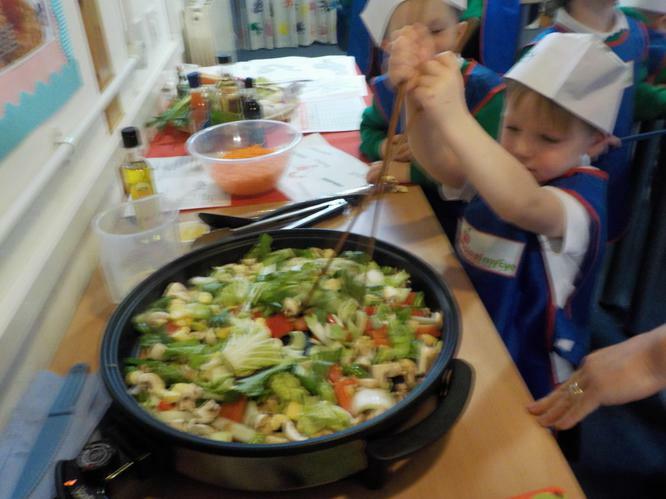 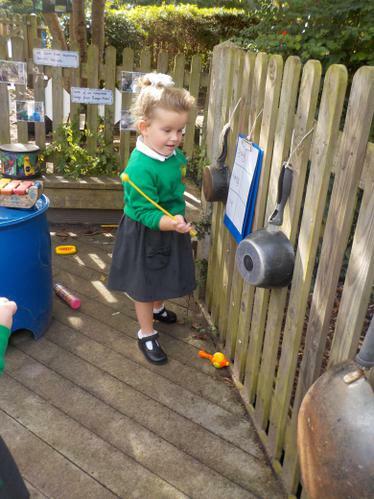 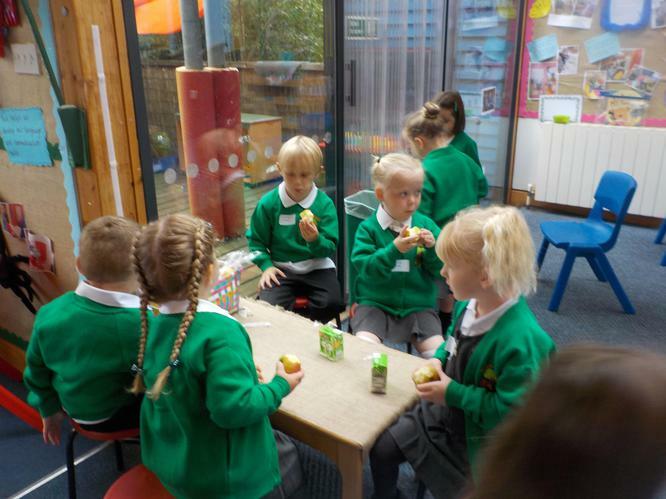 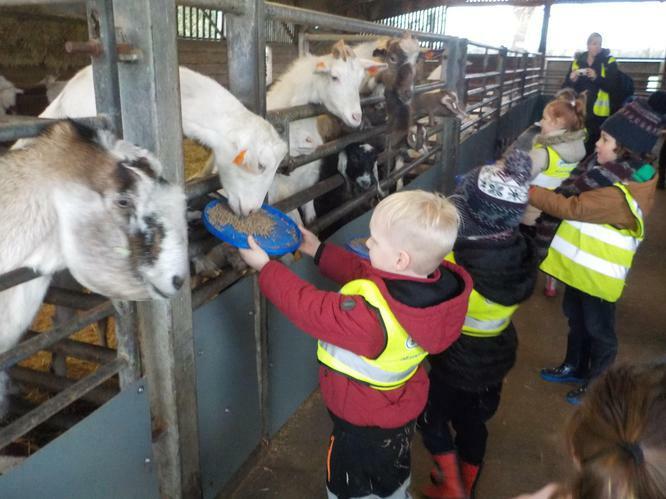 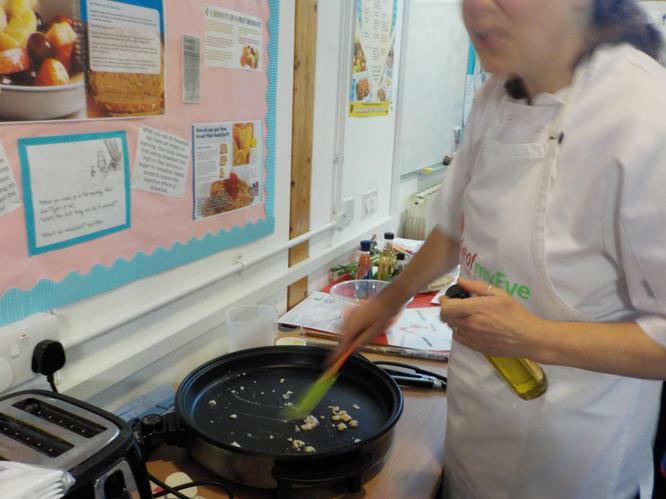 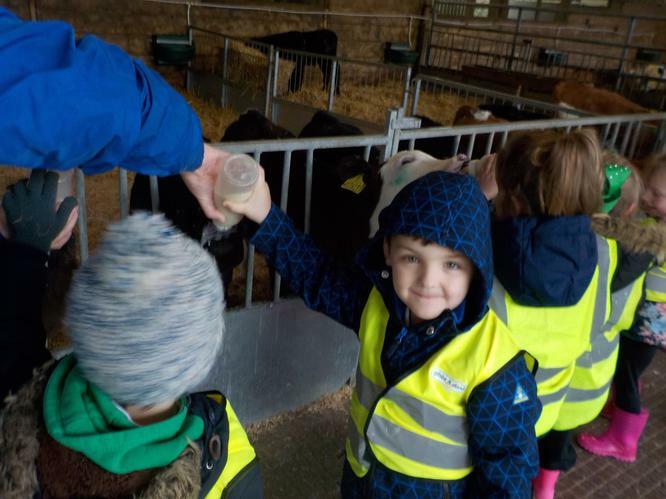 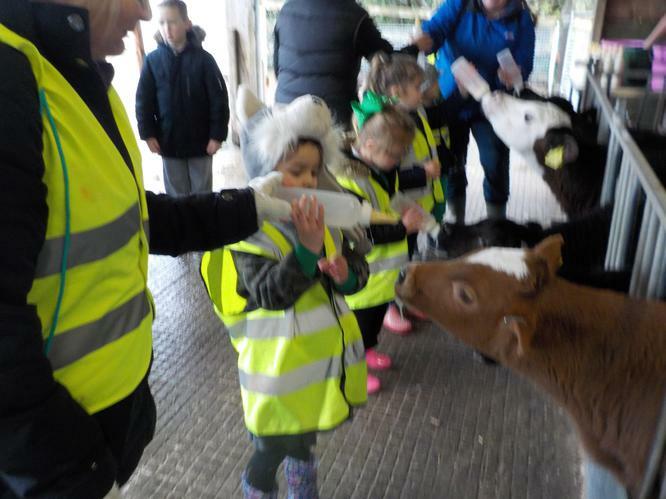 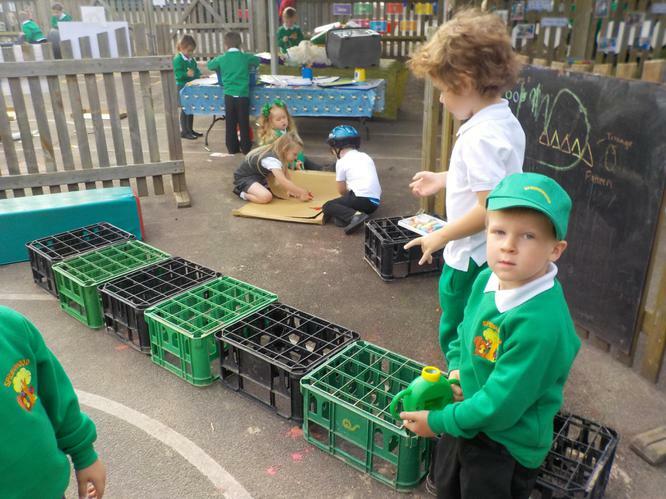 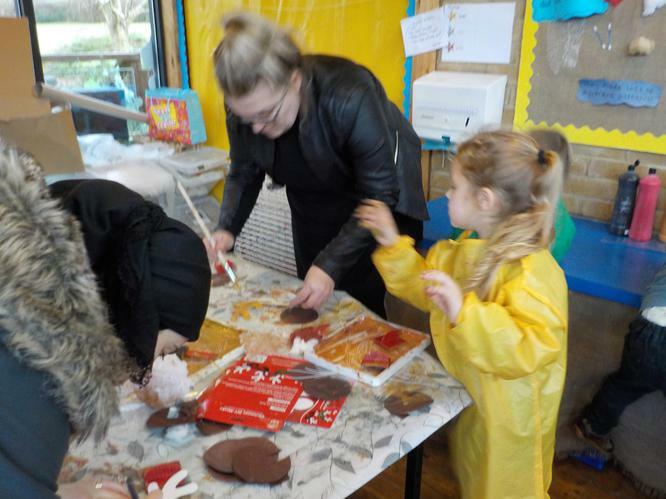 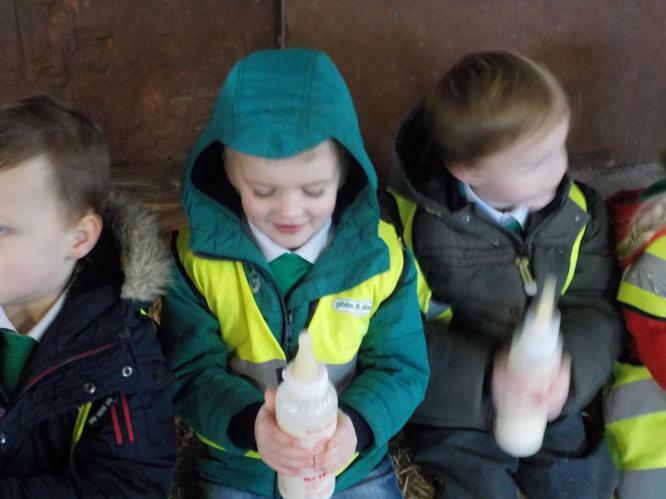 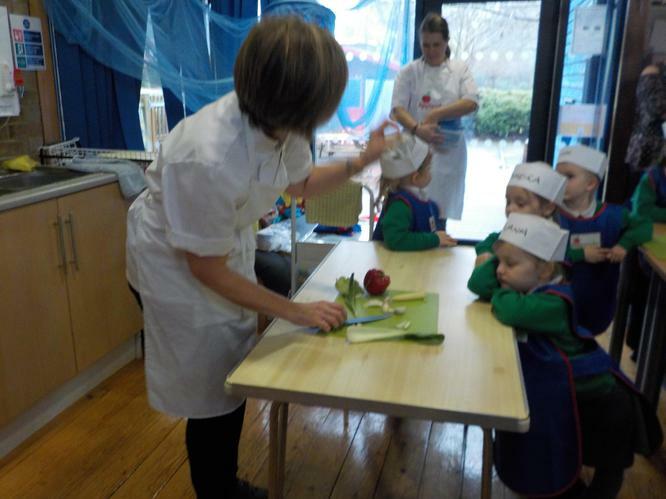 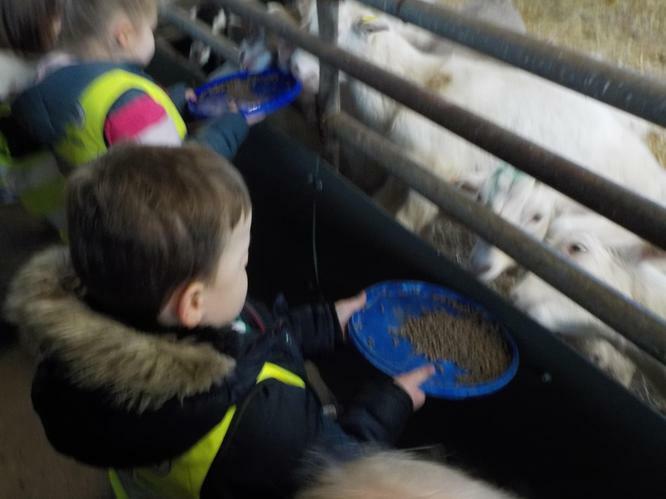 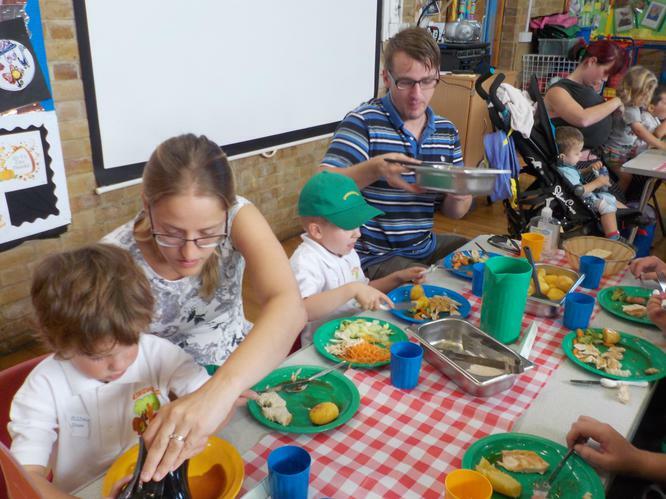 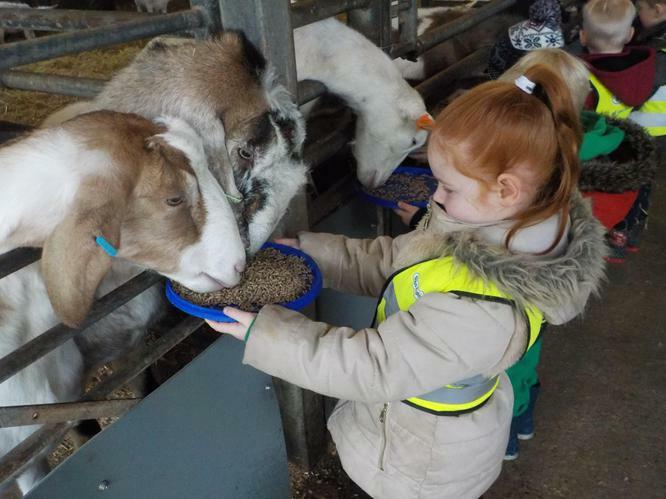 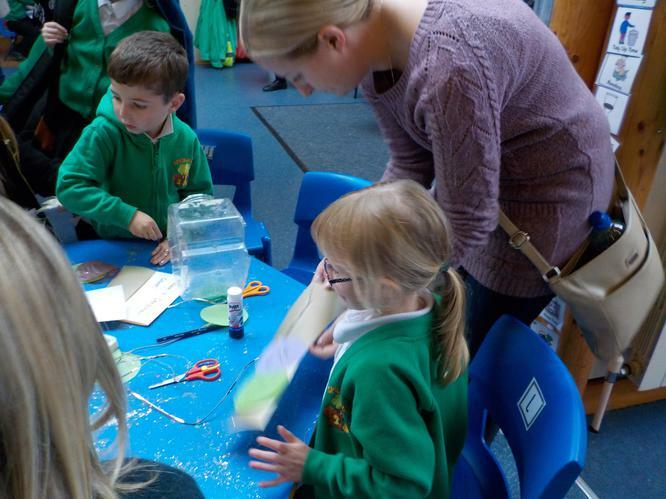 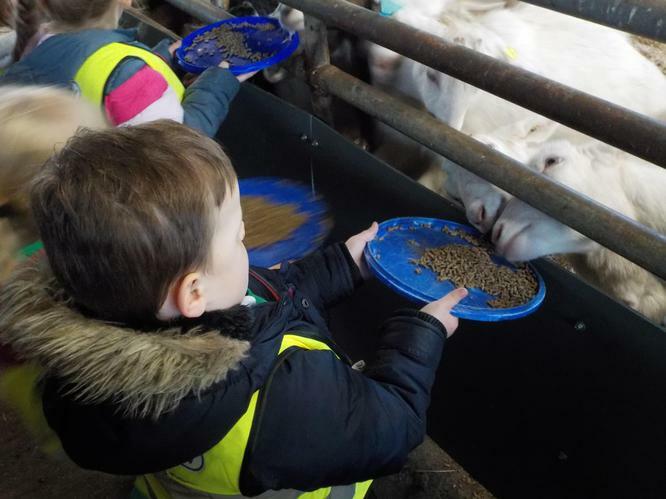 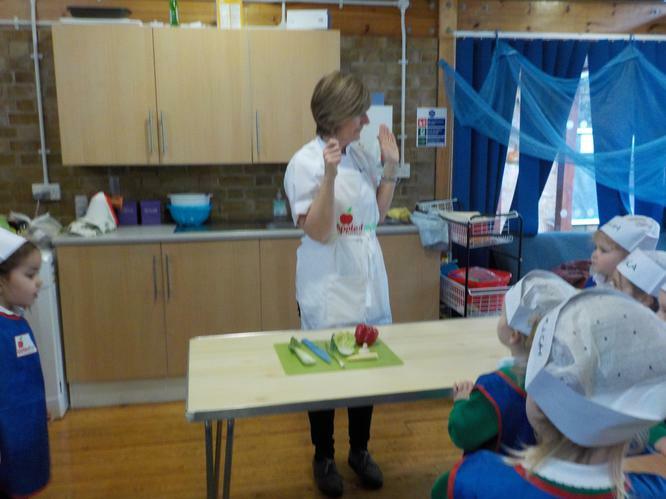 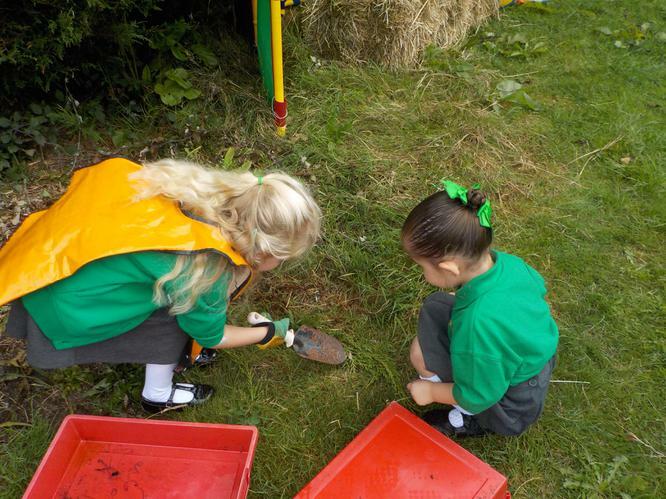 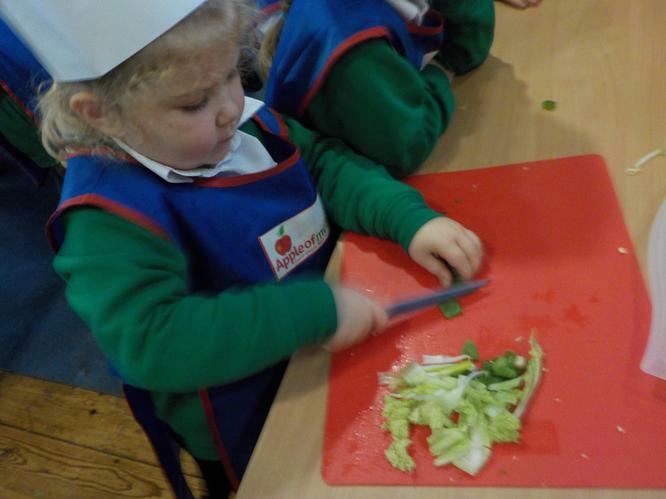 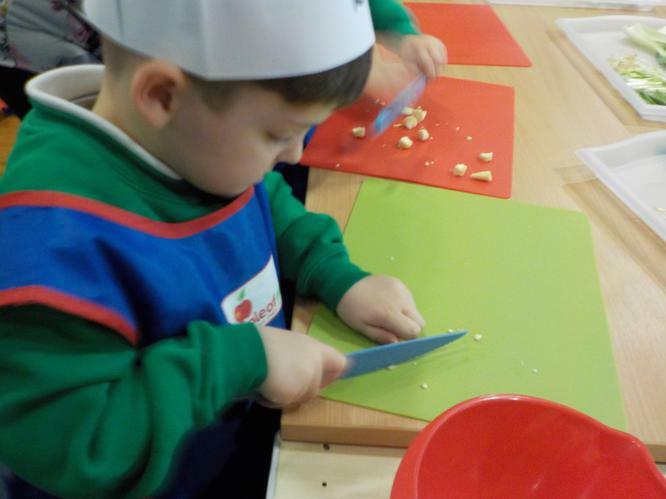 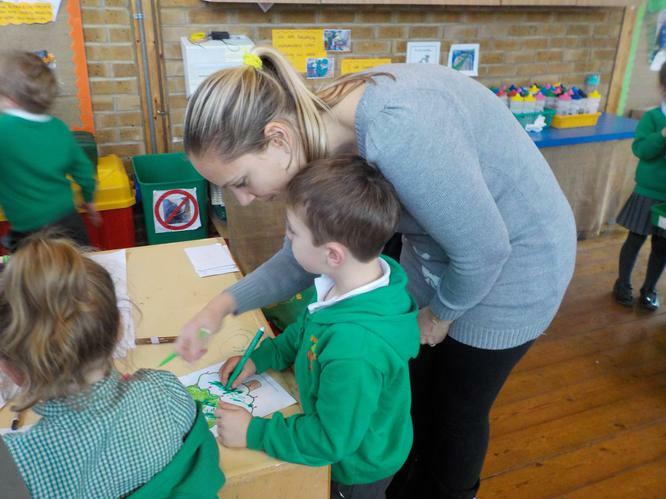 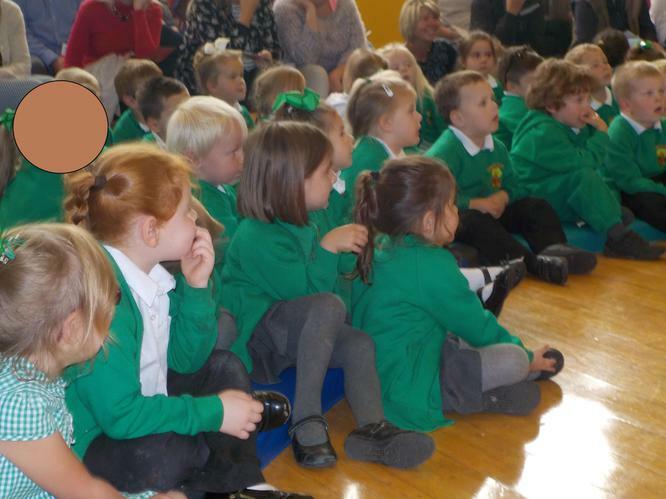 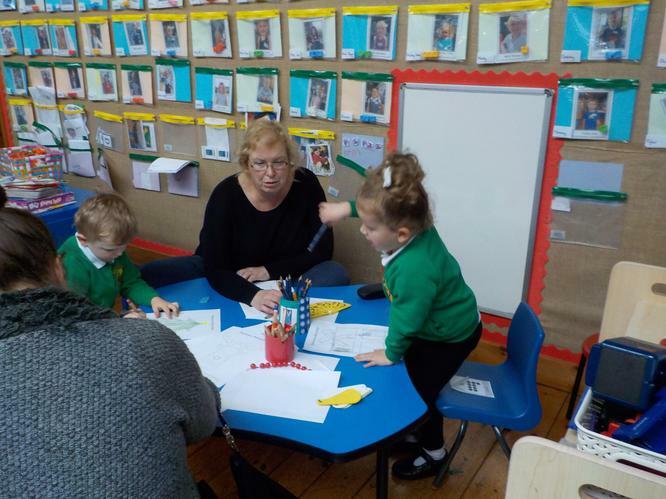 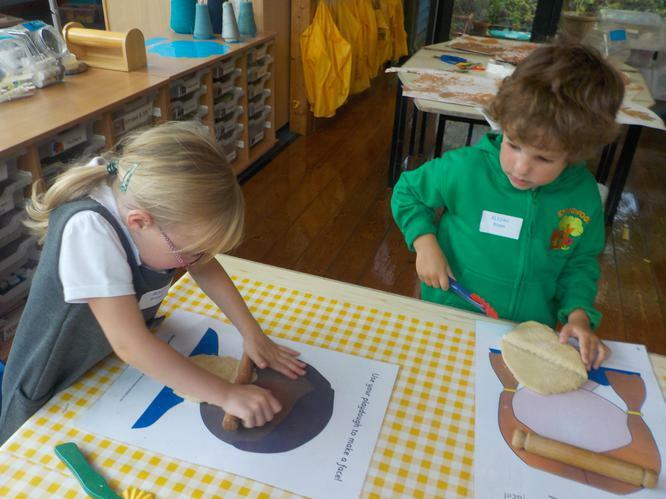 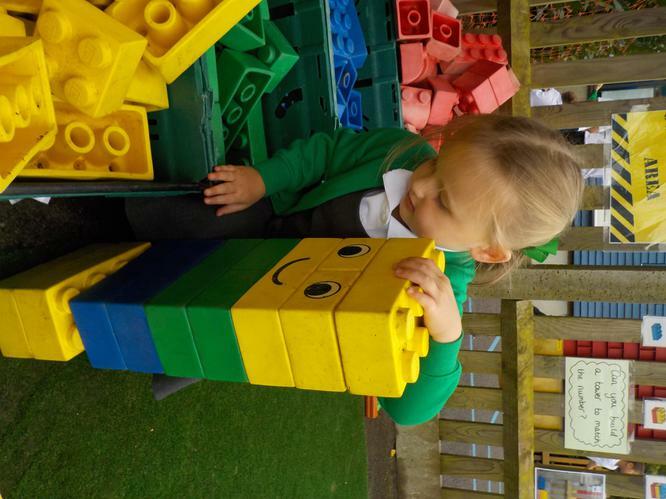 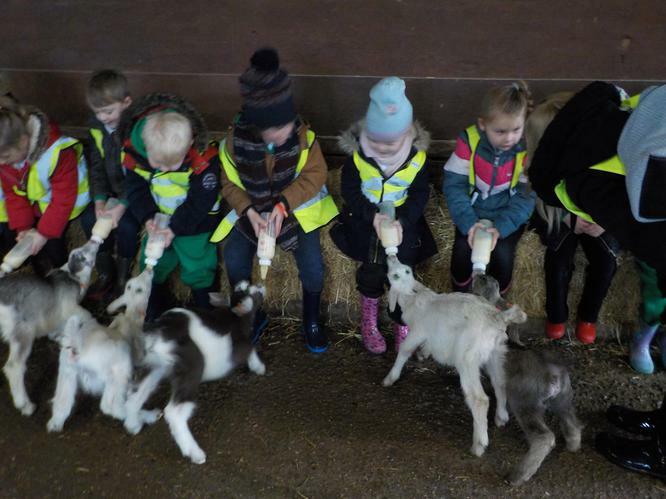 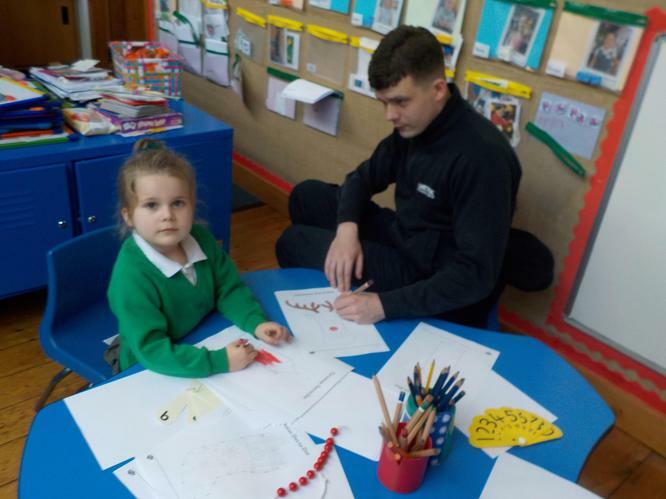 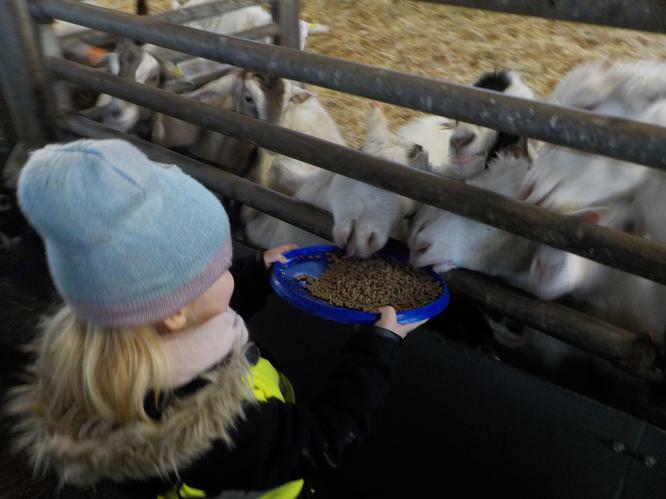 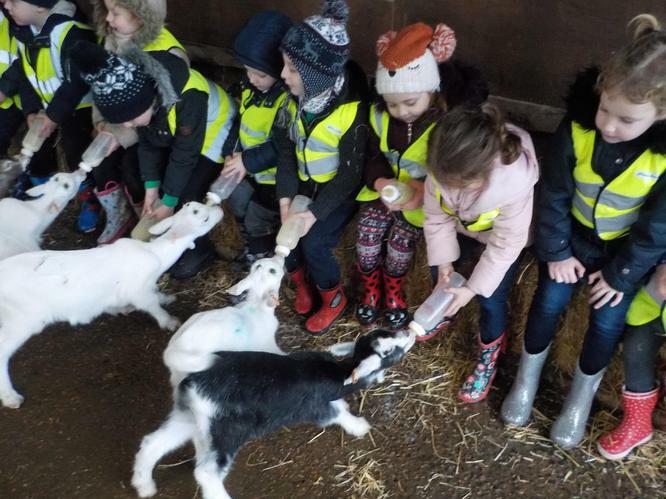 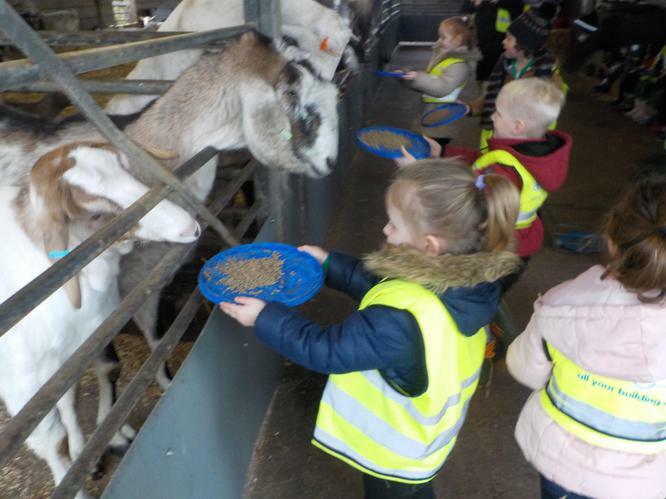 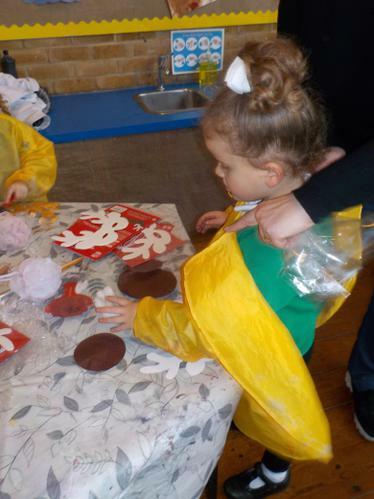 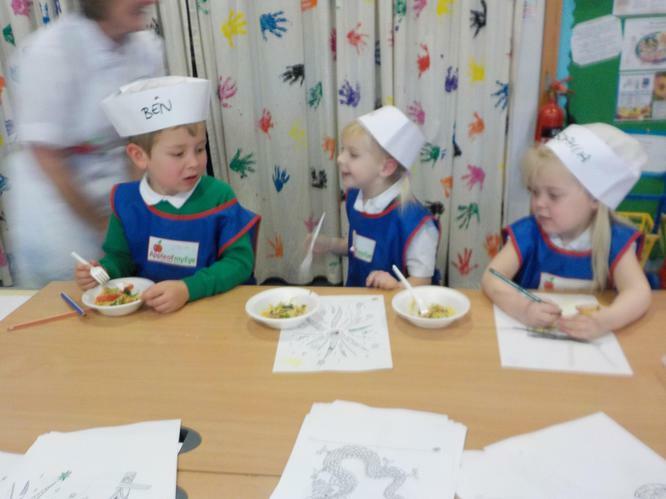 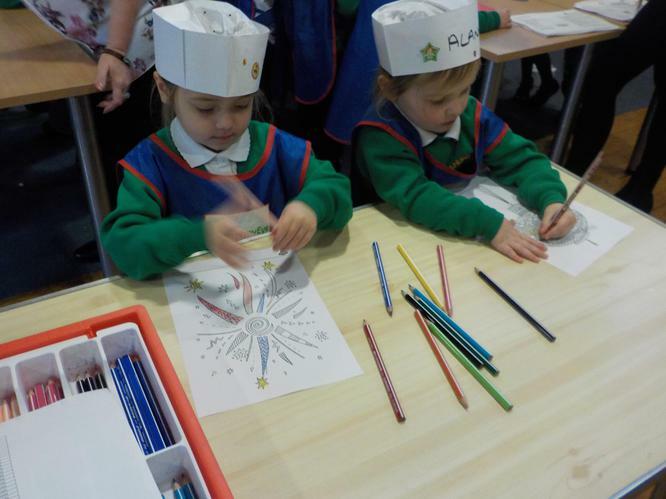 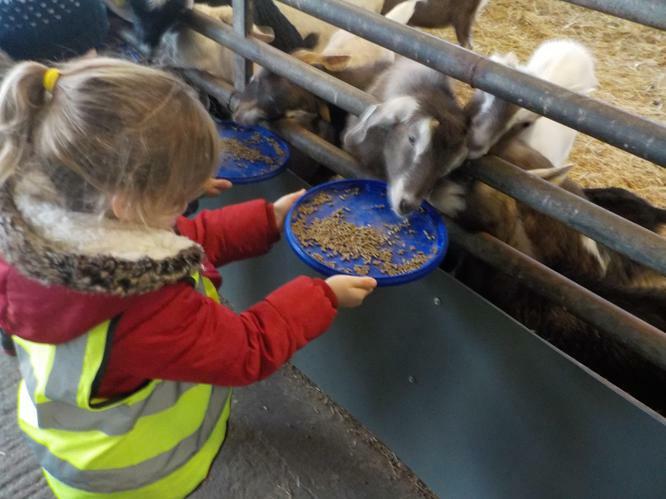 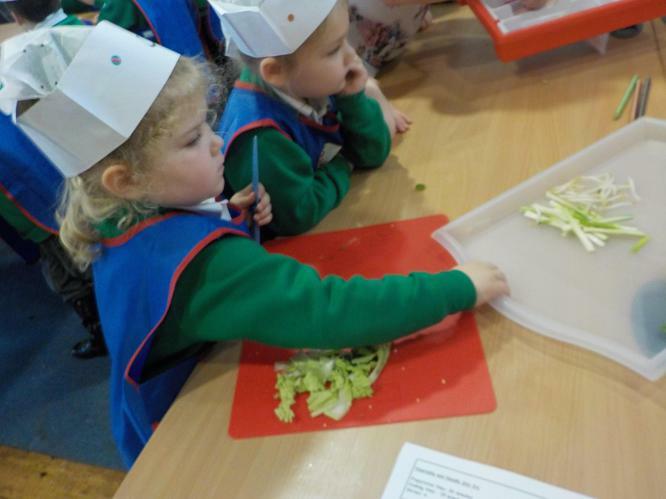 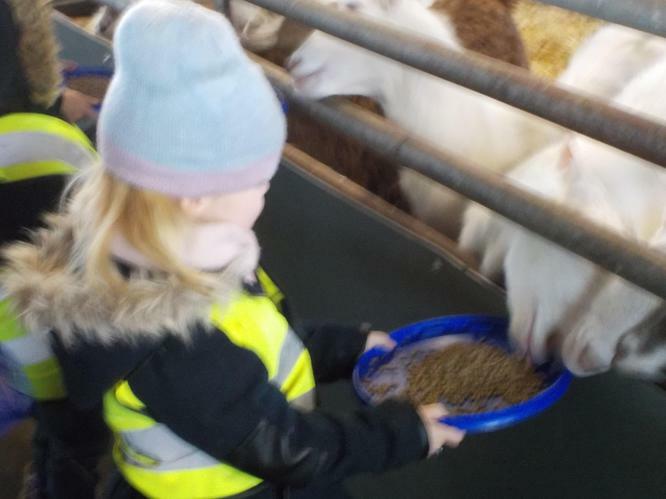 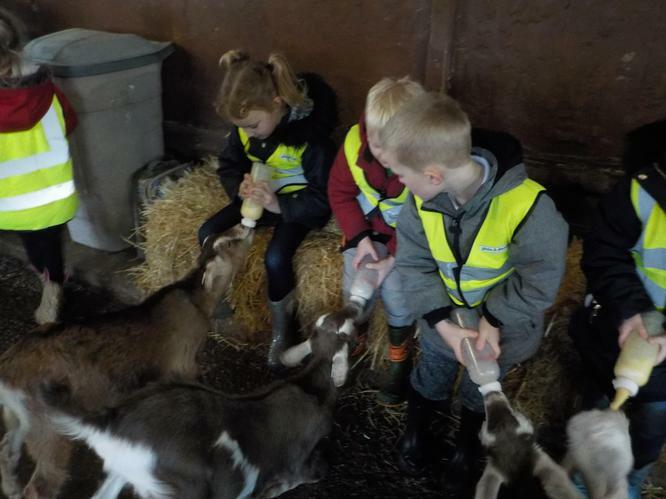 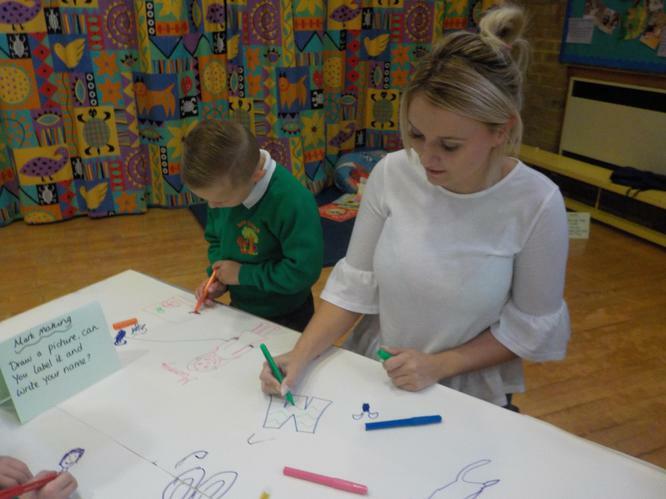 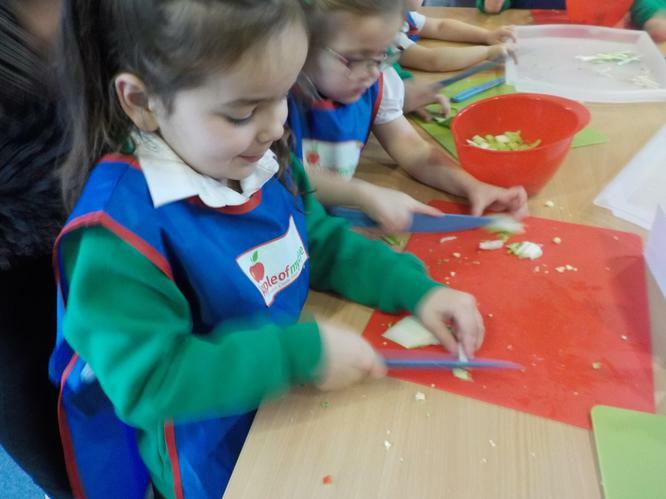 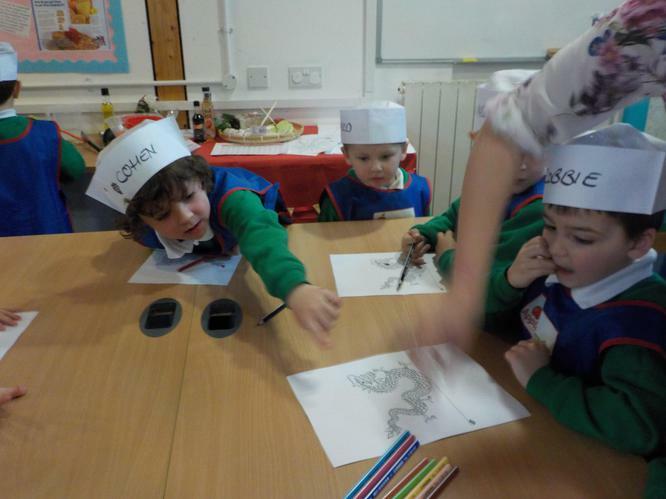 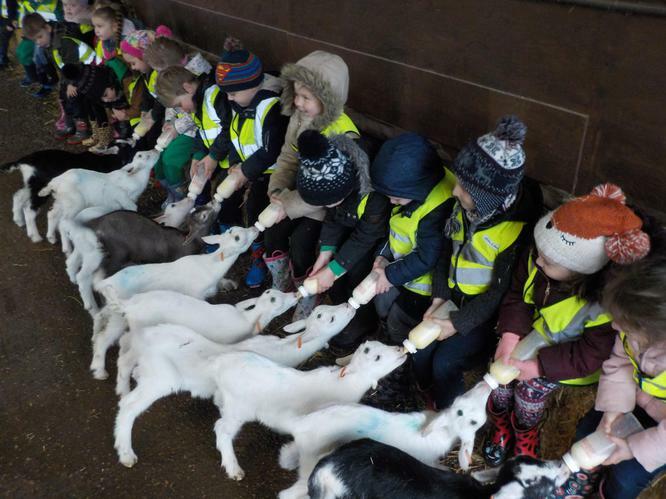 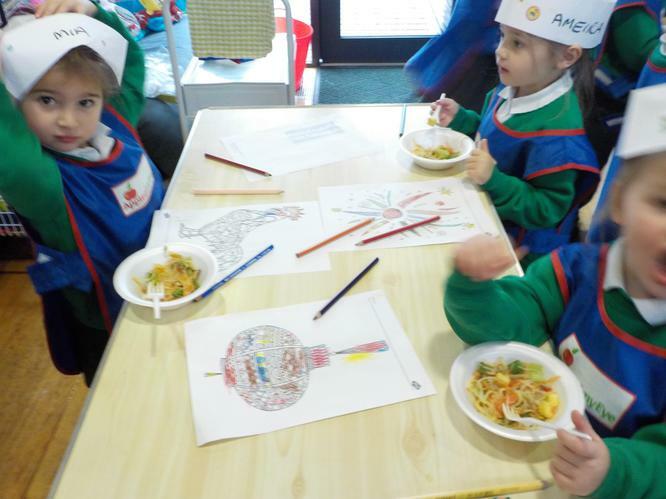 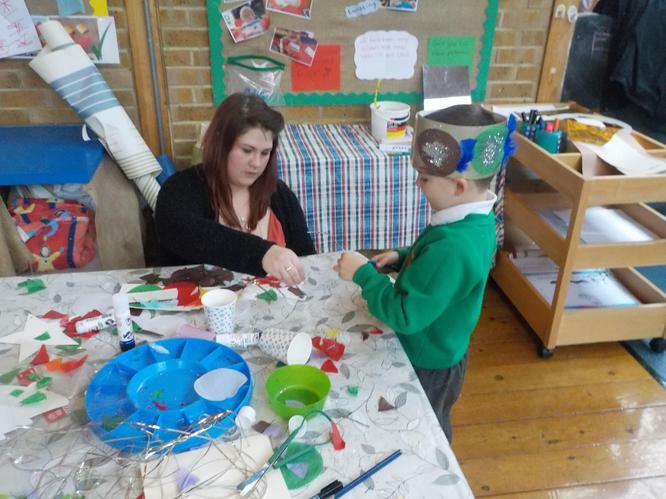 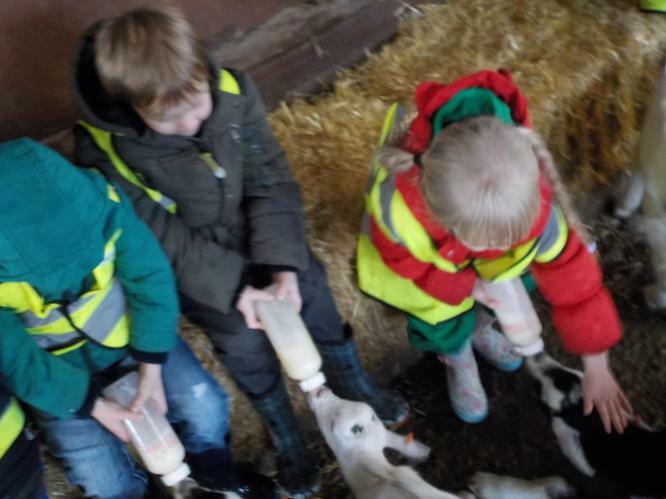 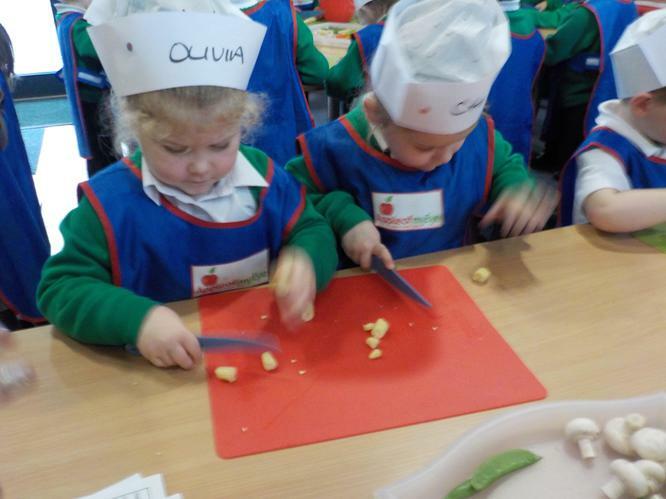 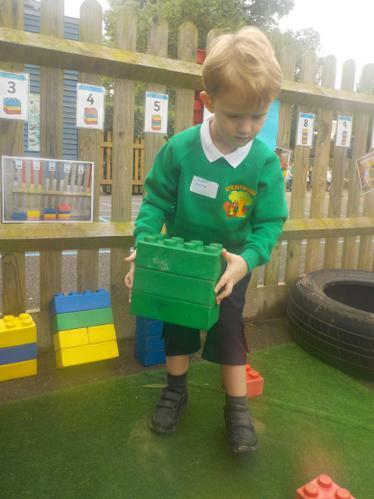 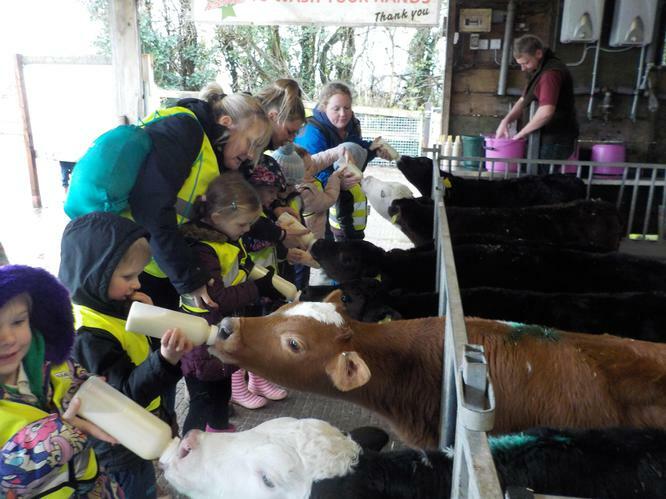 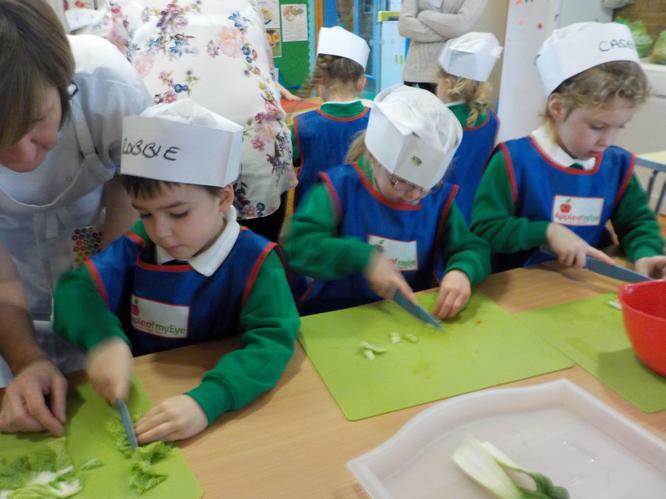 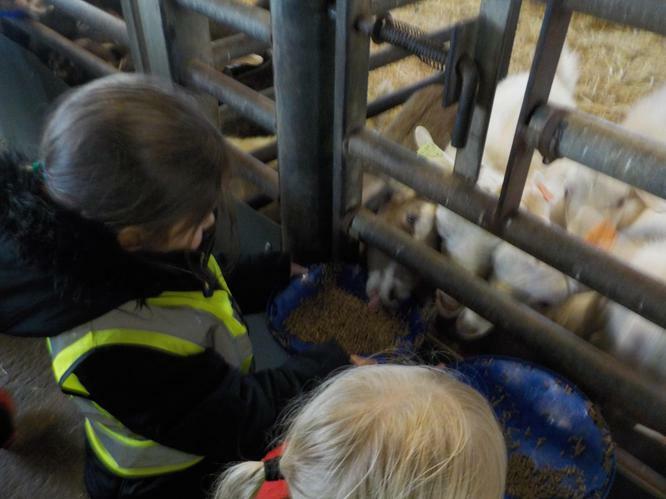 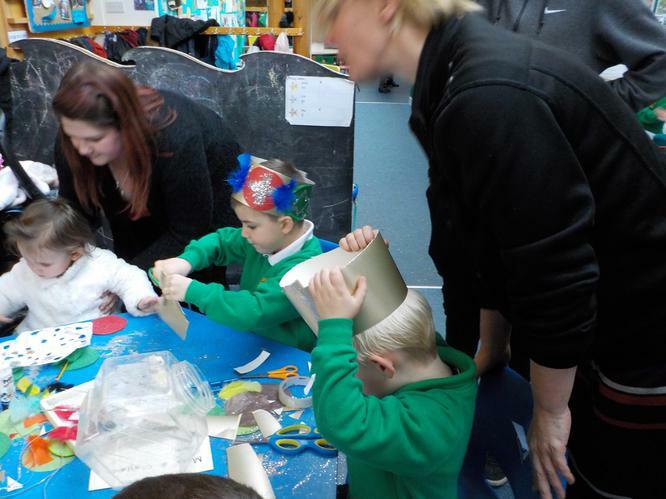 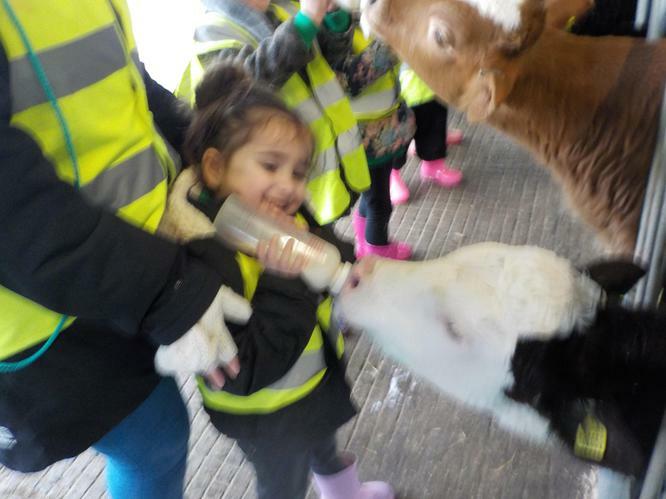 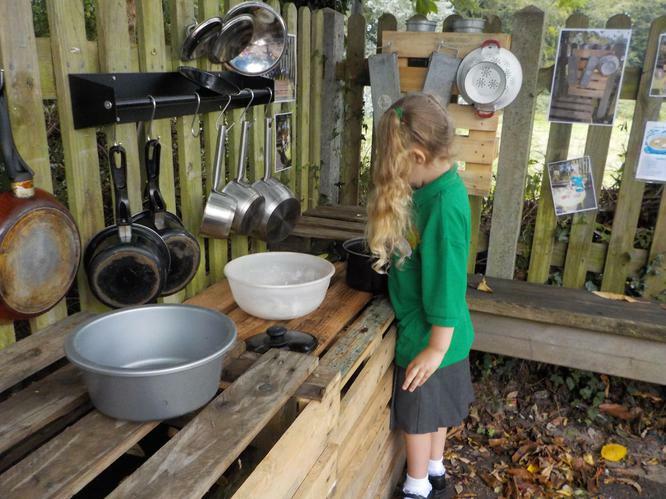 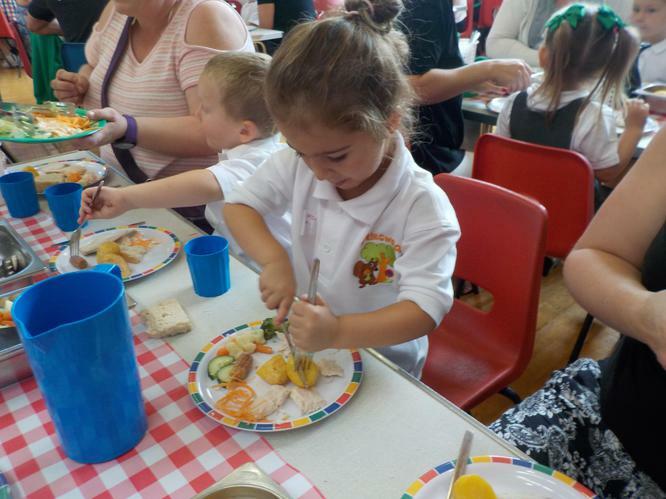 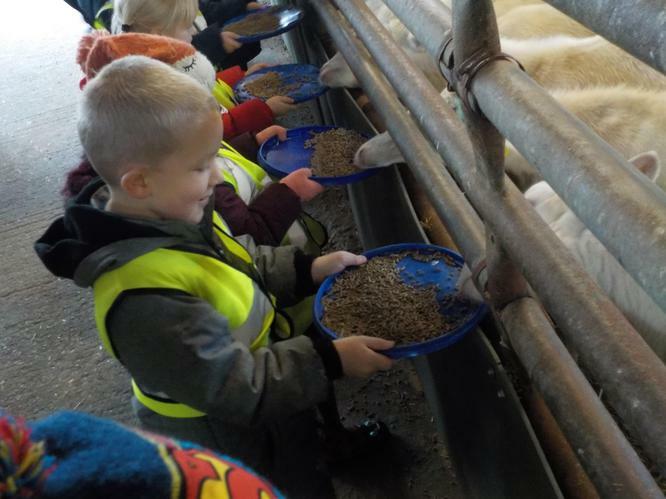 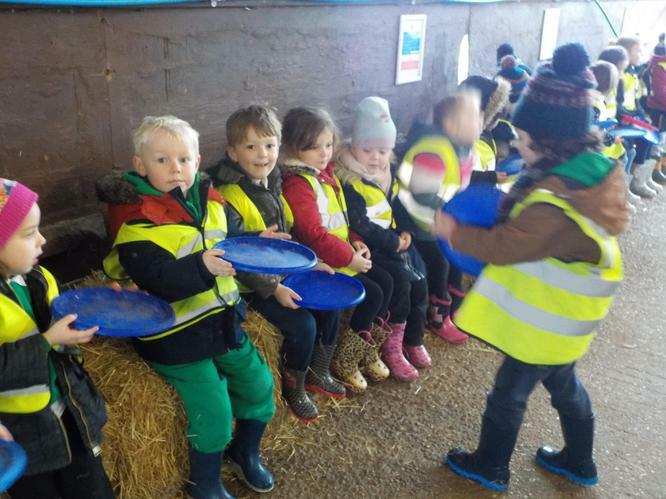 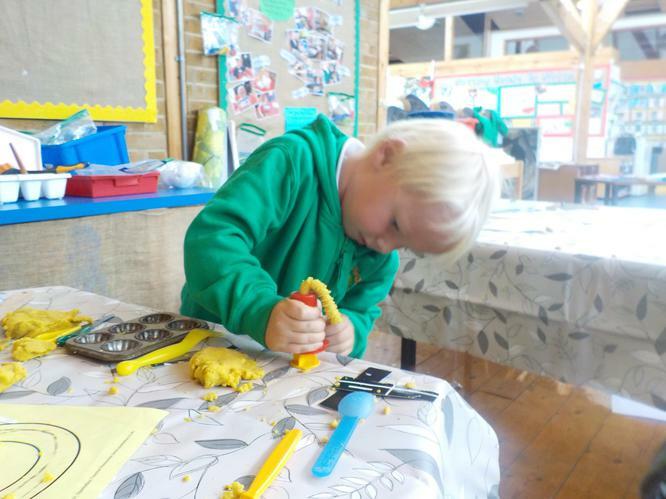 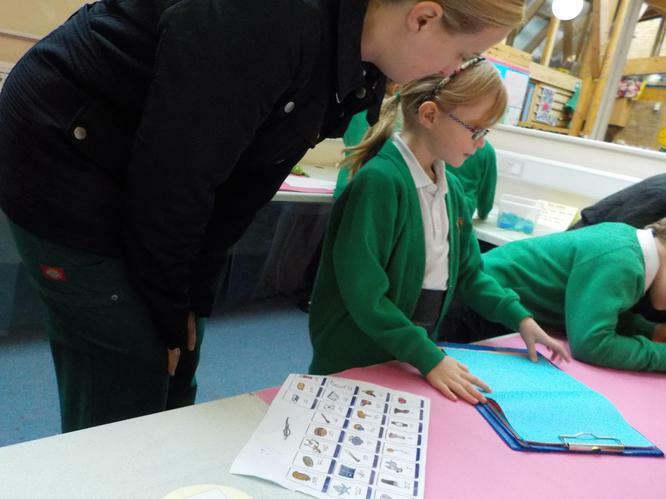 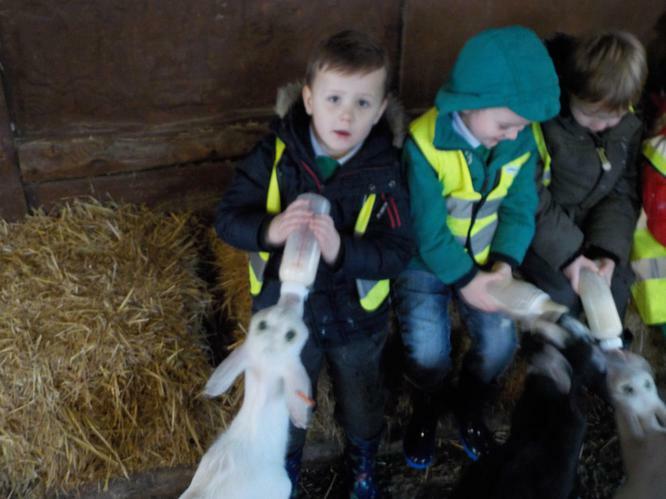 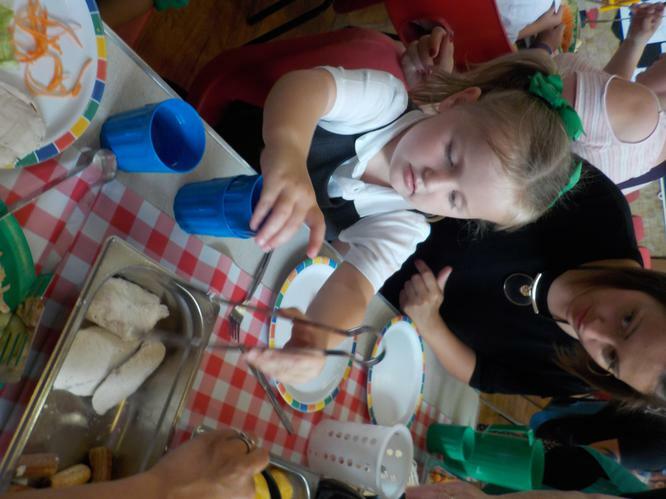 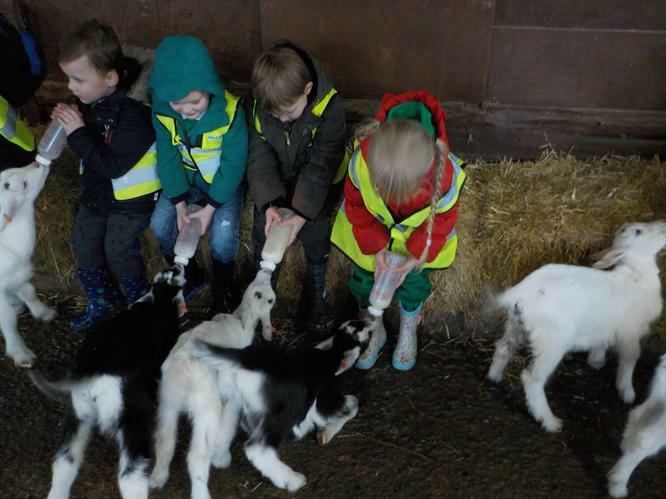 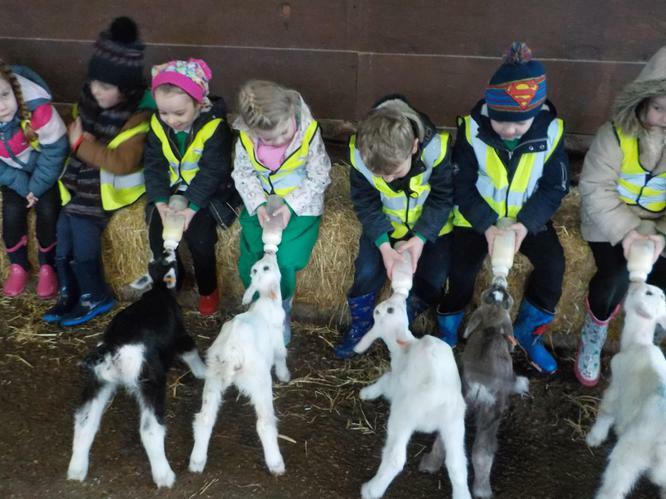 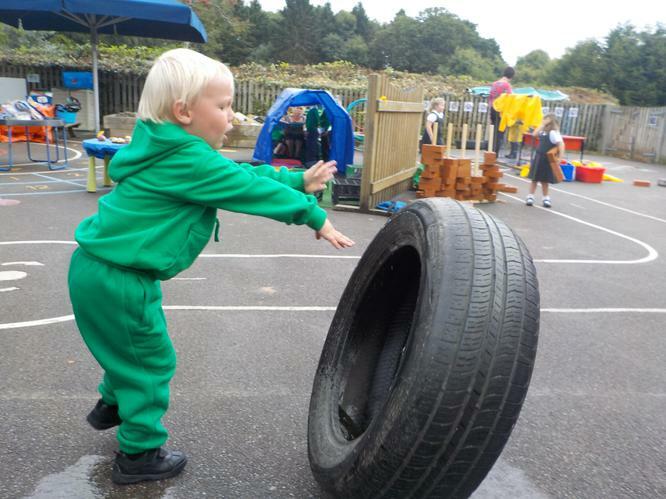 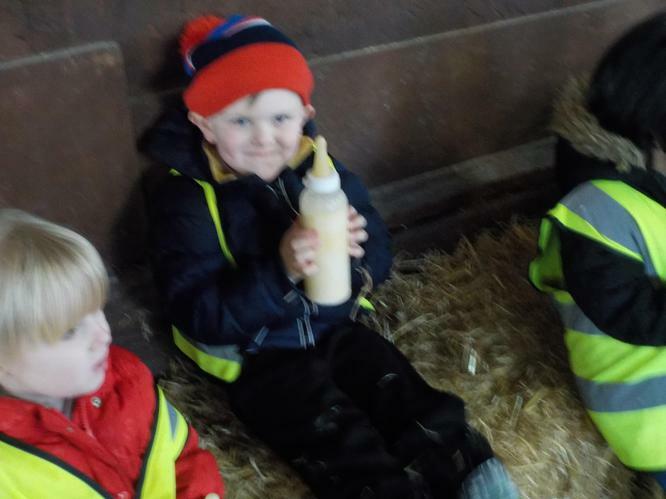 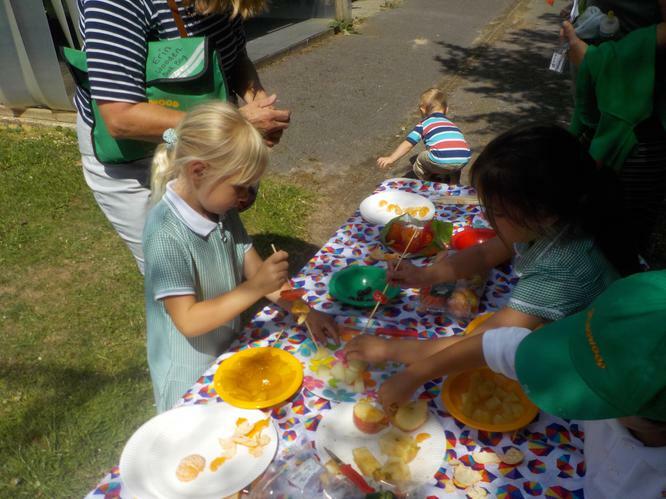 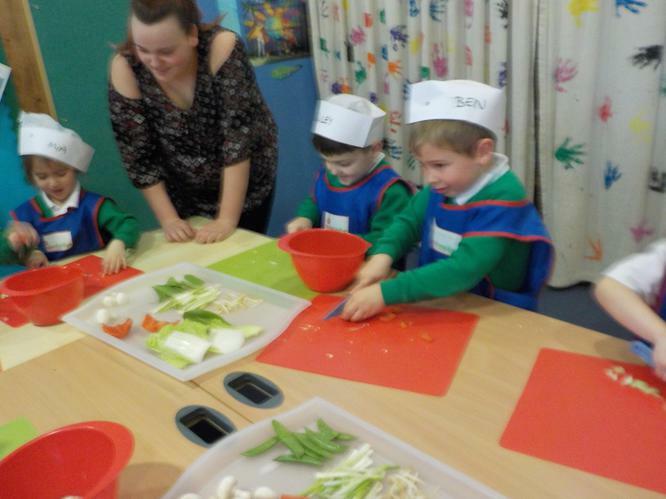 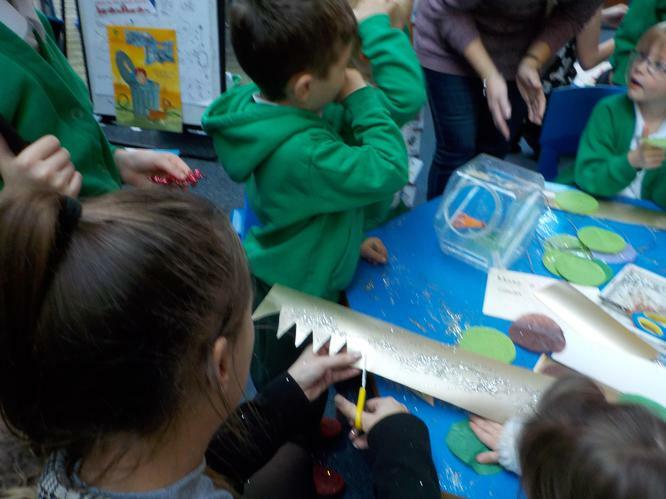 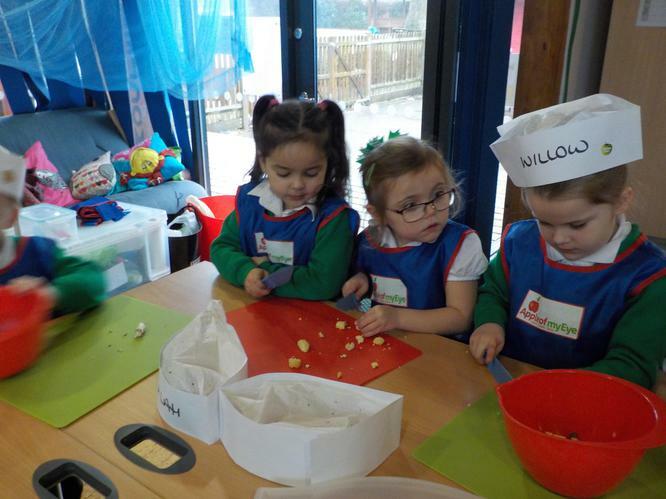 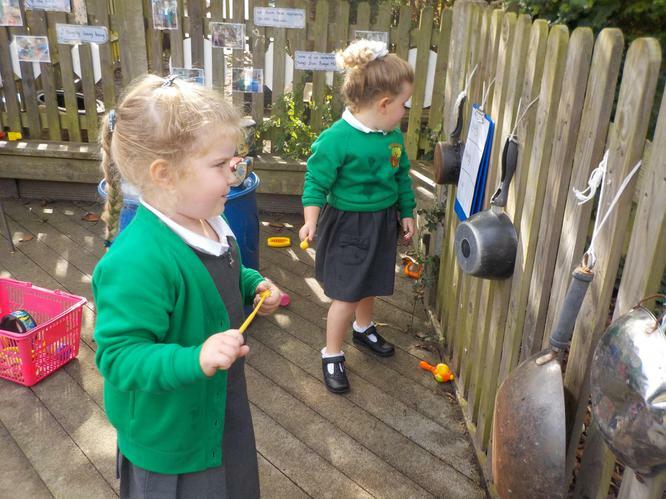 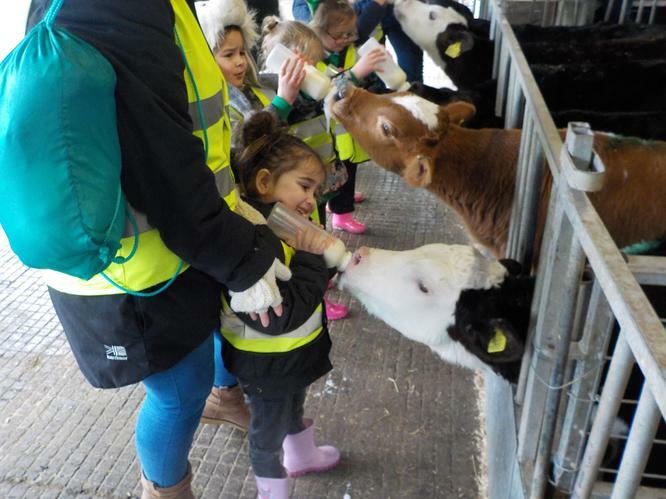 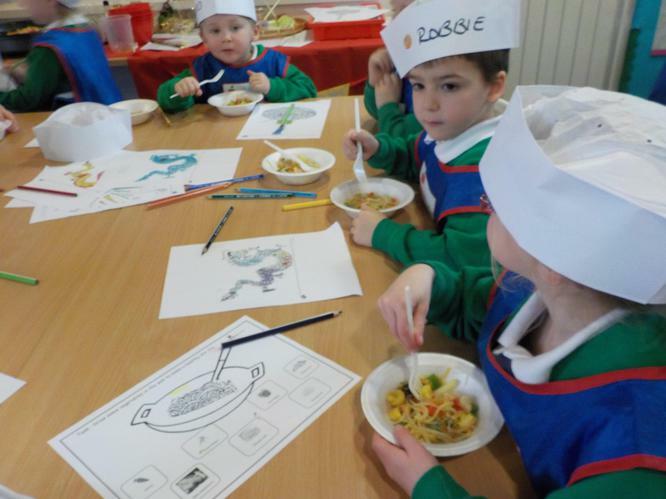 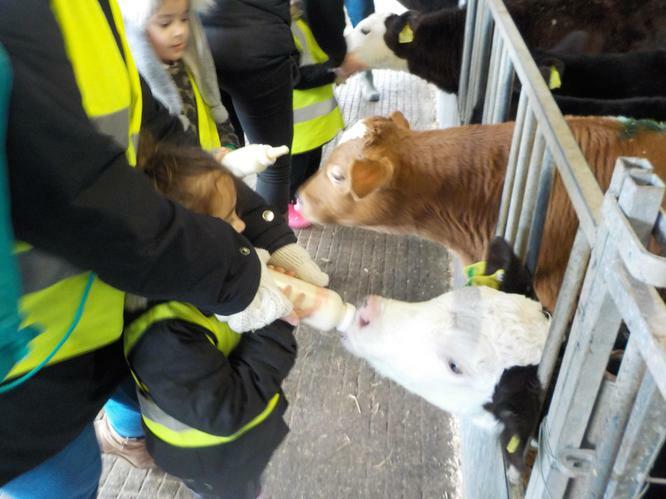 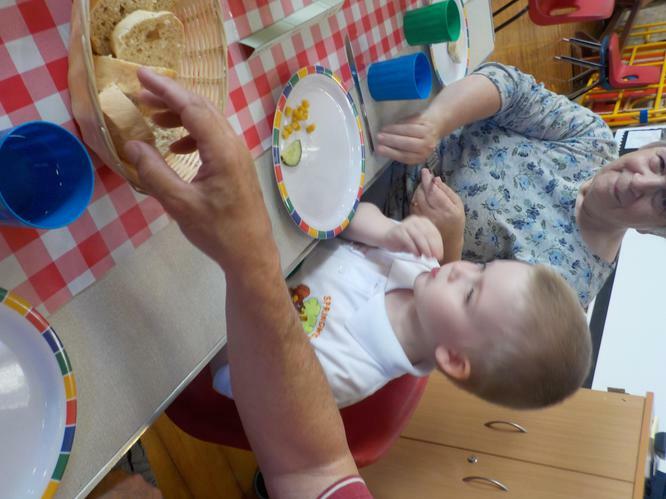 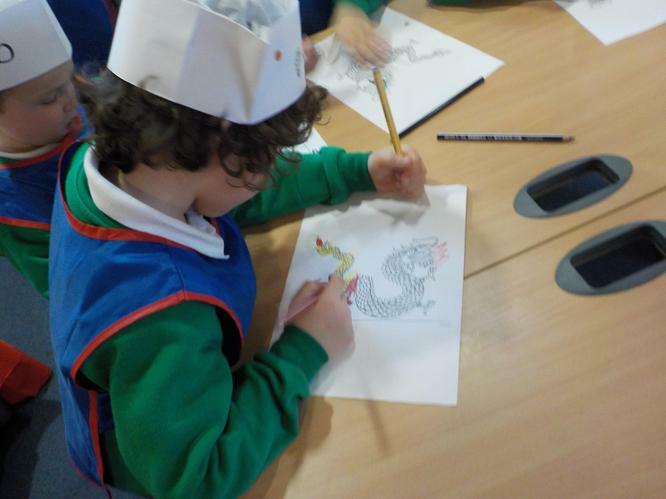 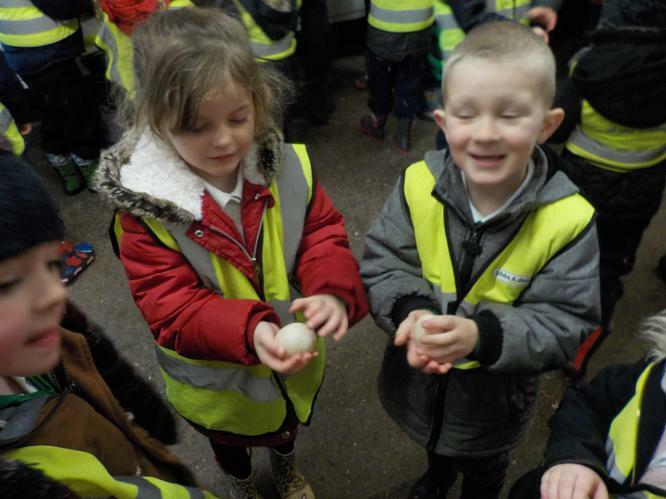 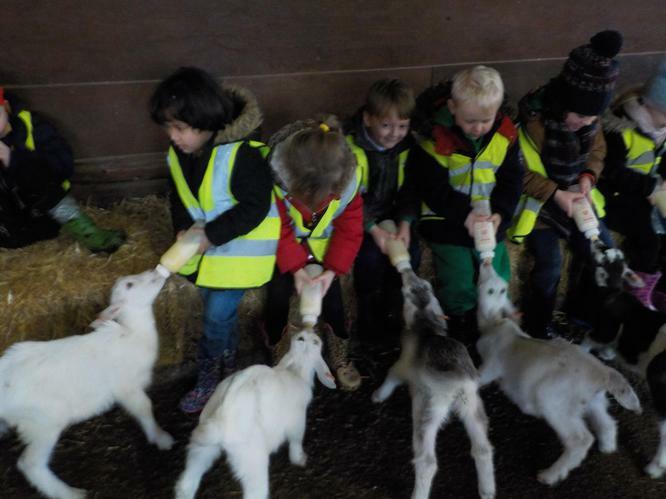 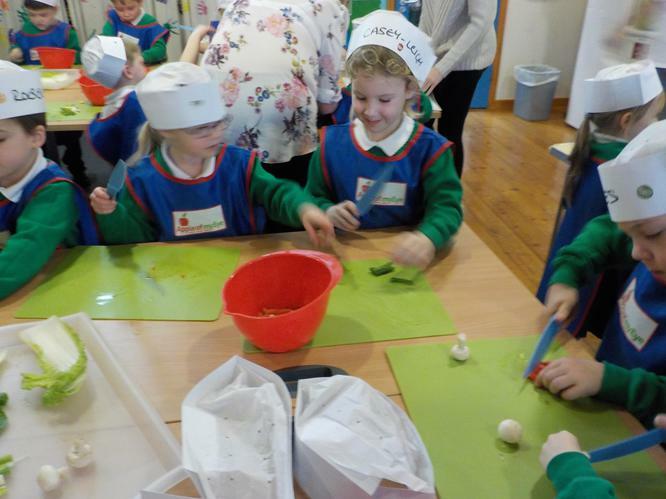 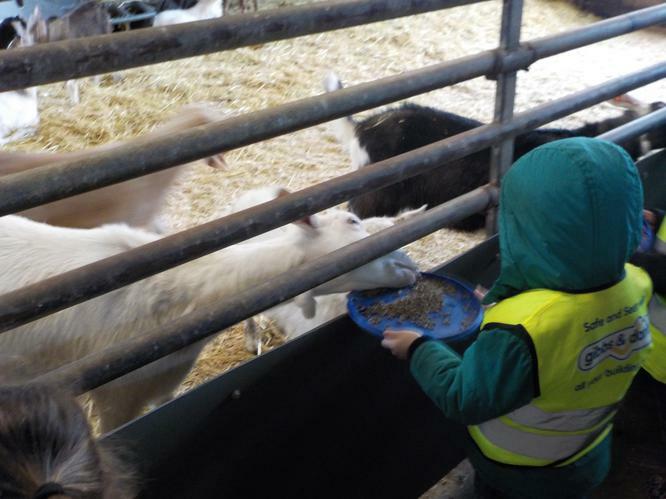 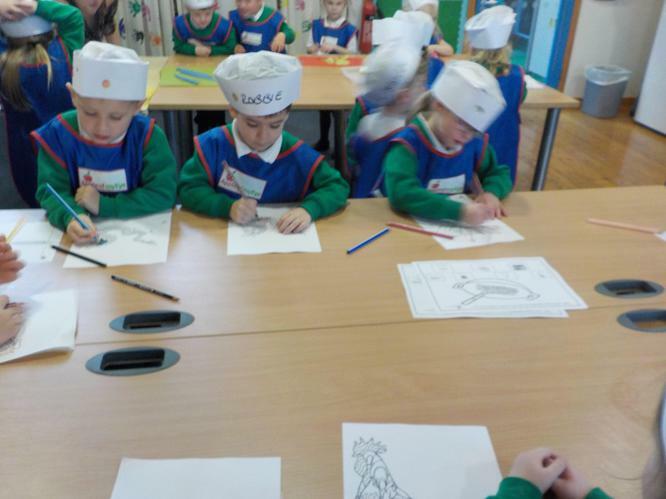 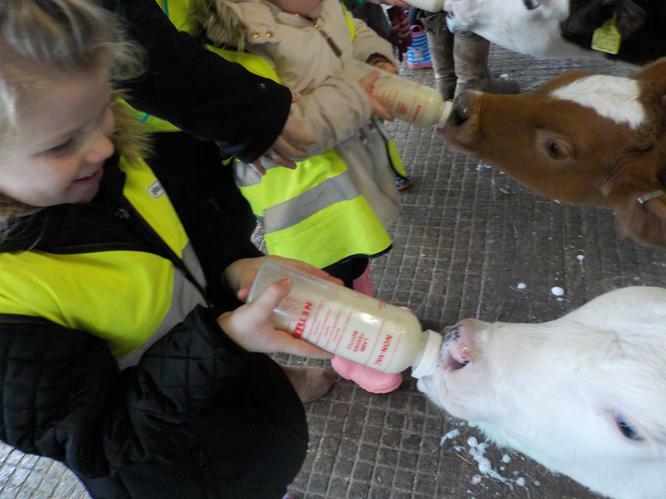 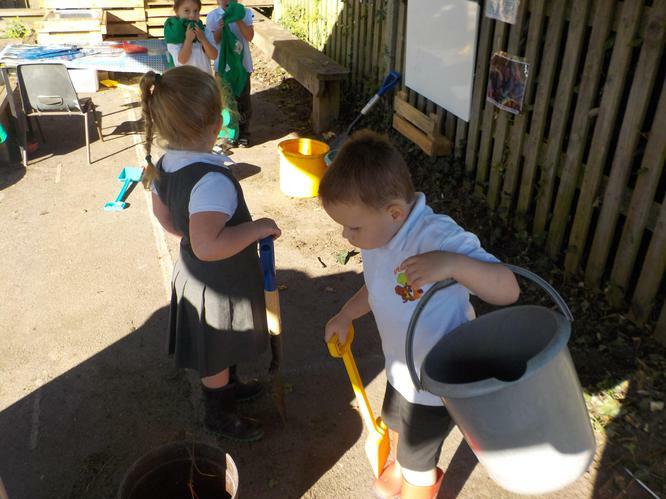 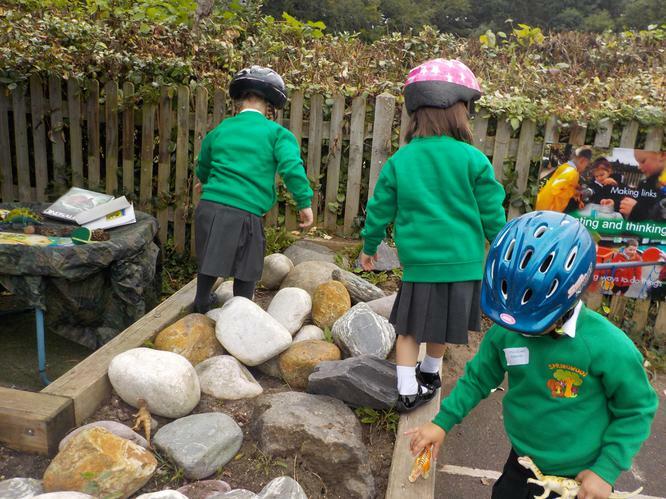 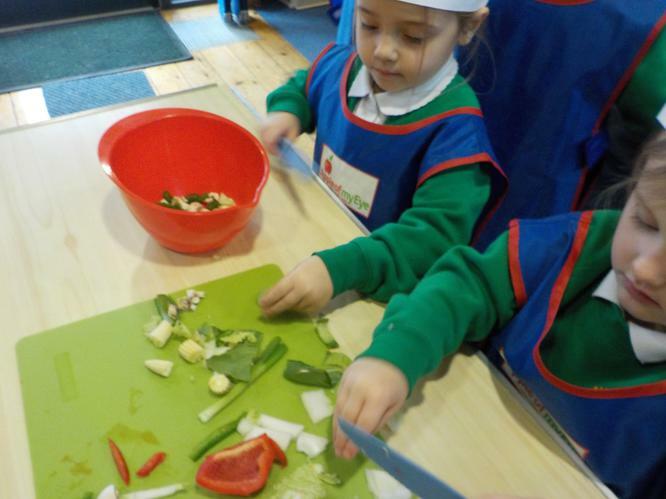 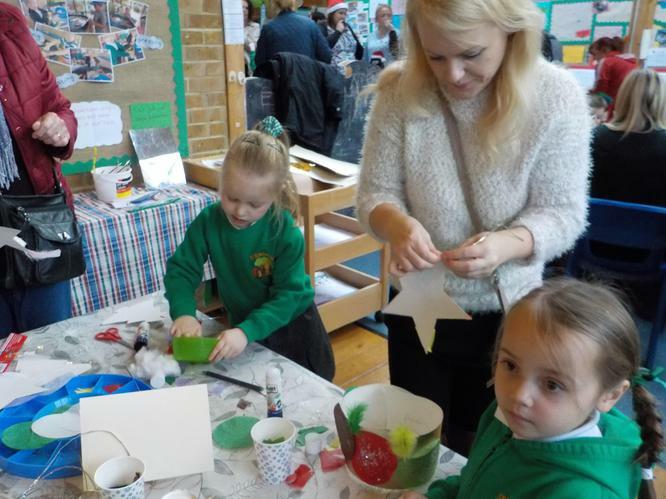 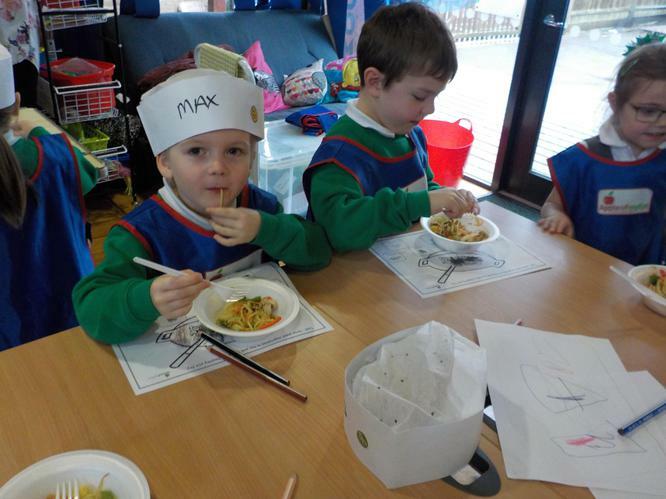 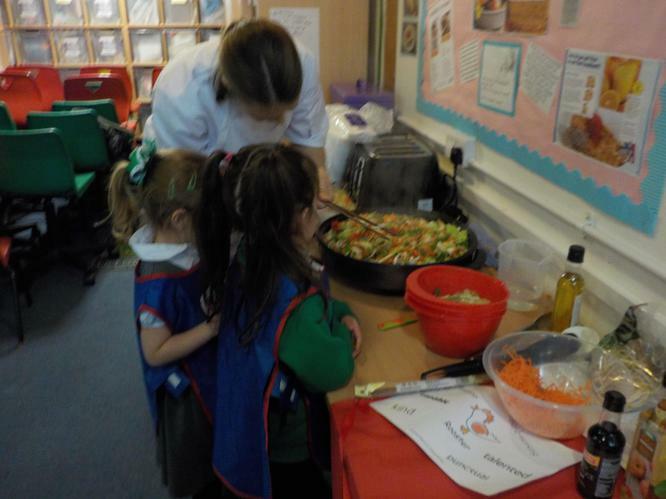 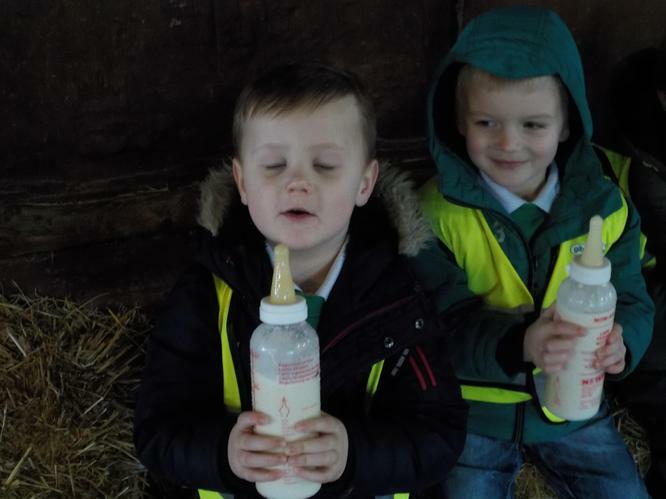 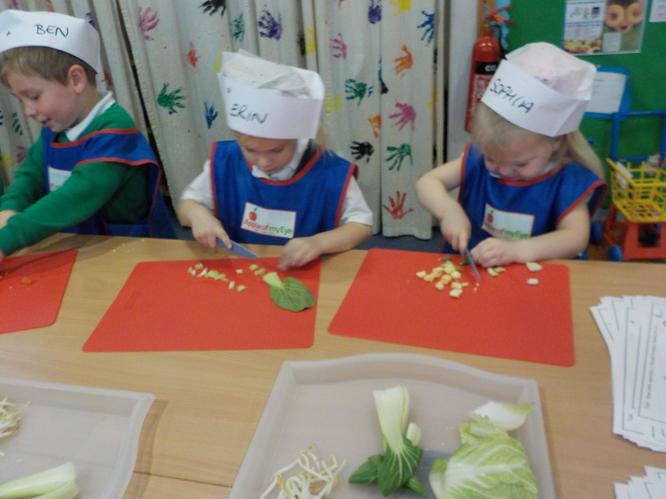 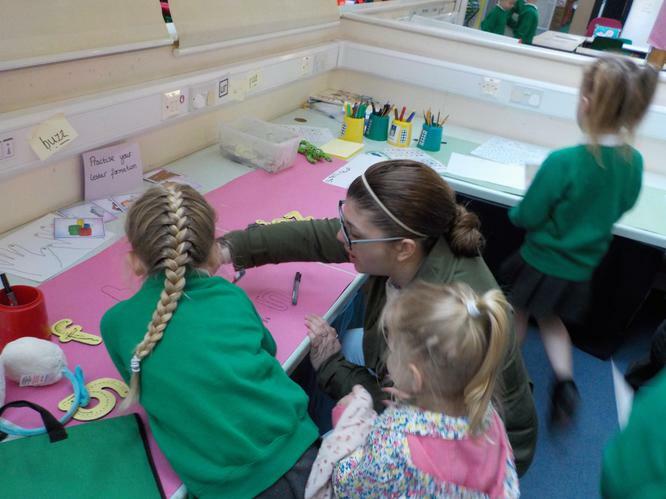 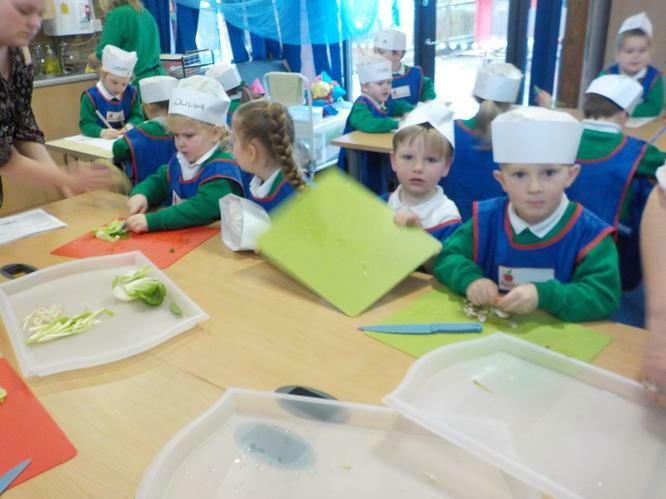 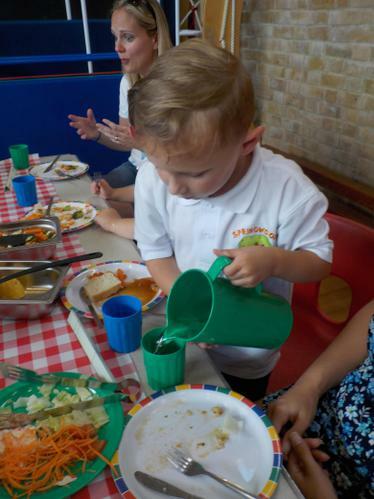 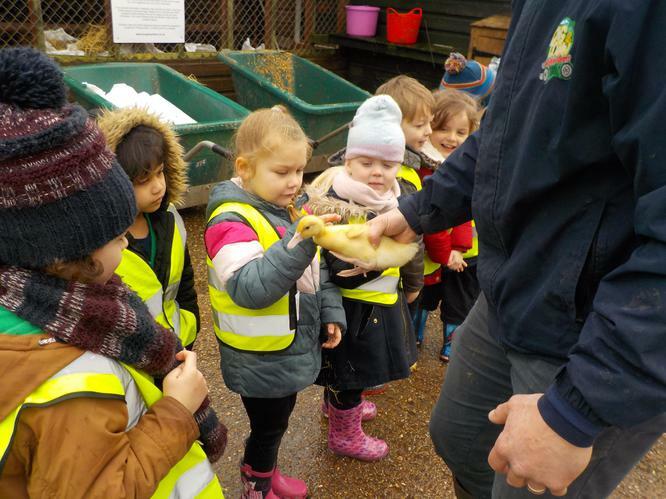 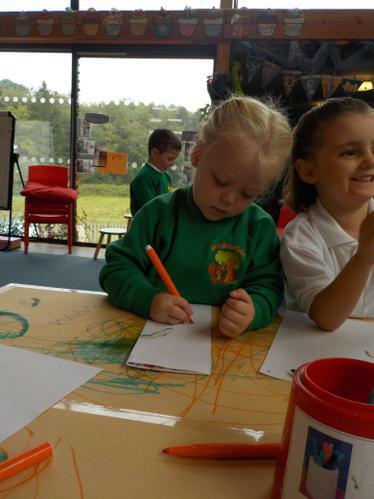 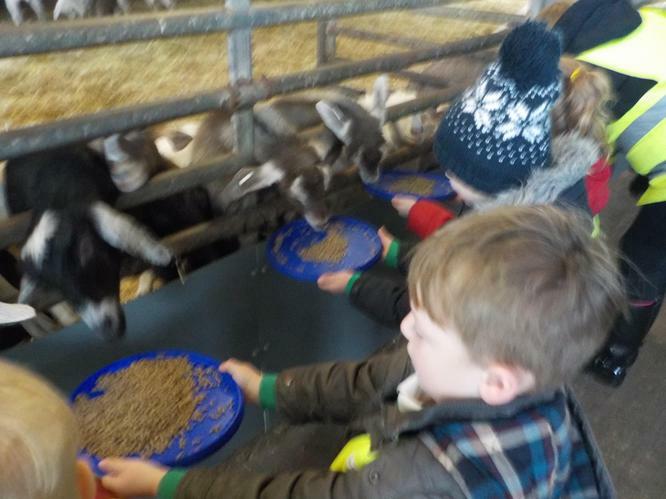 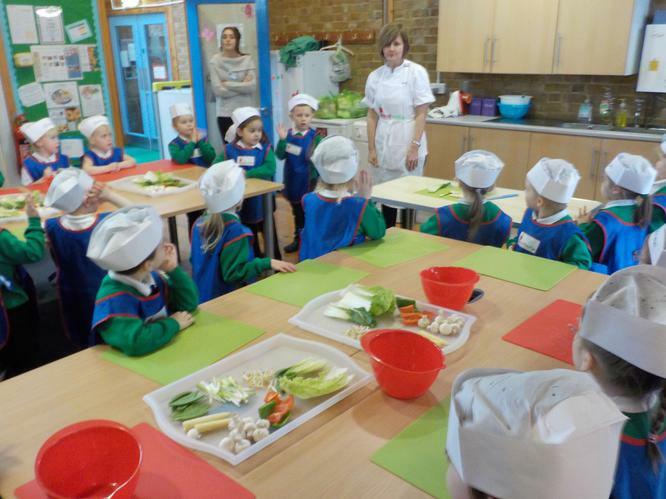 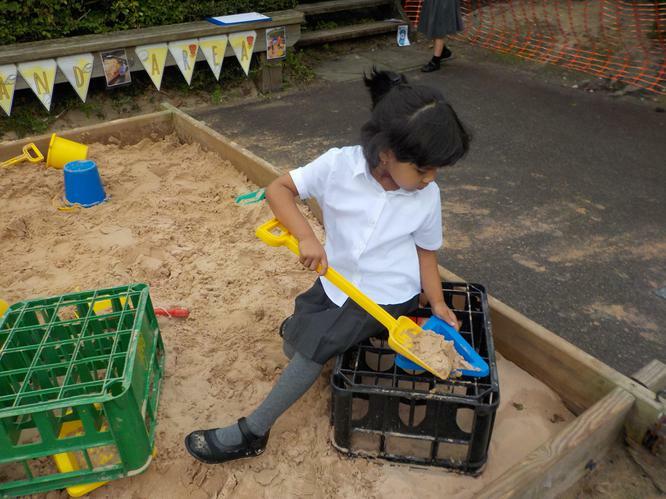 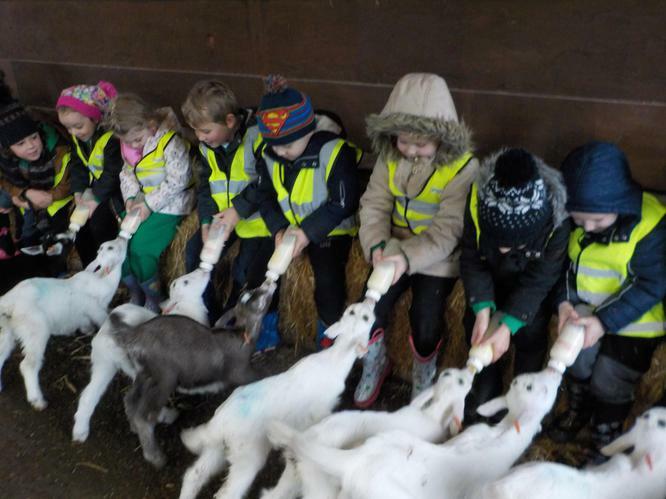 Cutting skills have improved, supported by our training cutlery and there has been a strong focus in developing the prime areas of the Early Years Foundation Stage Curriculum.